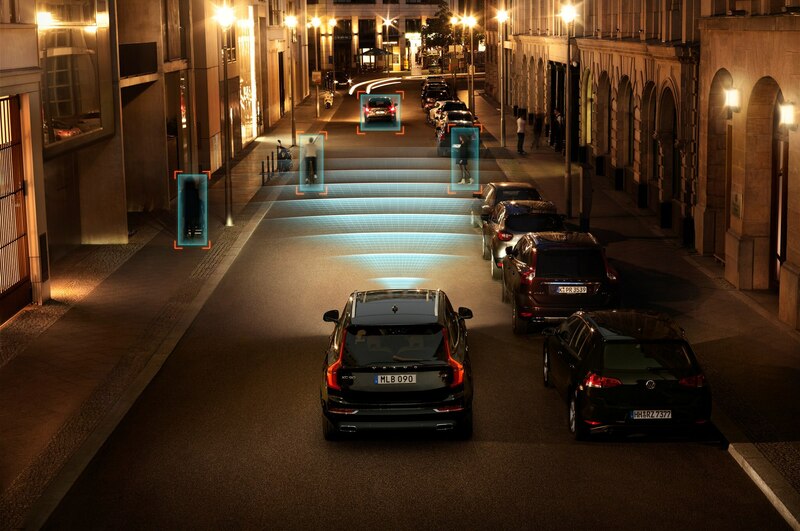 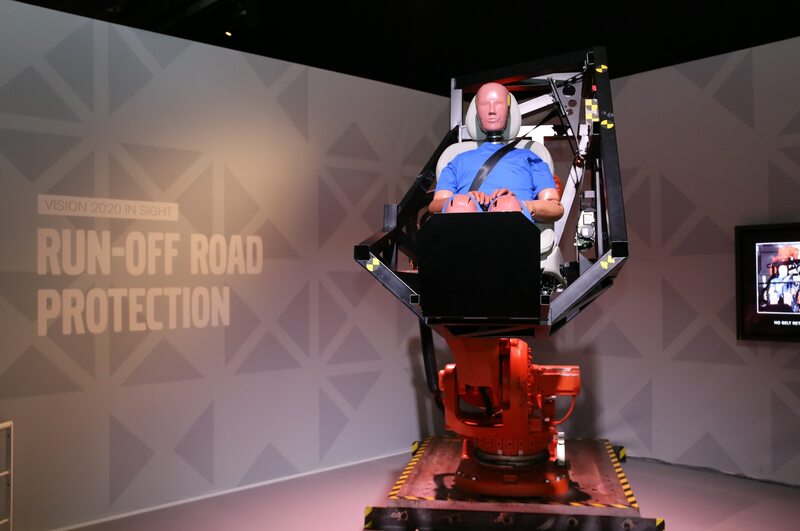 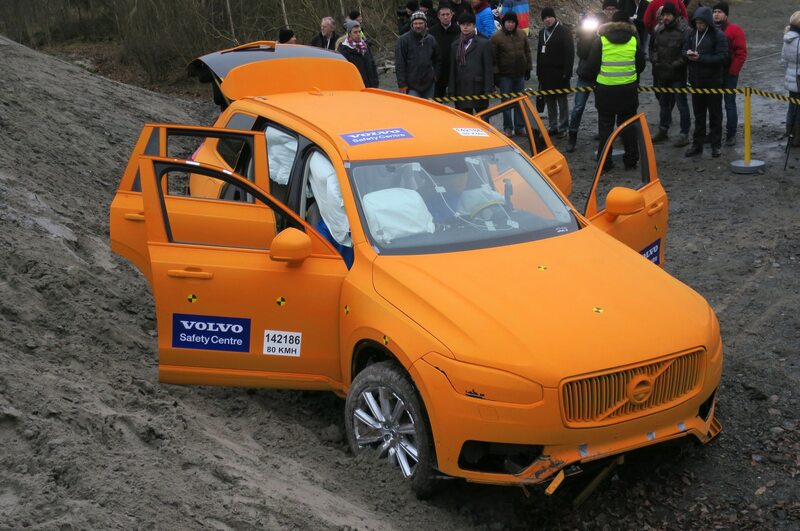 BARCELONA, Spain — You know you’re at a Volvo event when, before driving the car, you get a dissertation on a new safety feature. 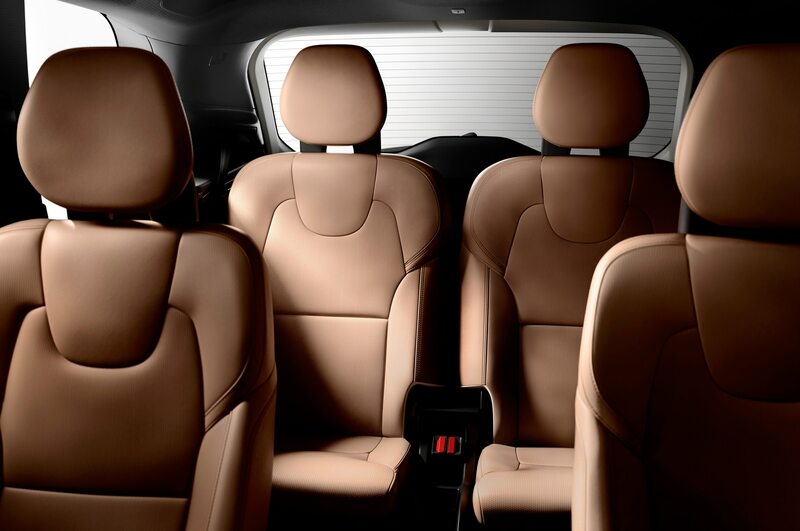 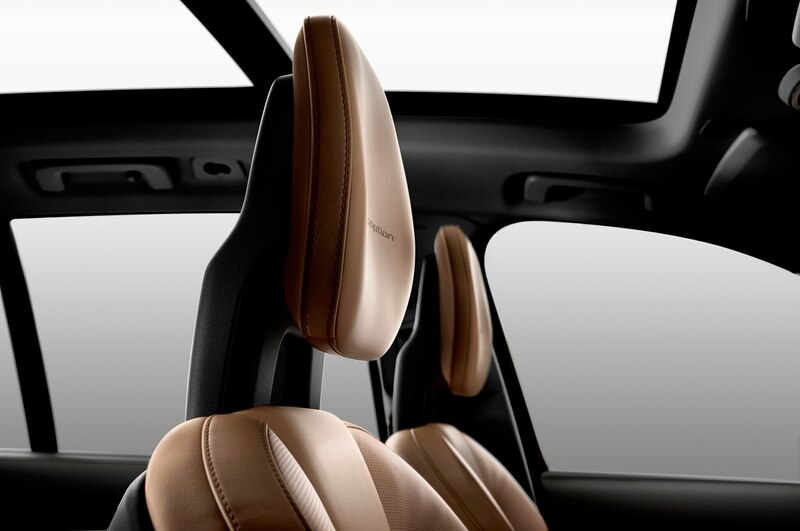 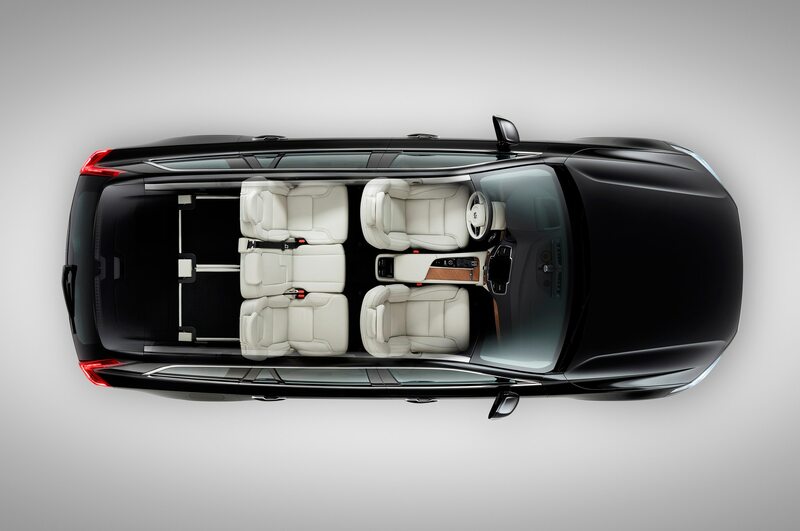 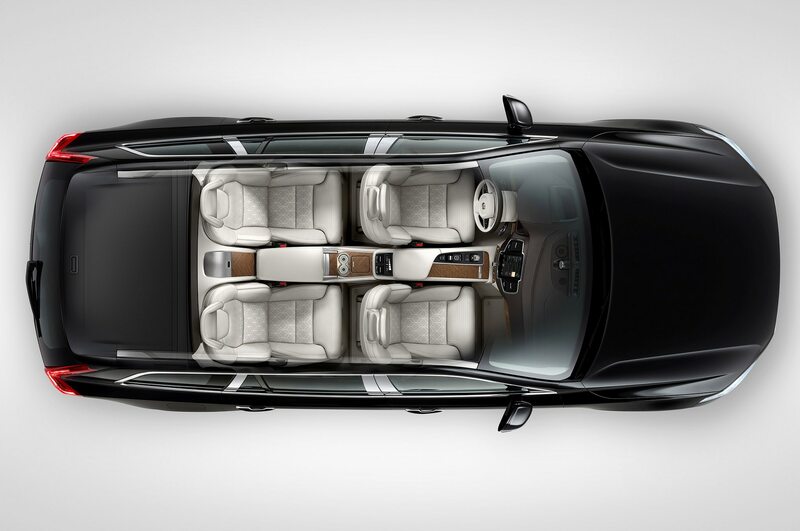 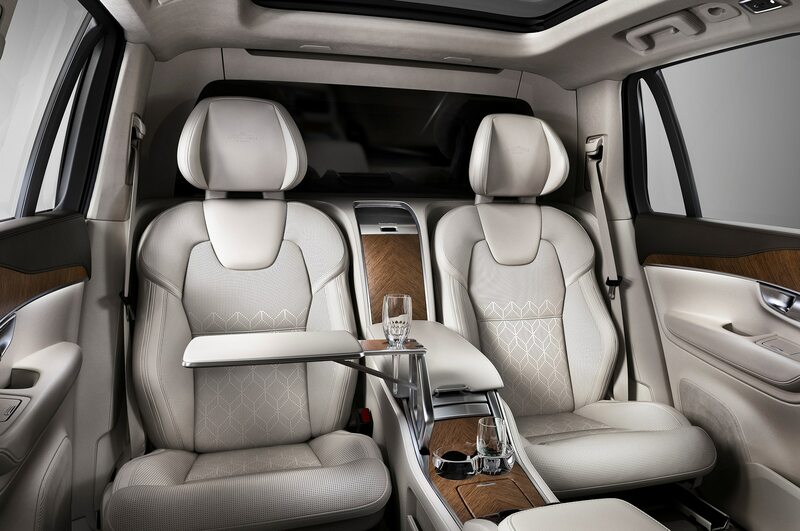 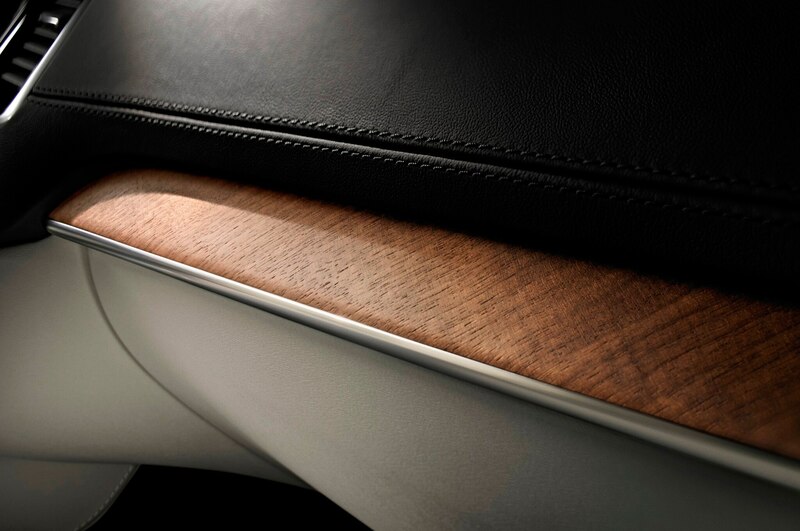 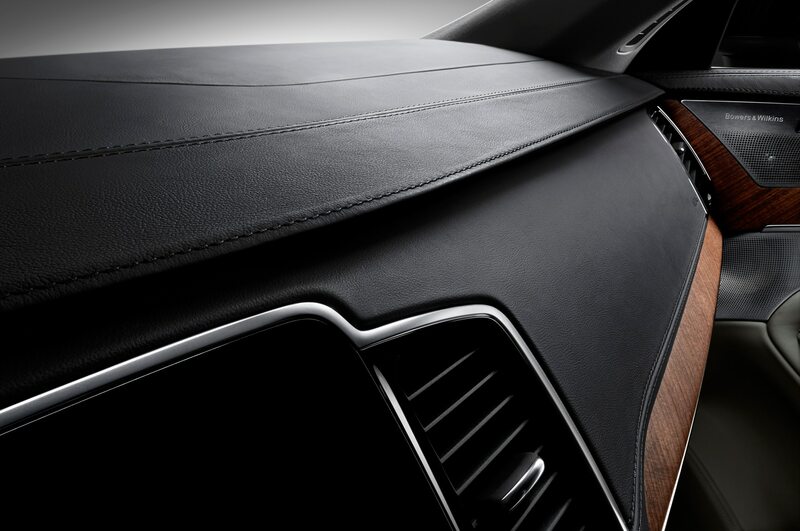 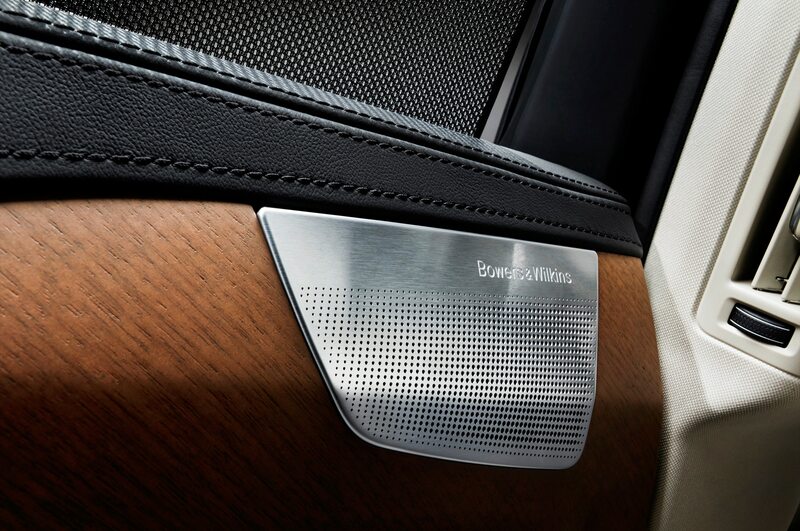 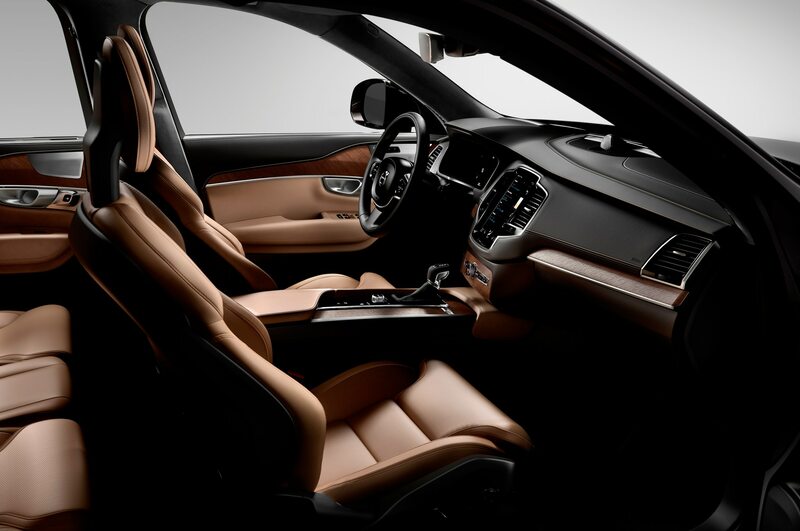 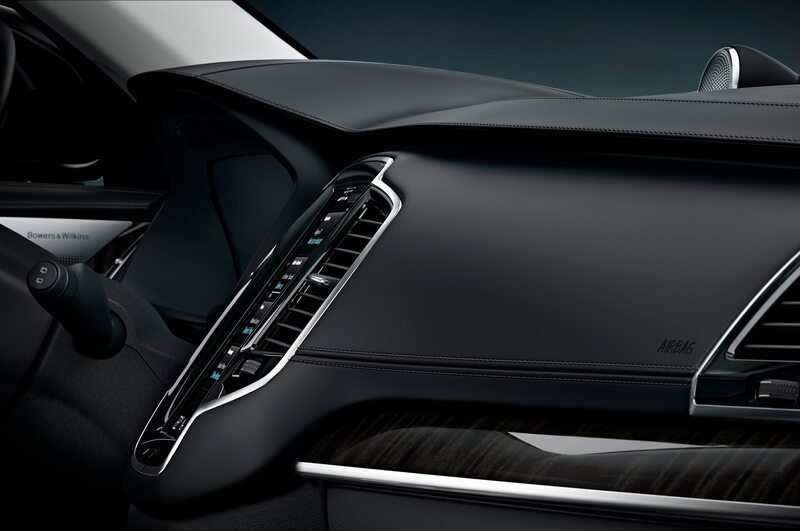 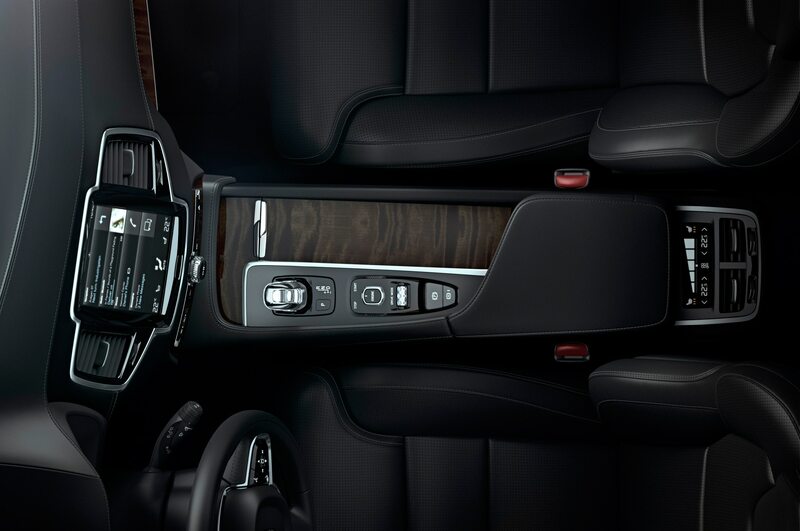 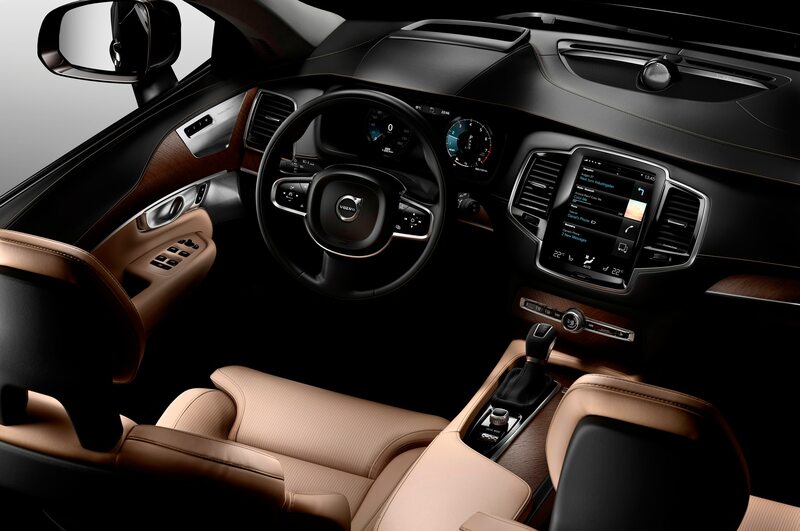 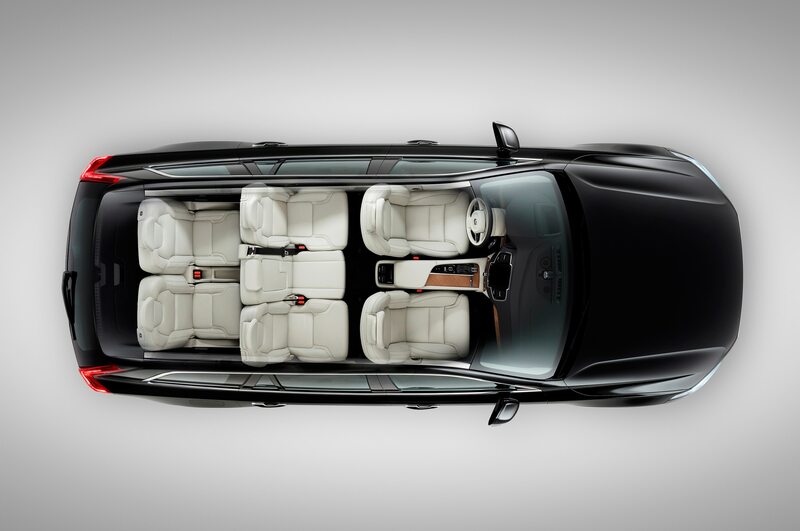 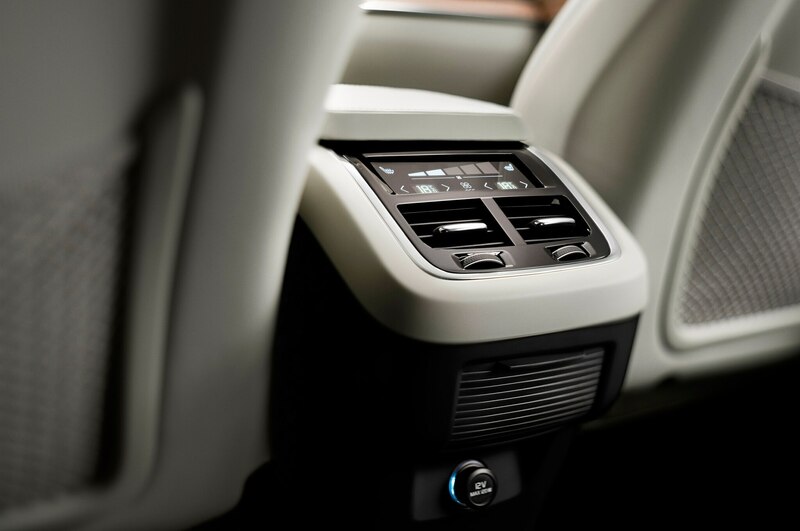 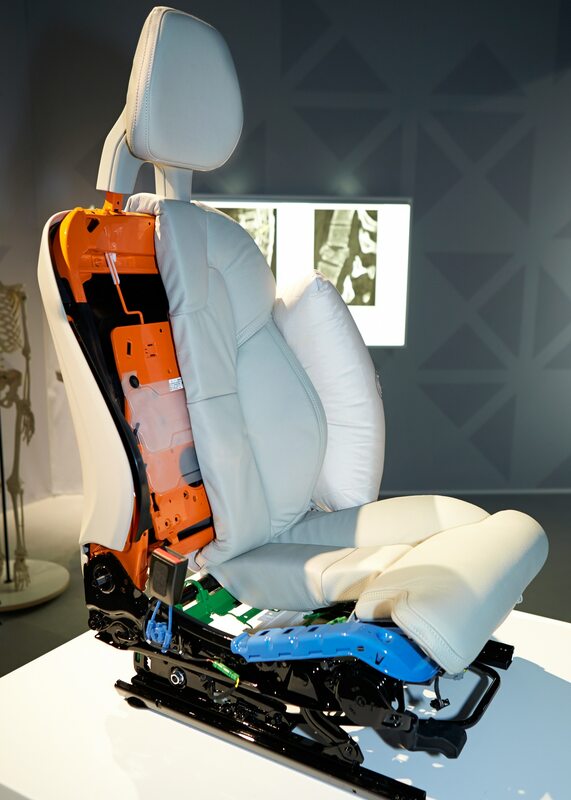 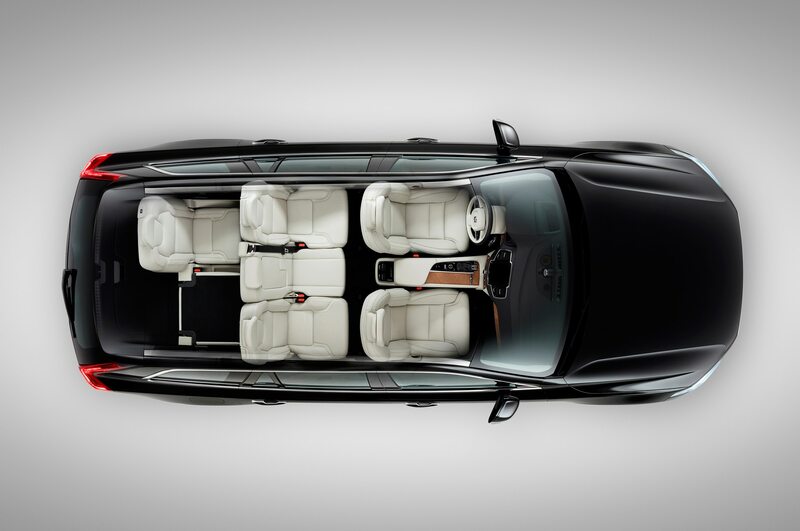 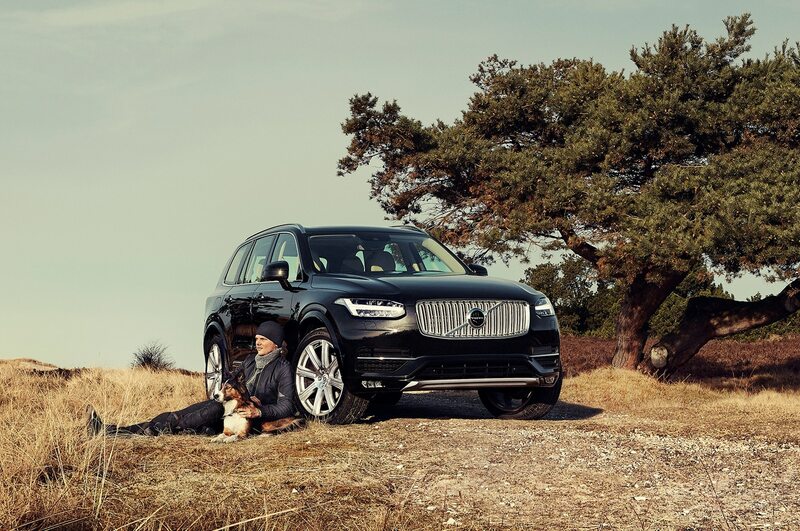 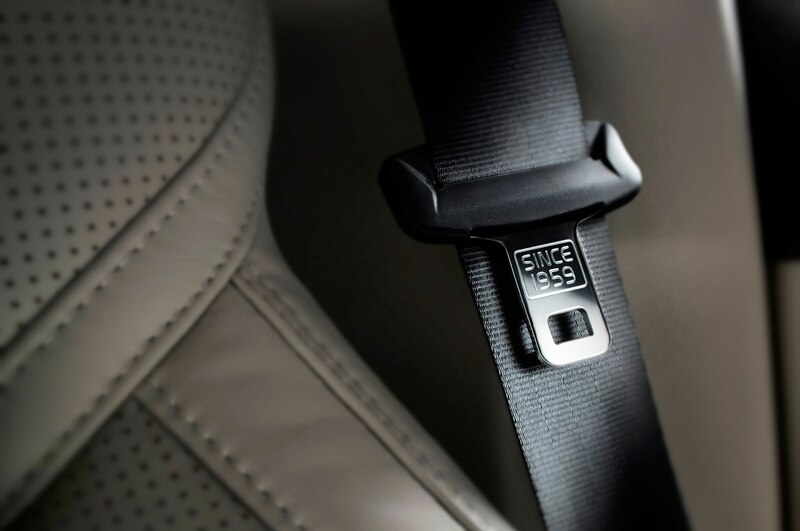 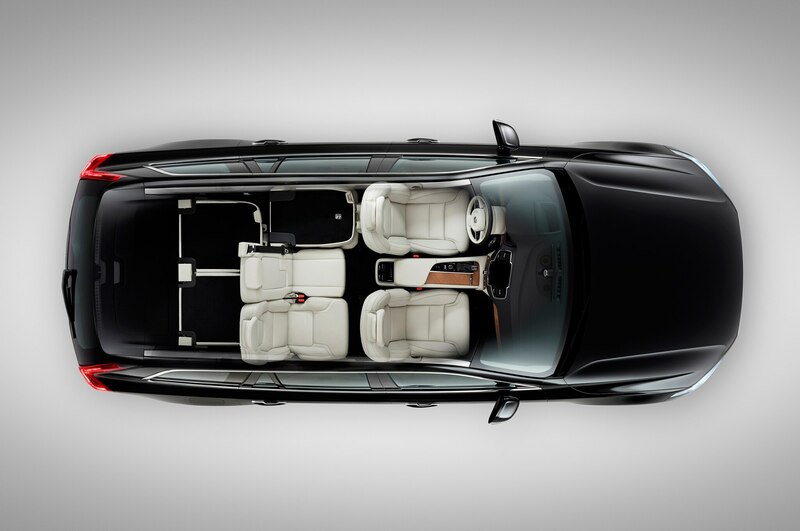 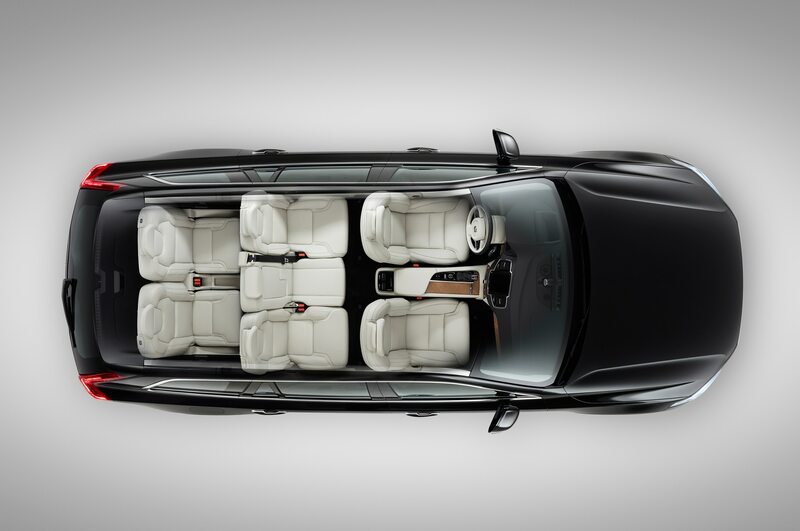 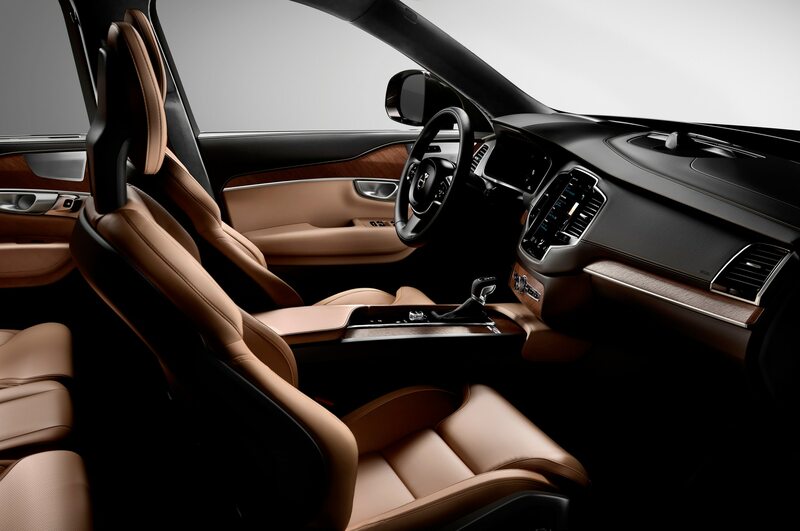 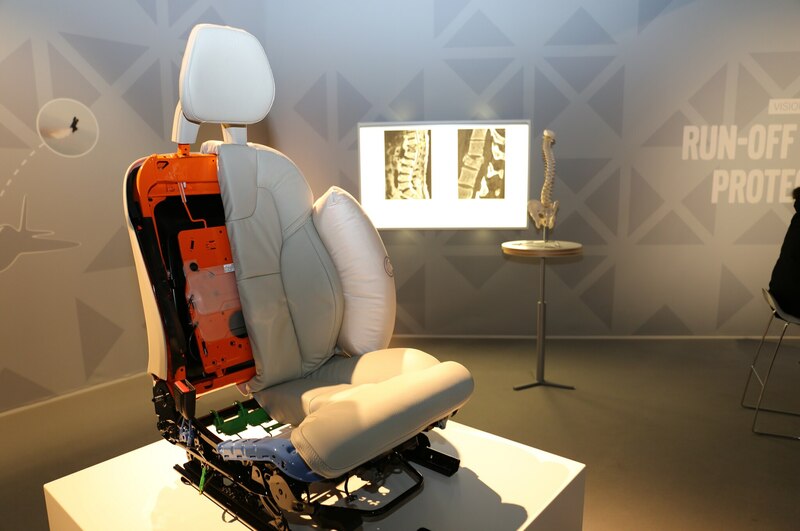 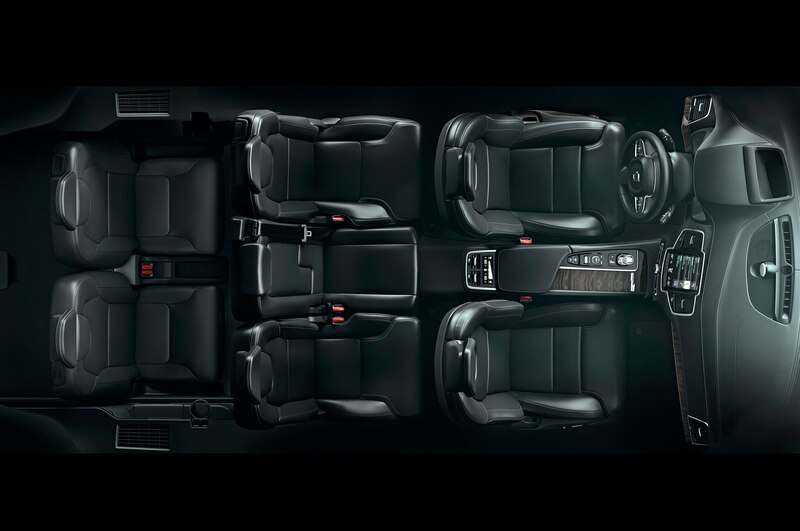 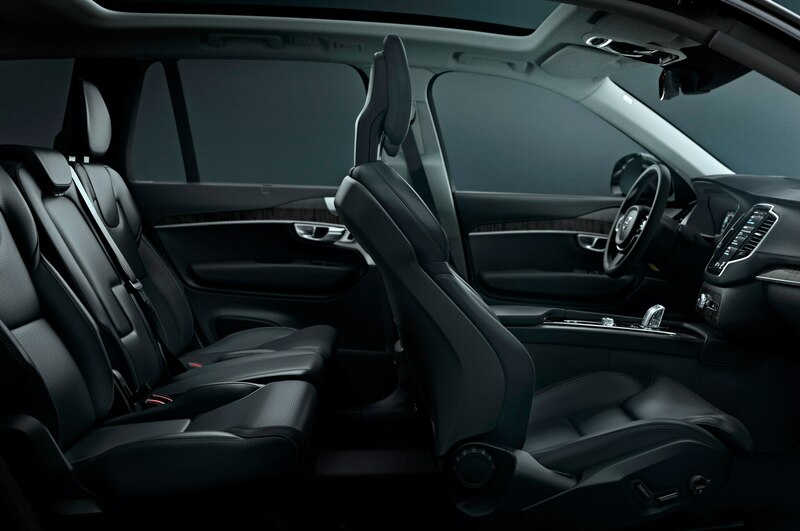 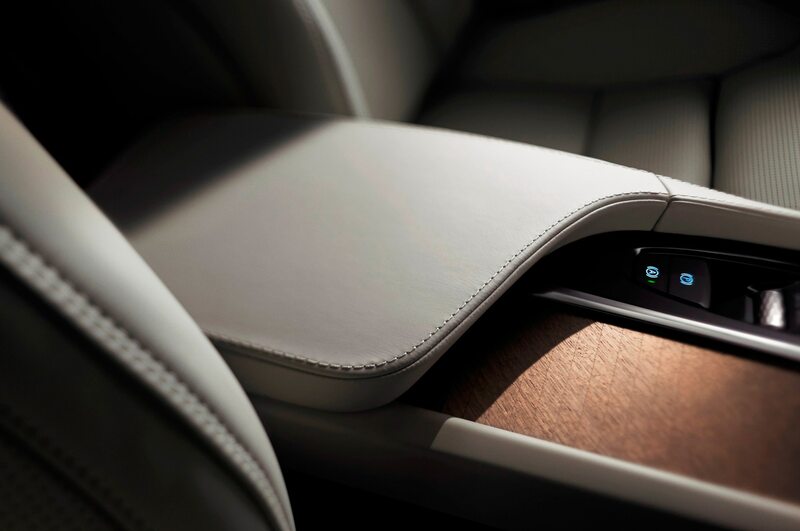 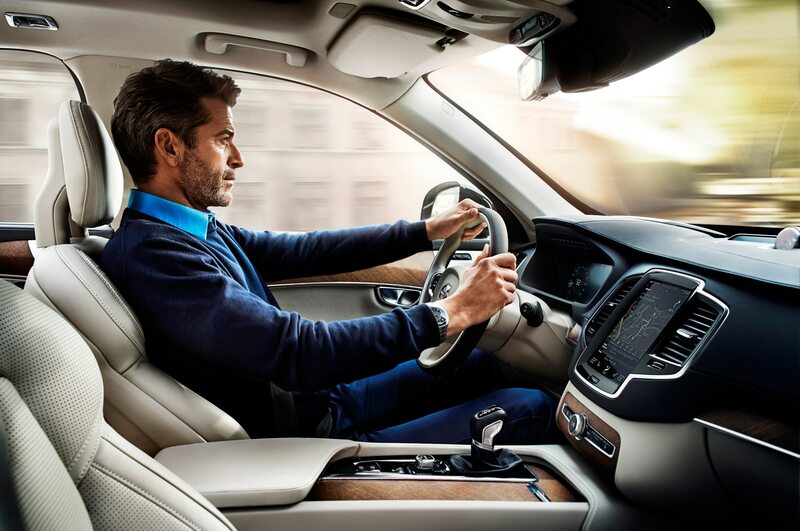 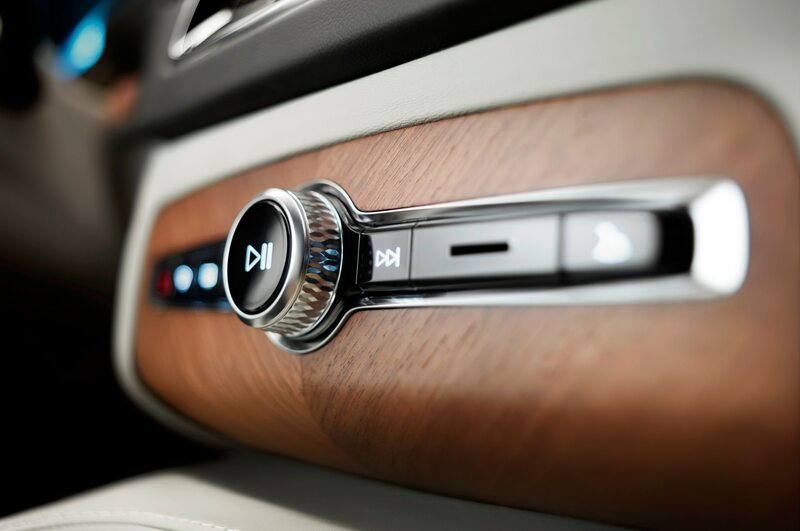 The seats in the 2016 Volvo XC90 are not just any seats, you see. 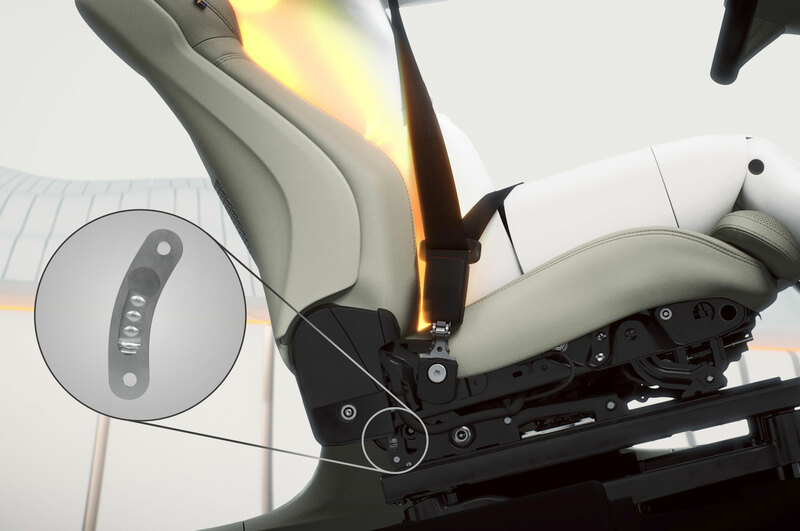 They’ve been in development since 2008 and have a deformable bottom that absorbs vertical forces that’d otherwise be directed at your spine in an accident. 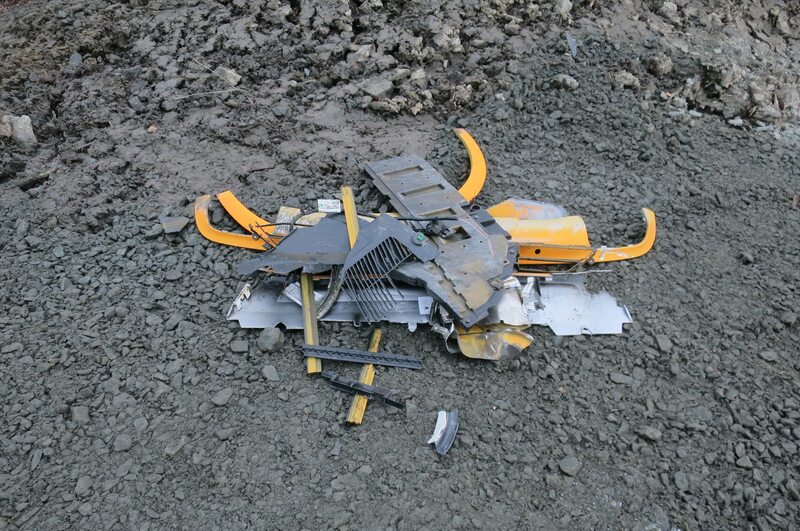 Cue crash video. 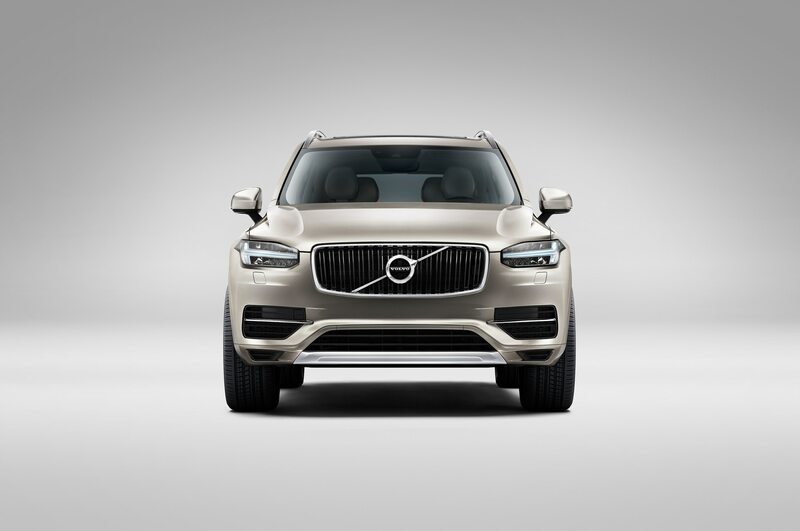 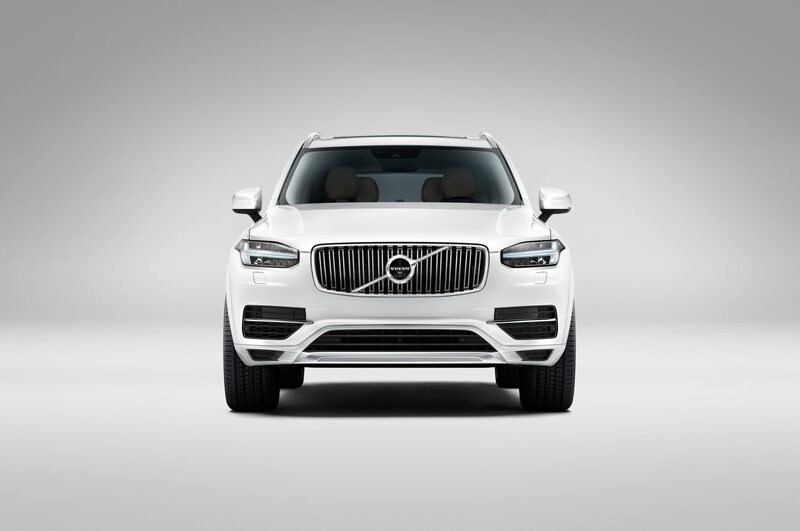 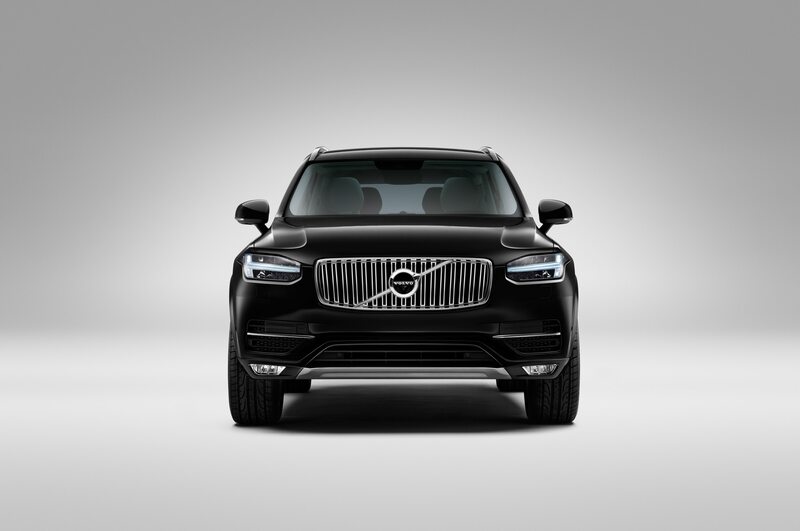 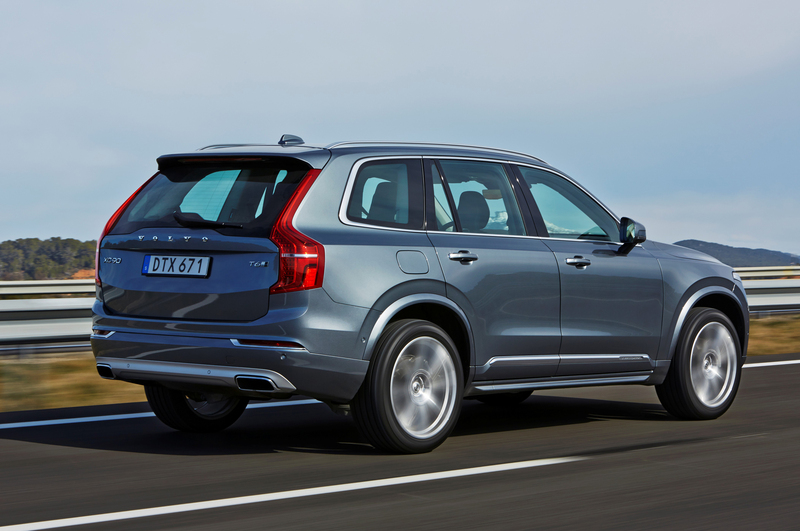 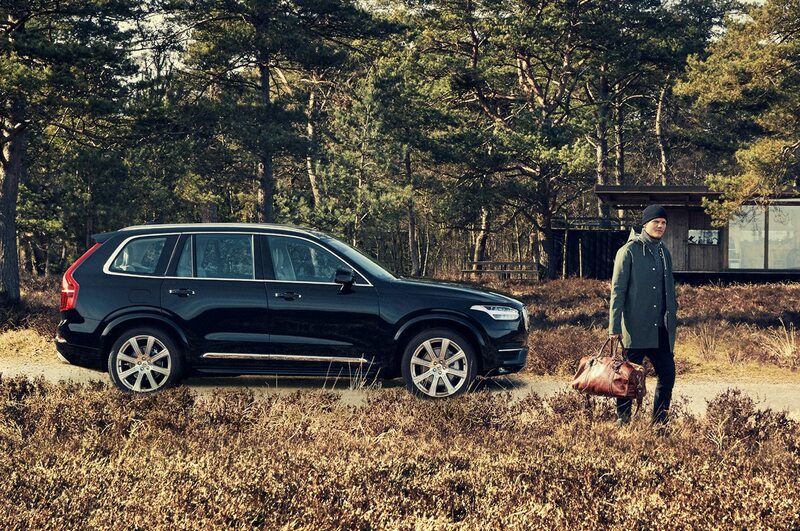 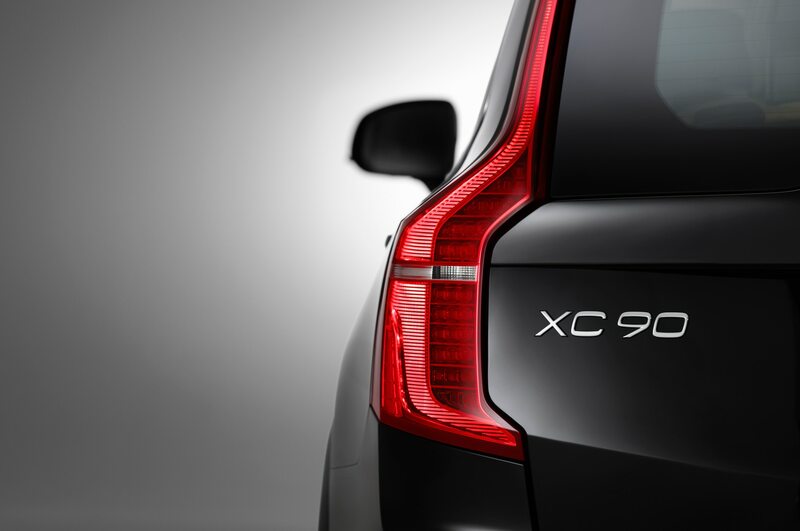 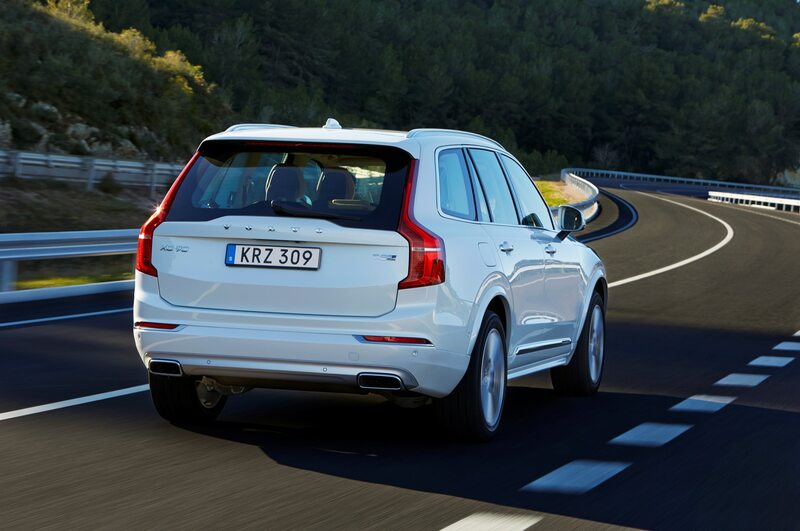 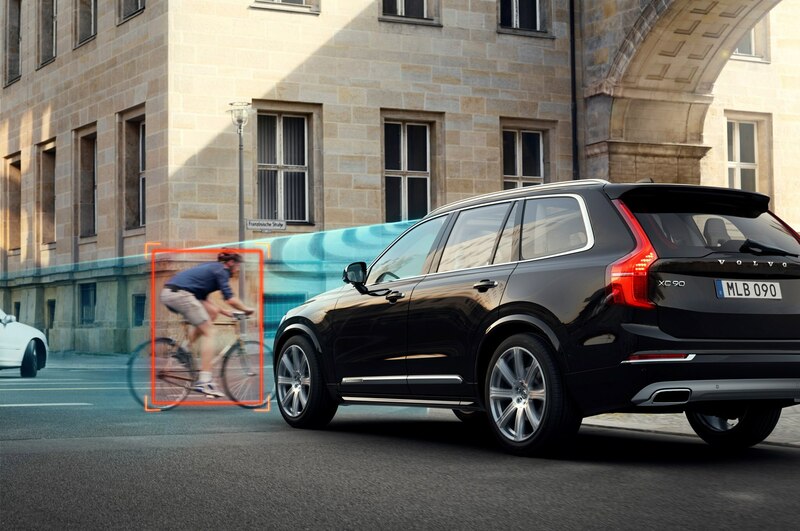 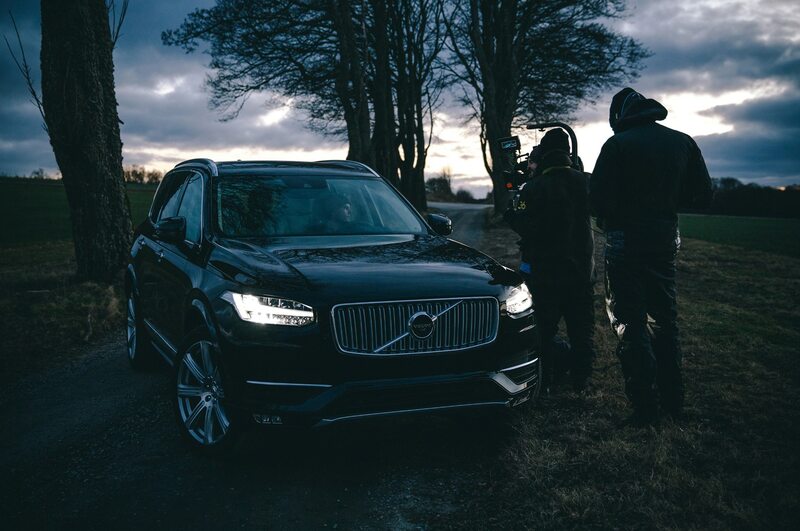 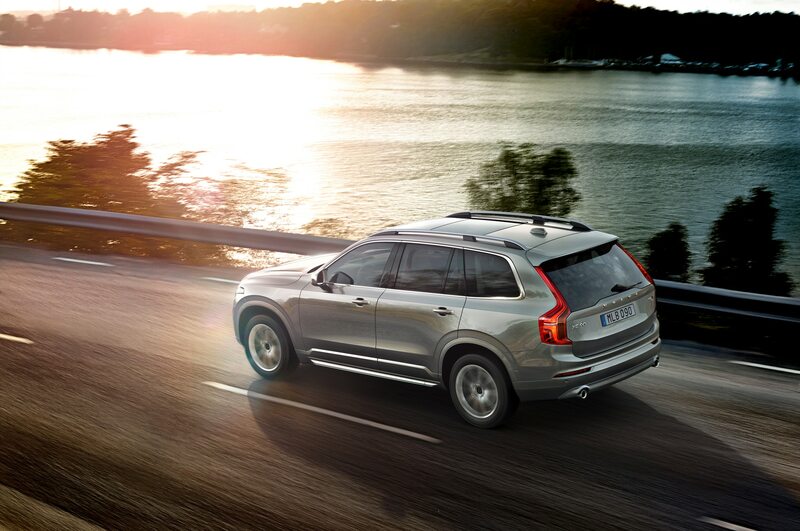 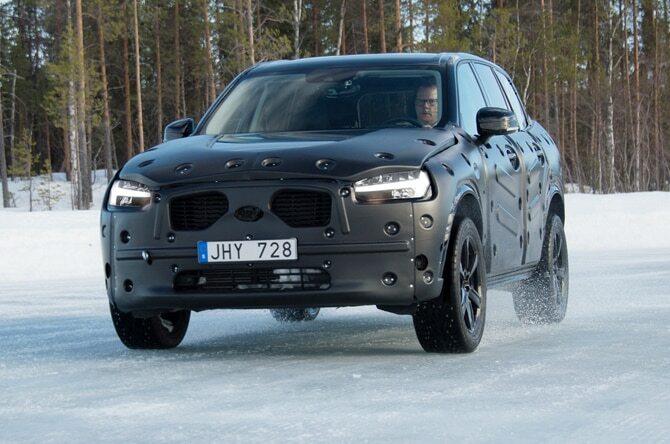 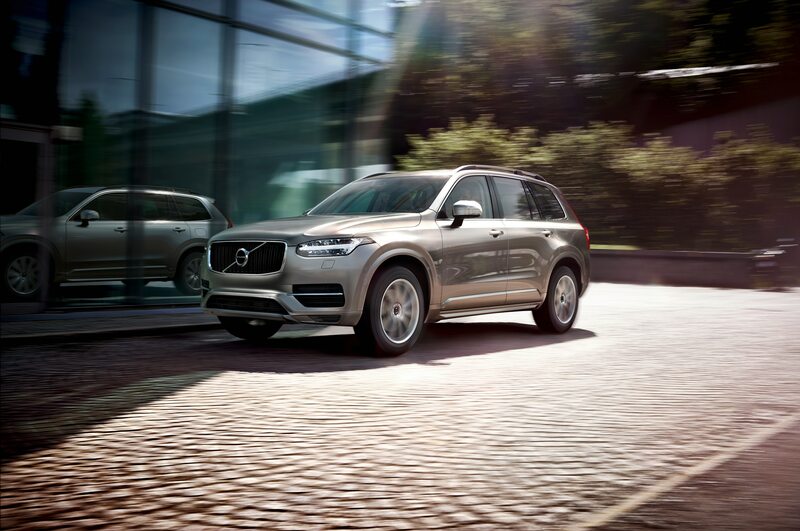 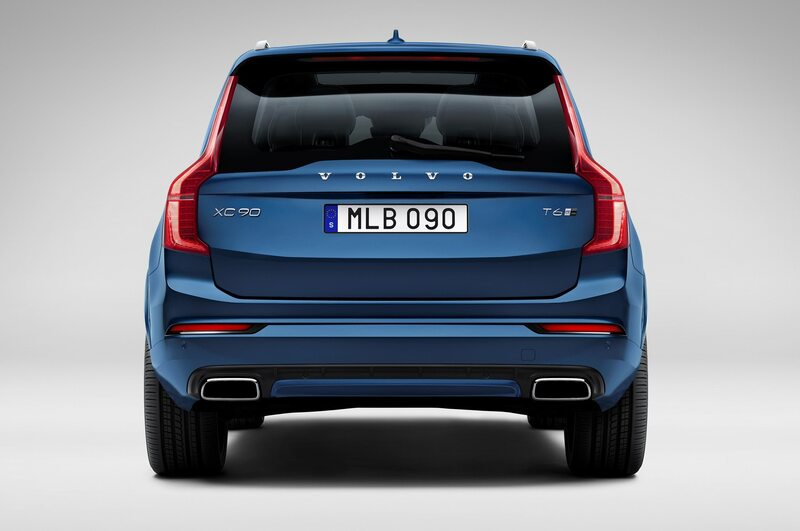 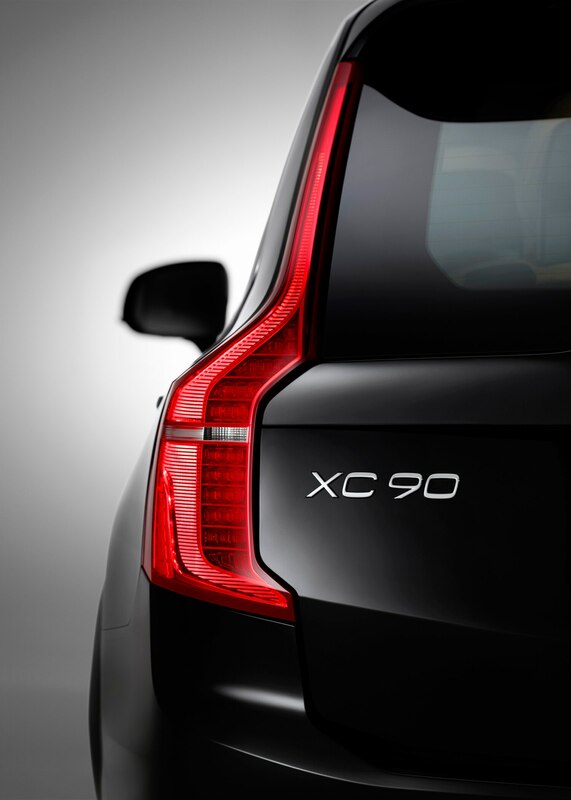 No doubt about it, the 2016 XC90 is very much a Volvo. 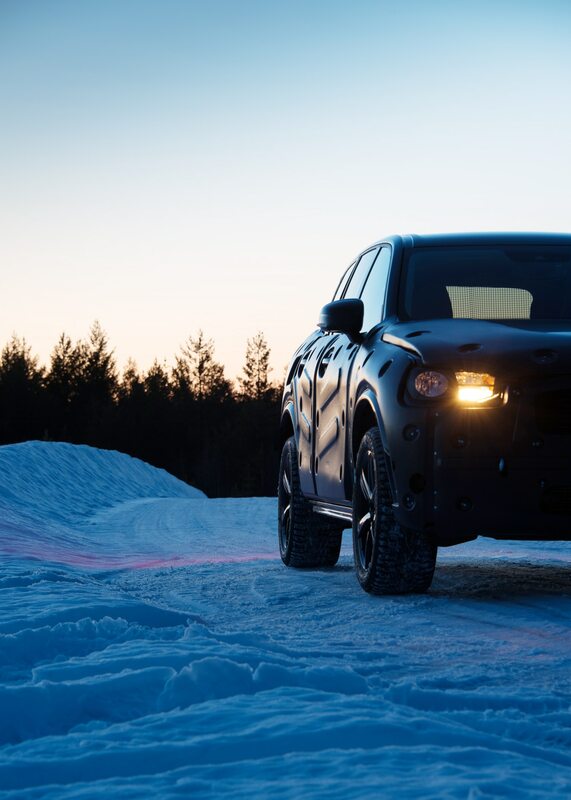 It’s the first vehicle developed entirely outside the Ford sphere of influence. 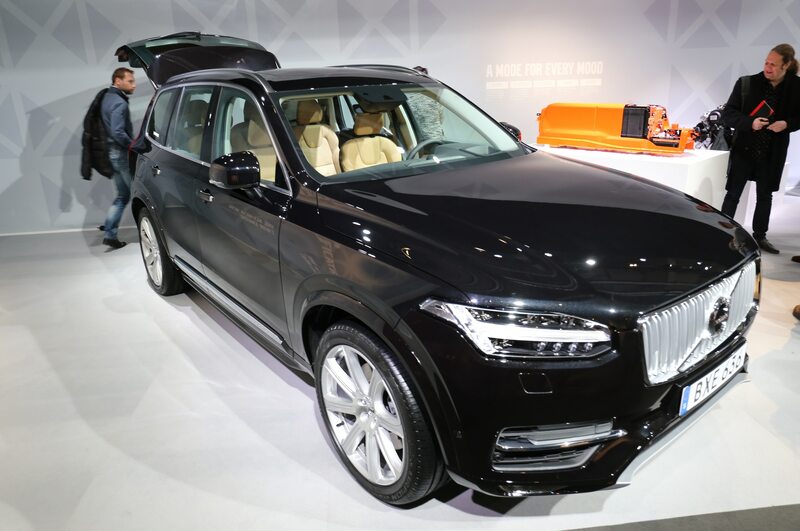 Chinese owner Geely acts like a holding company and not a parent automaker, we’re told, meaning Volvo can decide for itself what to prioritize. 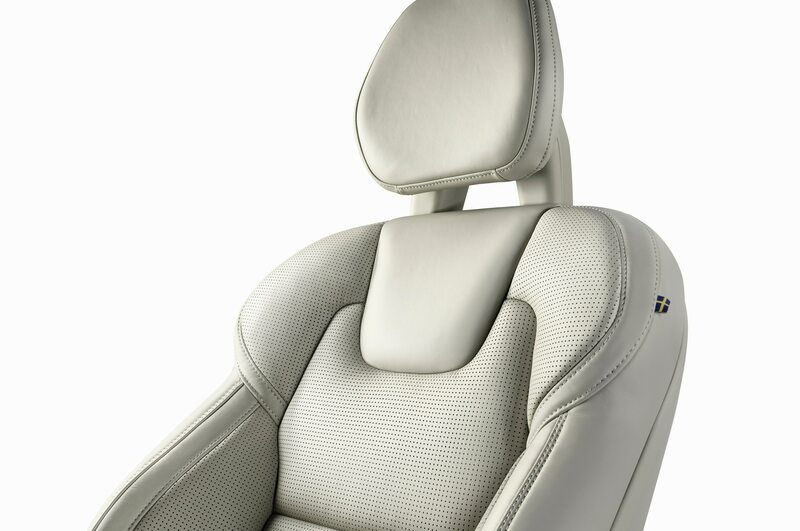 Like deformable seat bottoms. 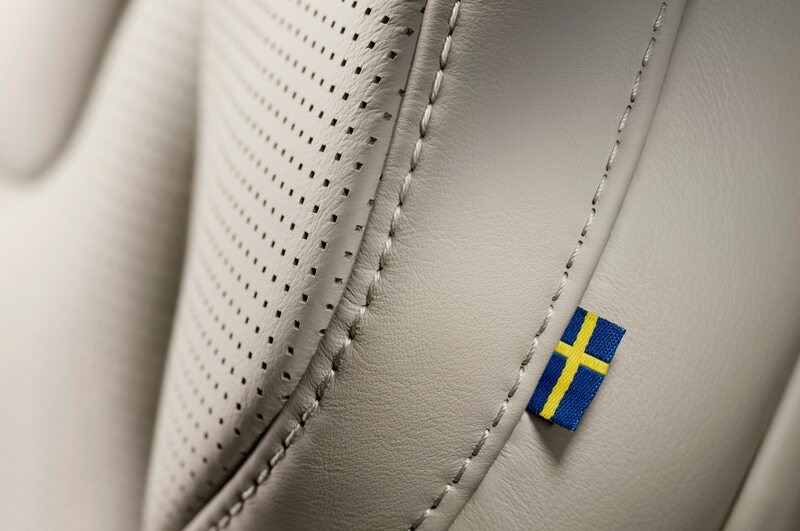 “We’re free to be the Swedish independent company we want to be,” says interior designer Tisha Johnson. 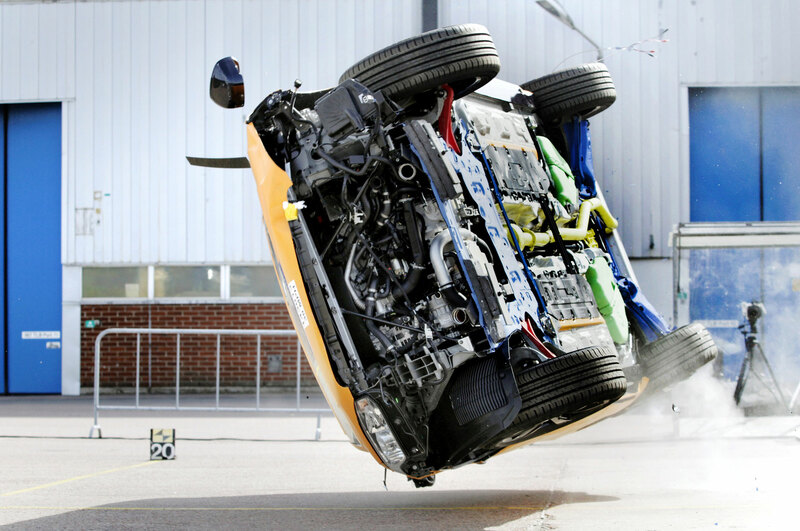 Of course, independence also presents considerable challenges. 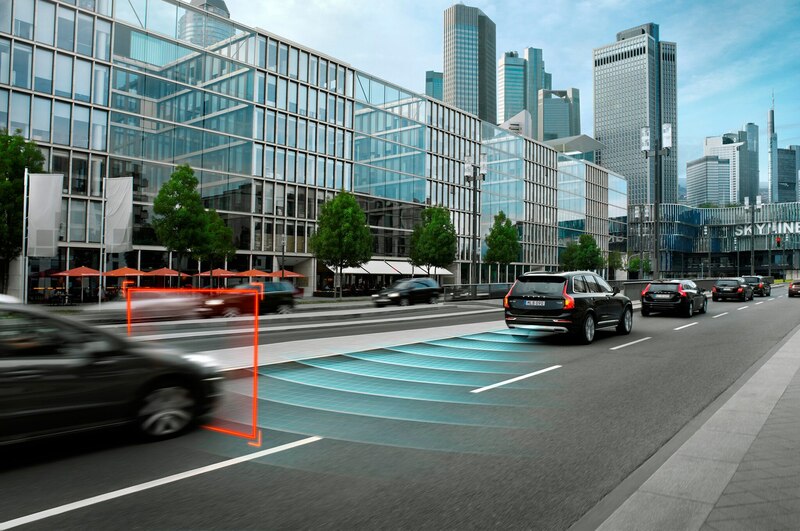 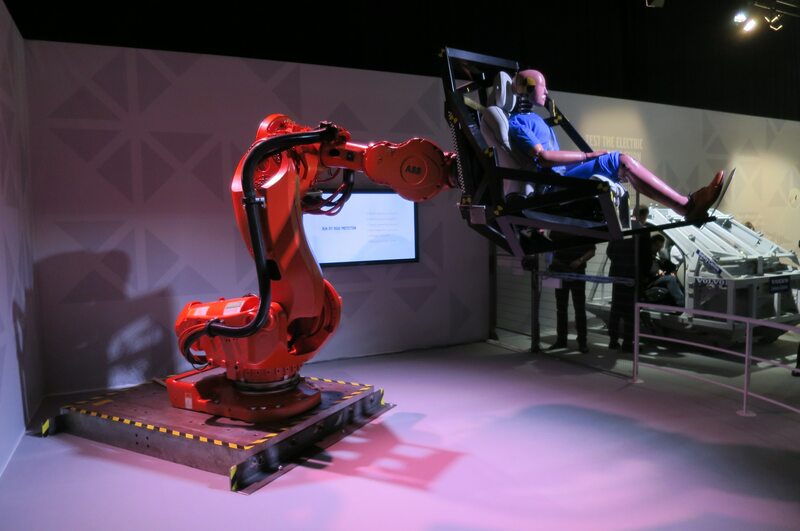 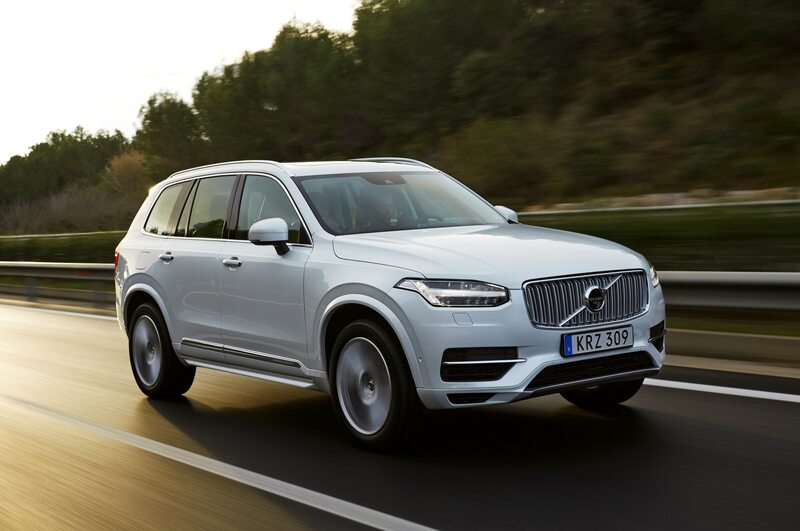 Beyond the safe seats, Volvo had to develop a new platform and a new hybrid powertrain, not to mention all the little things that are needed to compete with big dogs such as the Acura MDX, the BMW X5, and the Mercedes GL-Class. 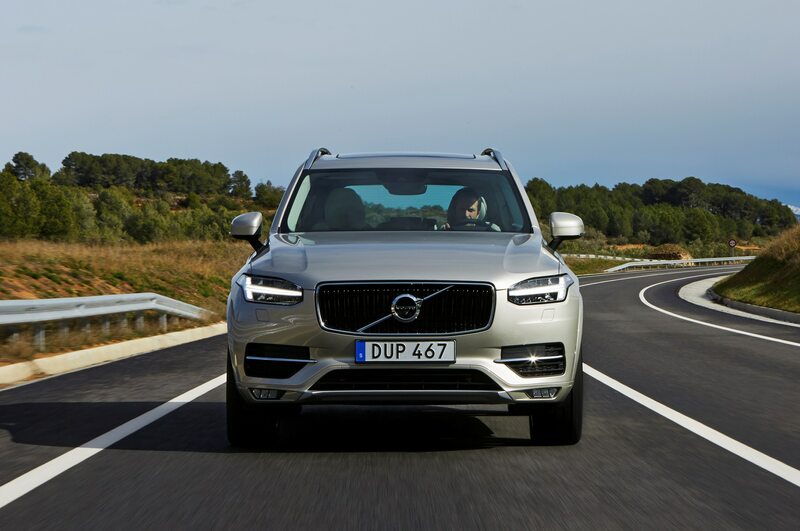 We’re thus in Spain not just to evaluate another crossover but to learn whether Volvo has what it takes to stand alone. 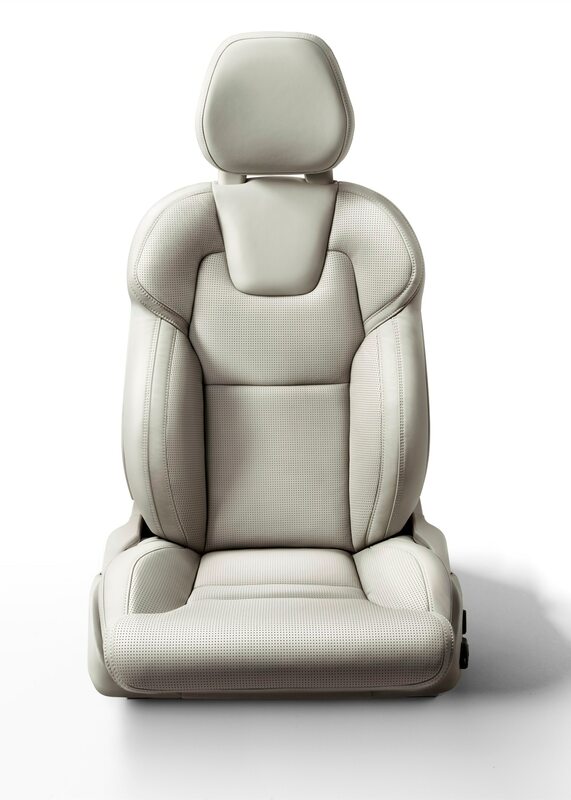 Before we consider these heavy questions, let’s talk some more about seats. 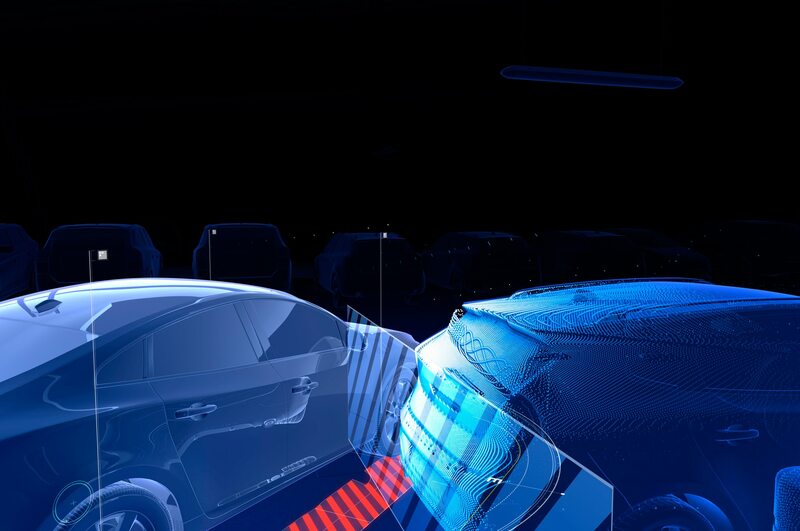 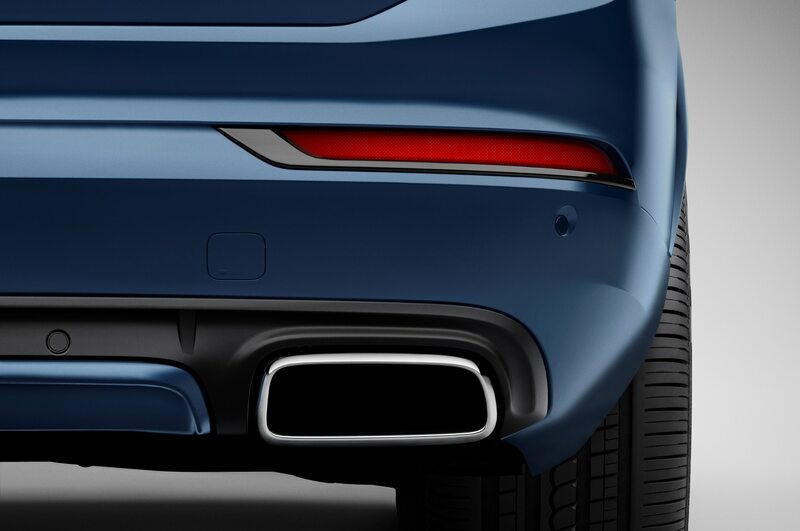 The ones in front are commendably thin because they’re made of high-strength metals that can meet crash standards at thinner gauges. 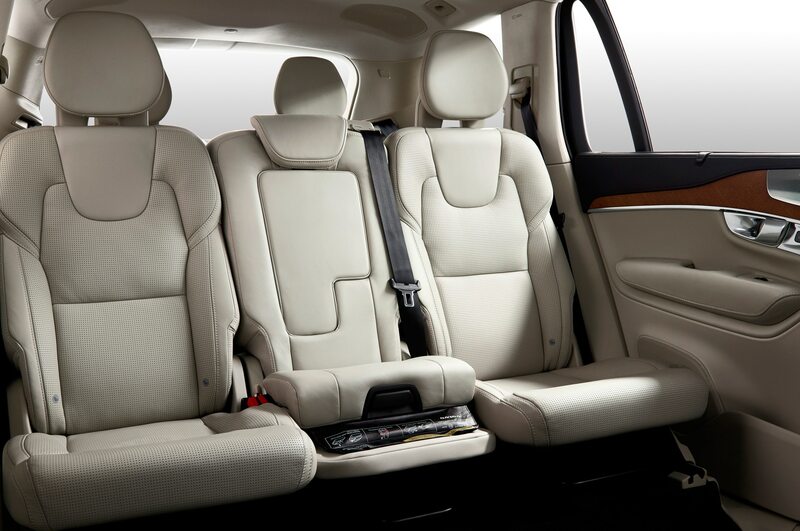 That frees up knee room for second-row passengers. 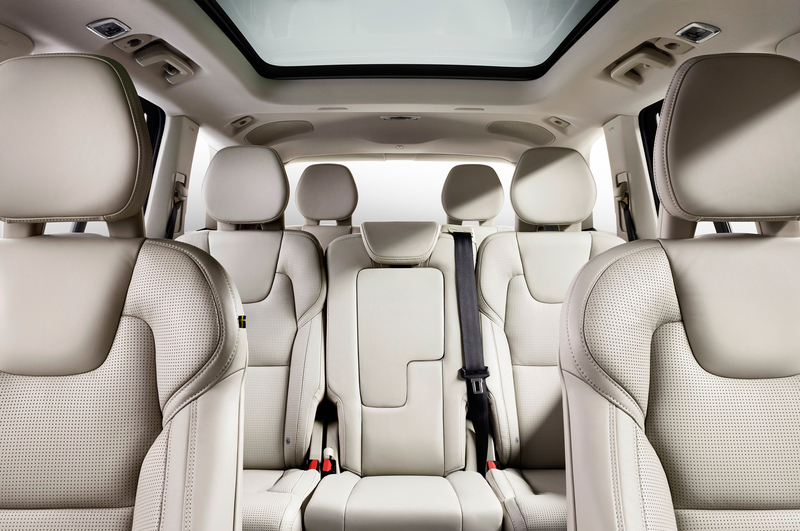 Those in the third row will look on in envy because the back seats are still a pretty tight fit for adults. 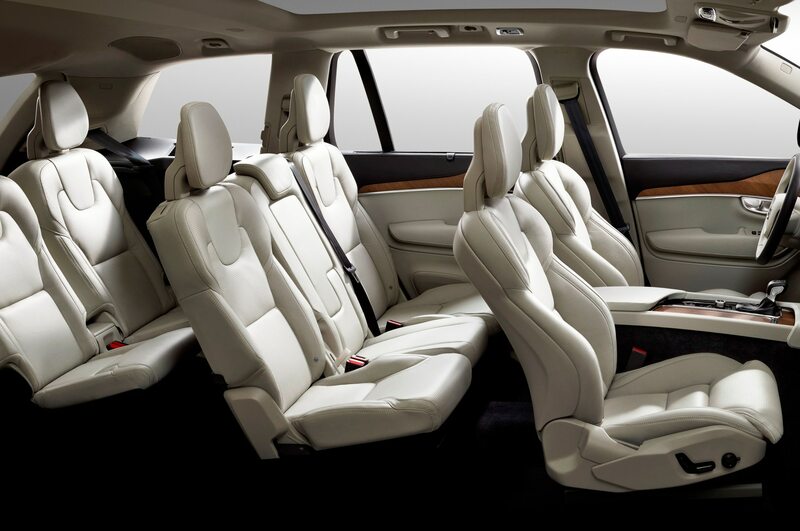 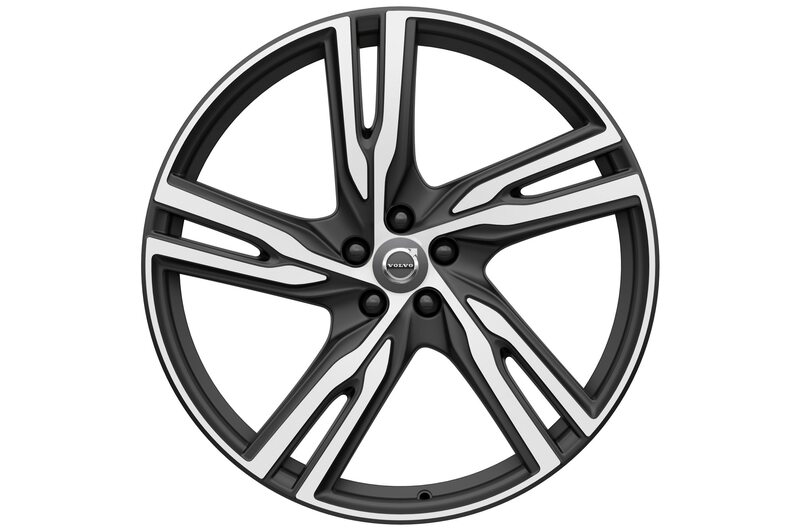 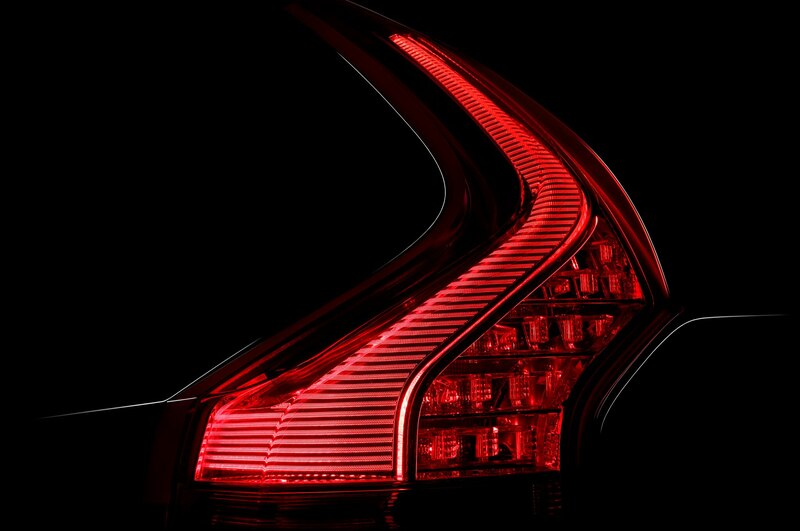 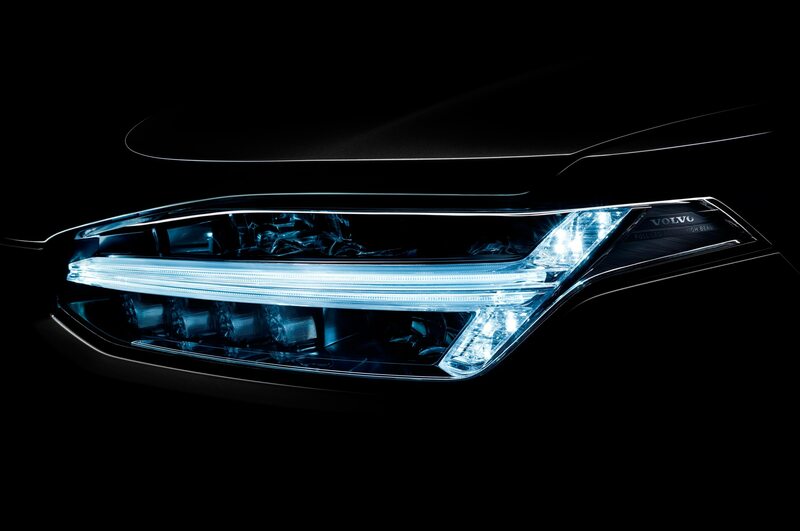 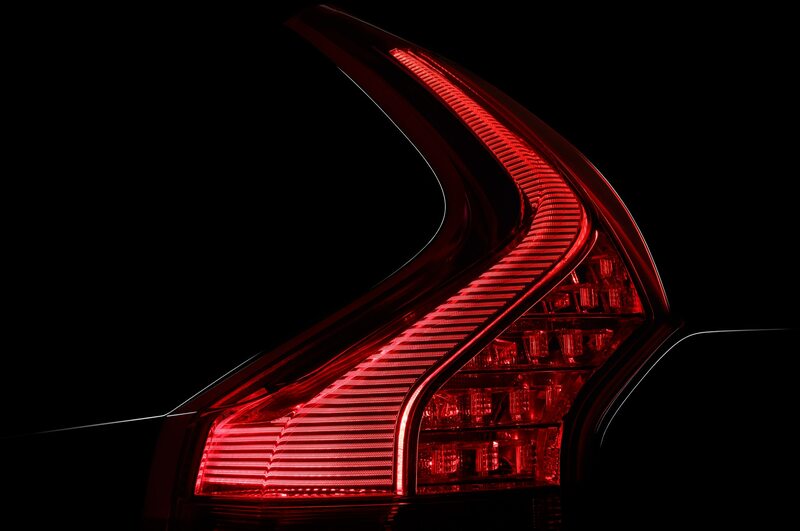 They fold flat, but not quite as easily as those in competitors such as the Acura MDX. 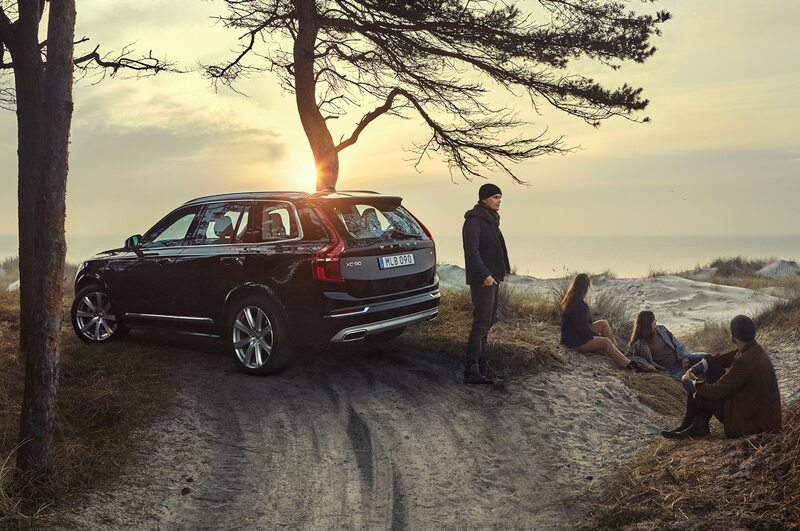 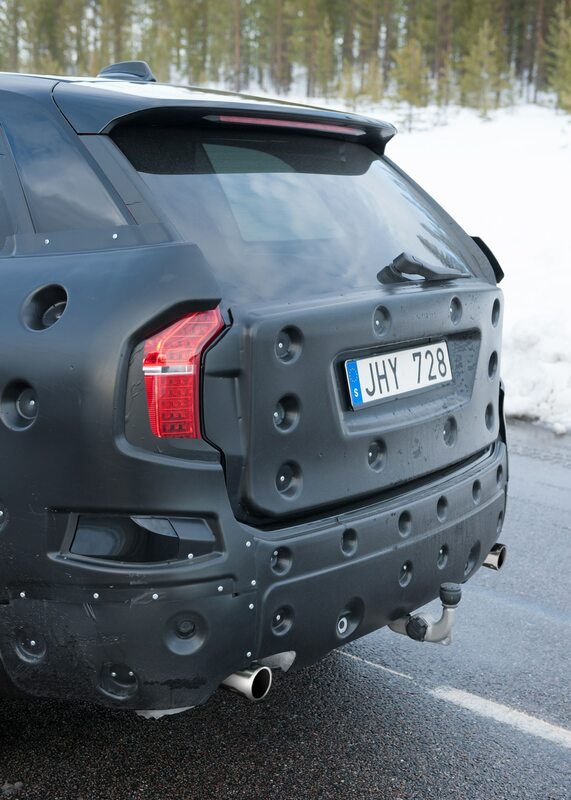 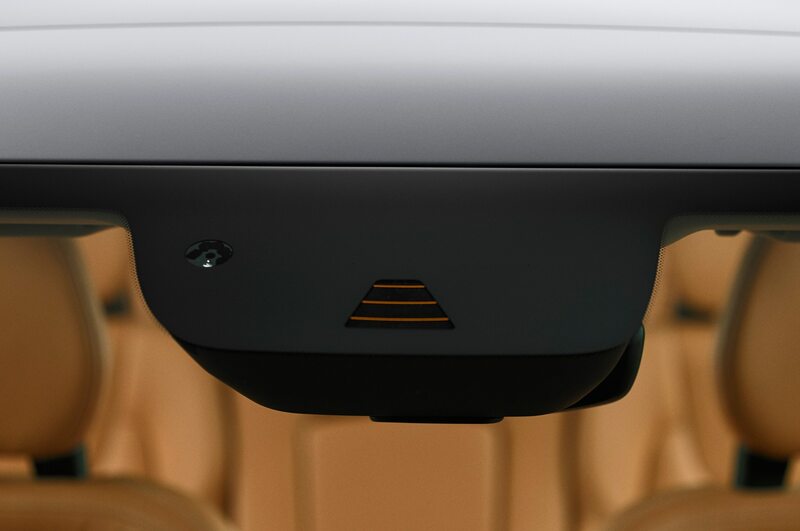 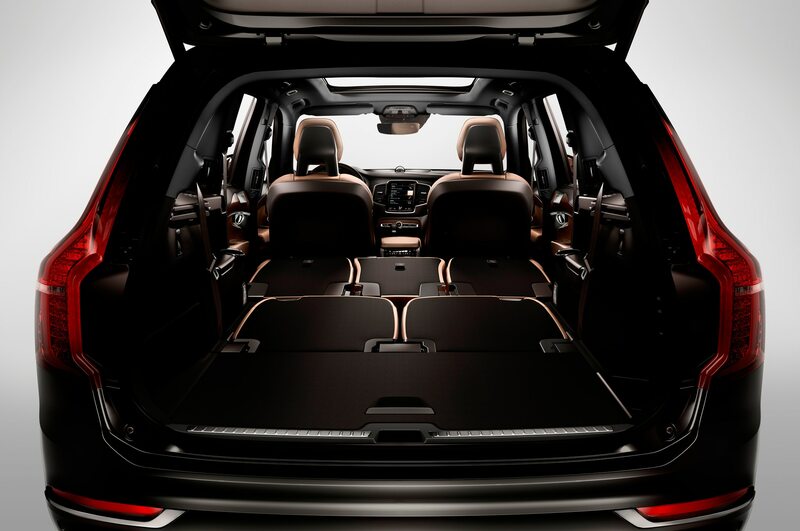 The tailgate opens nice and wide, and XC90s equipped with optional air springs can be lowered at the press of a button for even easier loading. 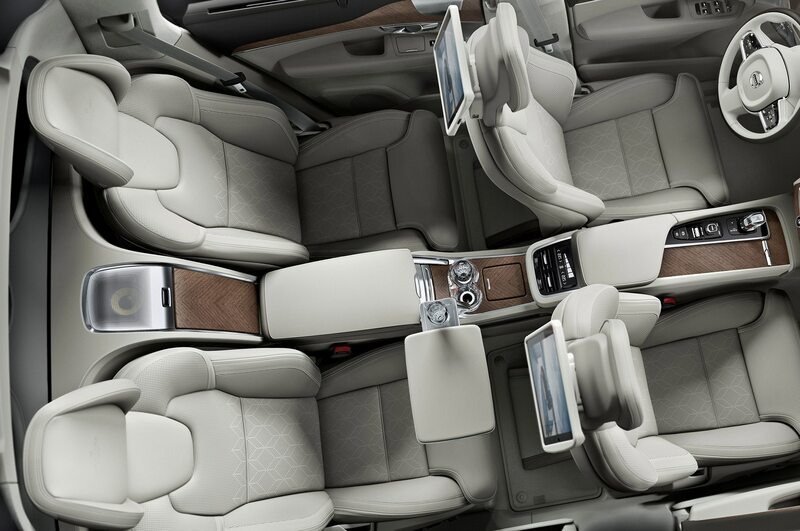 Wherever you sit, the cabin feels spacious and airy, with plenty of light flowing through the large greenhouse and panoramic sunroof. 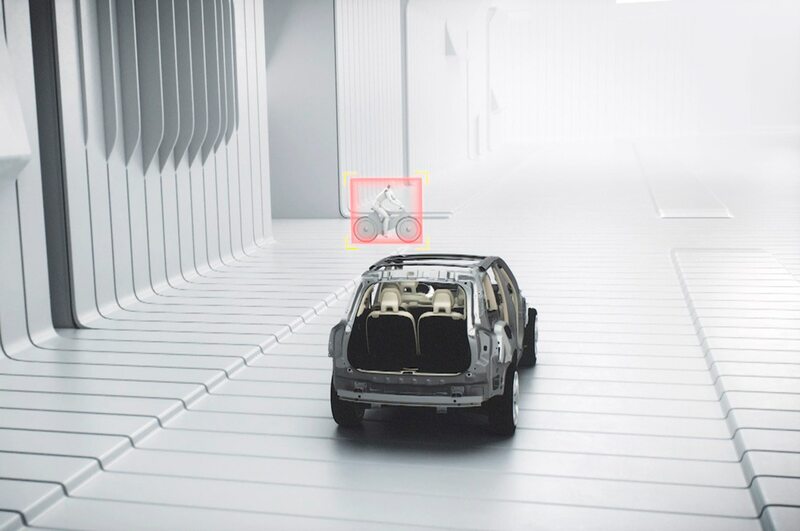 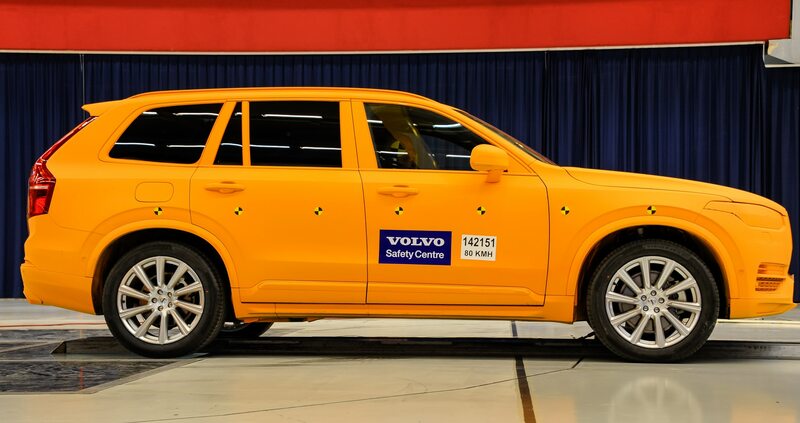 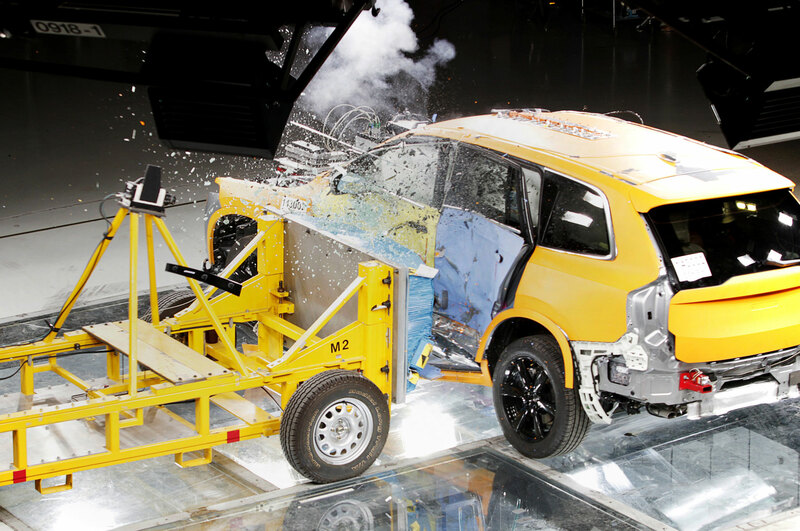 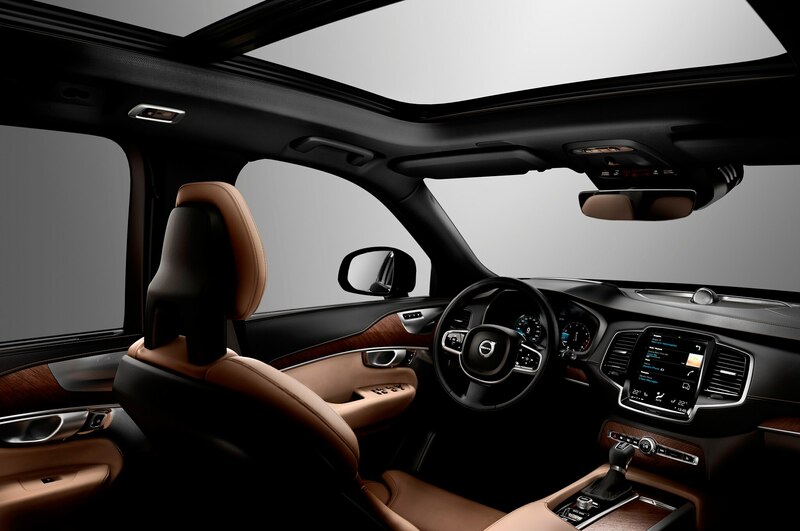 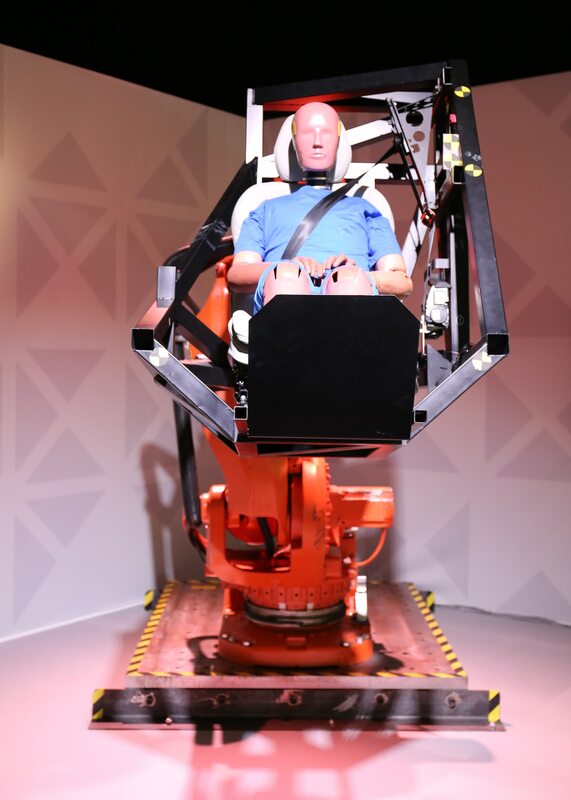 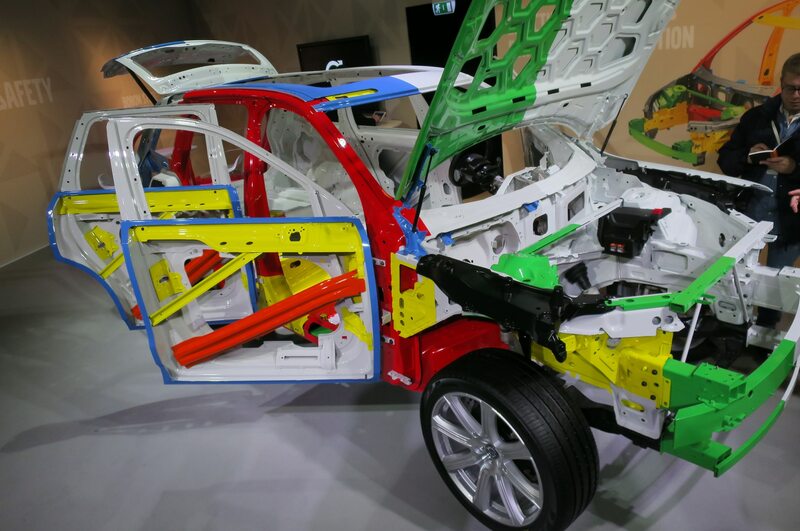 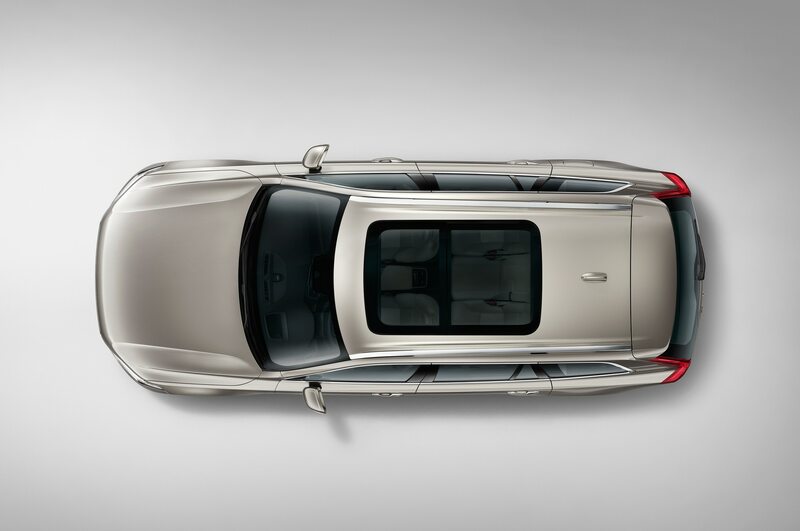 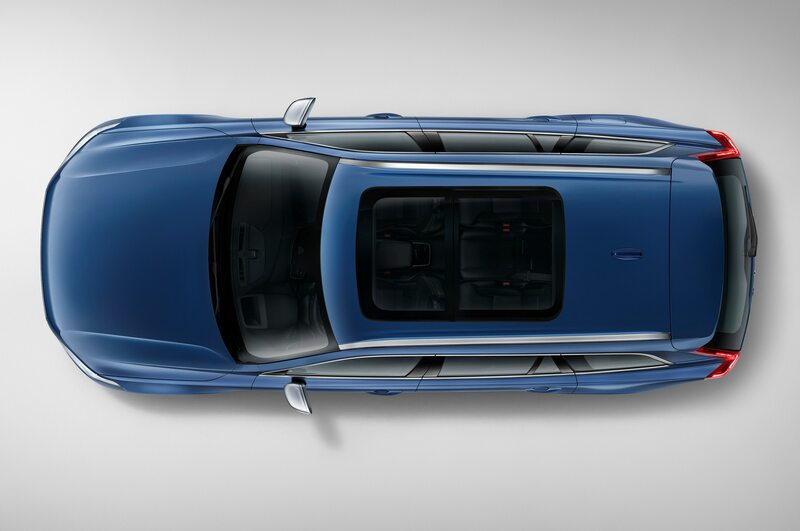 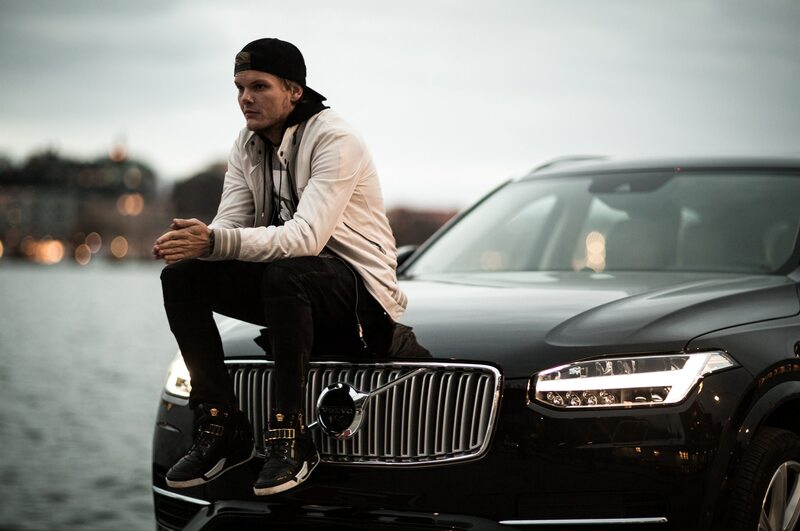 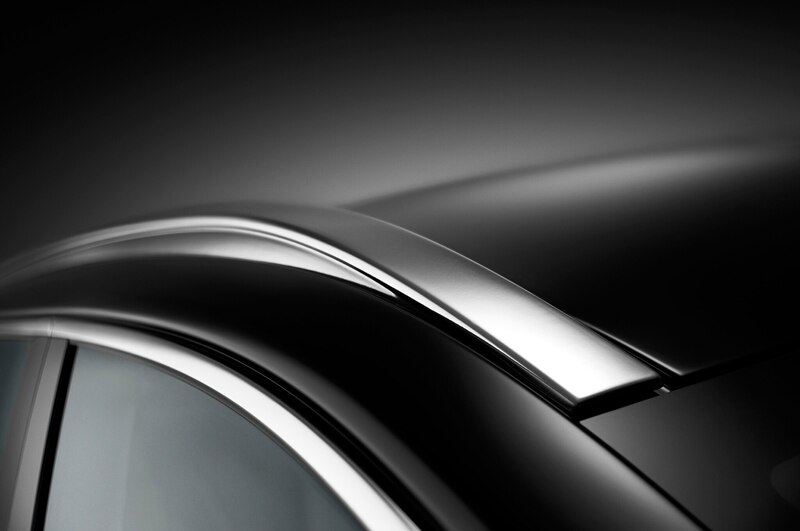 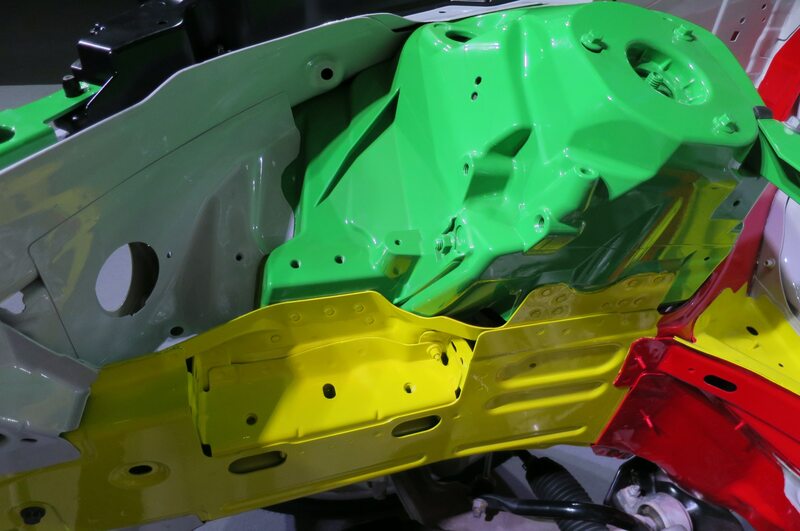 The roof pillars, like the seat frames, are relatively thin because Volvo anted up for stronger metal, in this case ultra-high-strength boron steel. 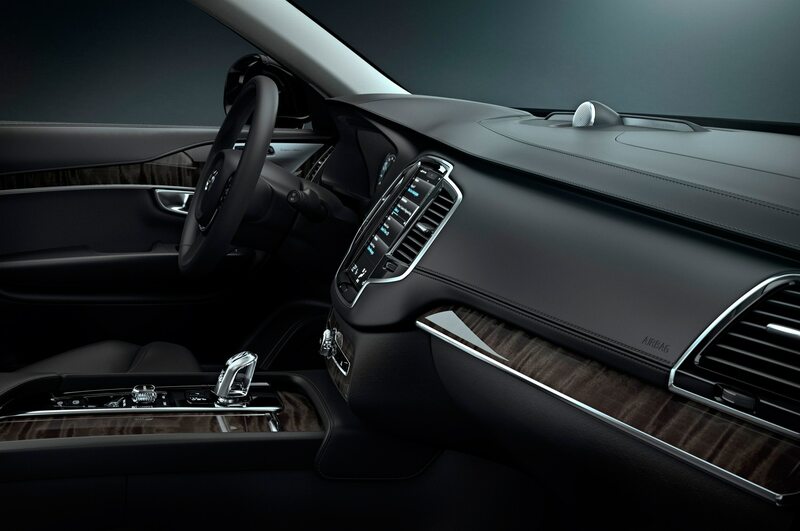 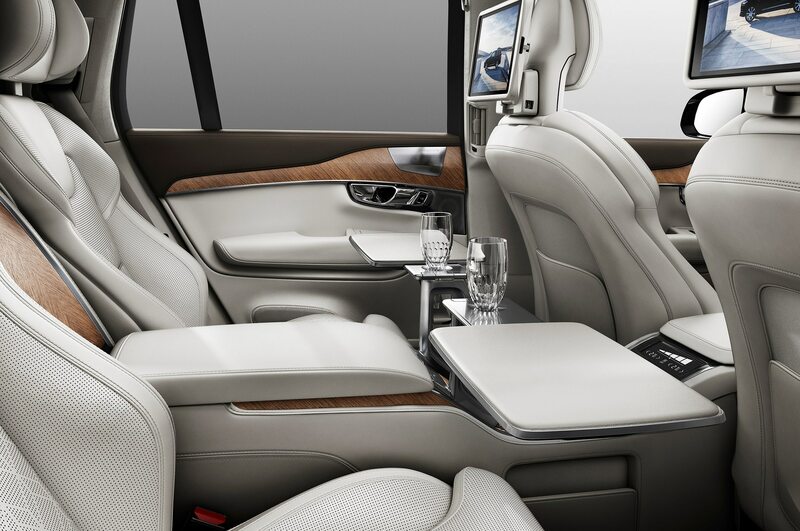 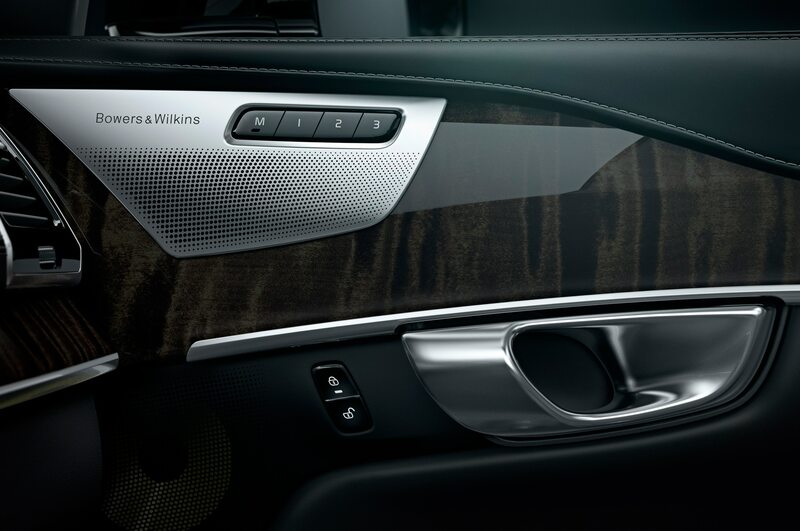 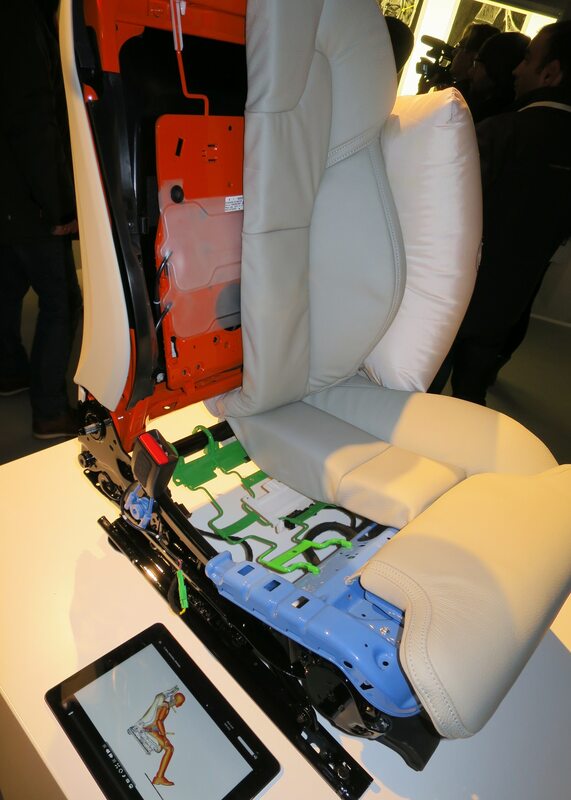 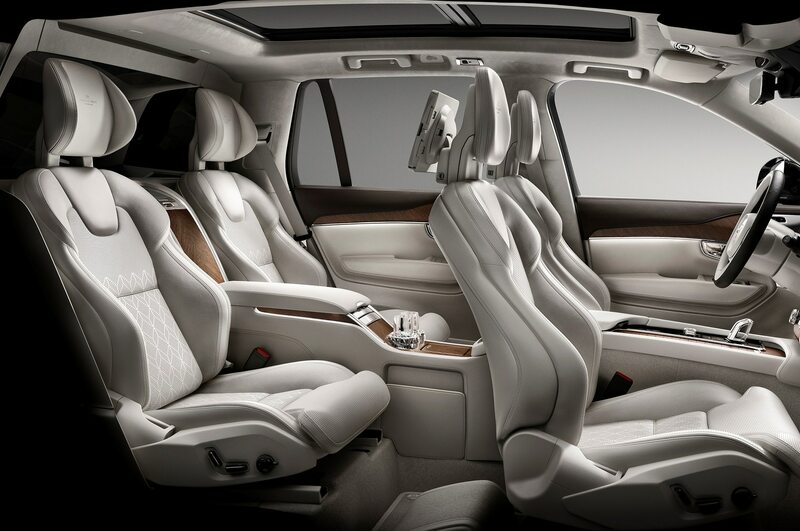 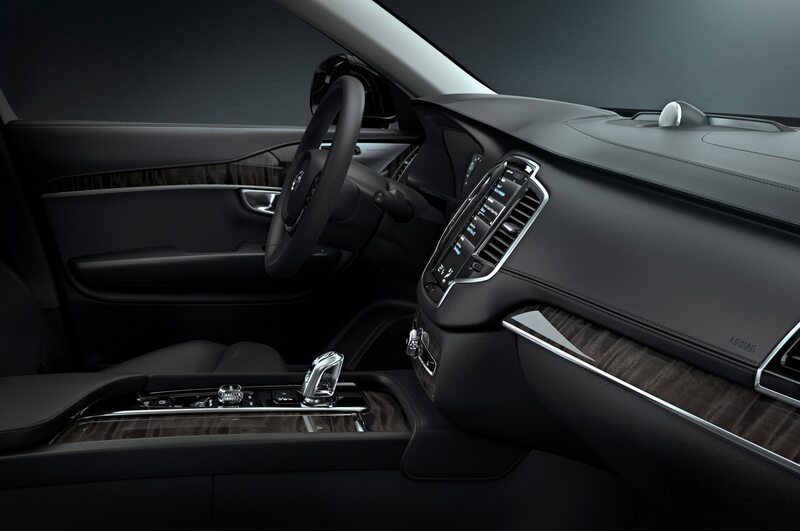 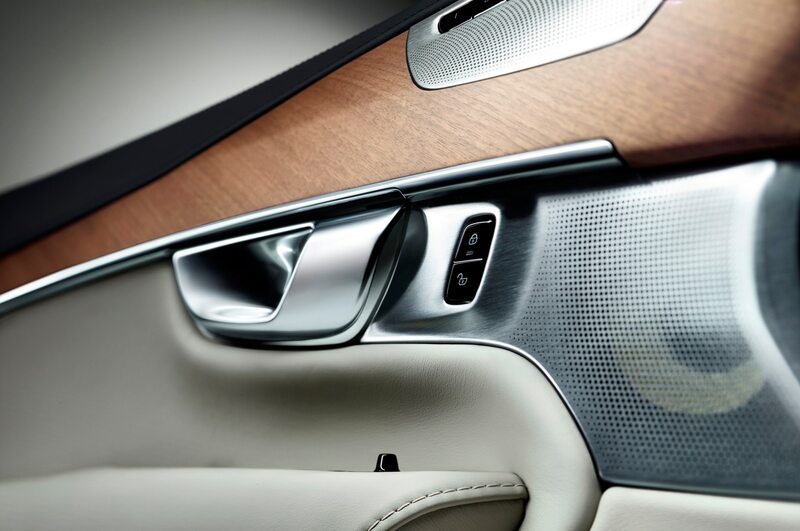 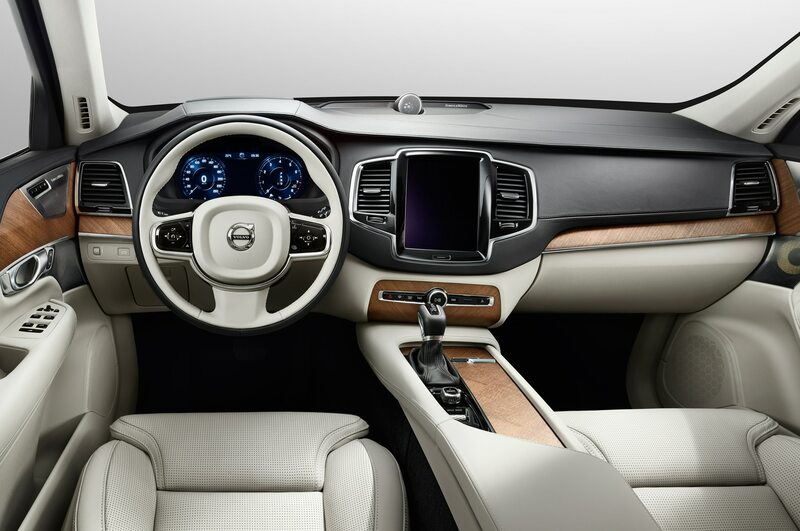 What really sets the XC90’s interior apart from competitors’ are materials Volvo selects for trim. 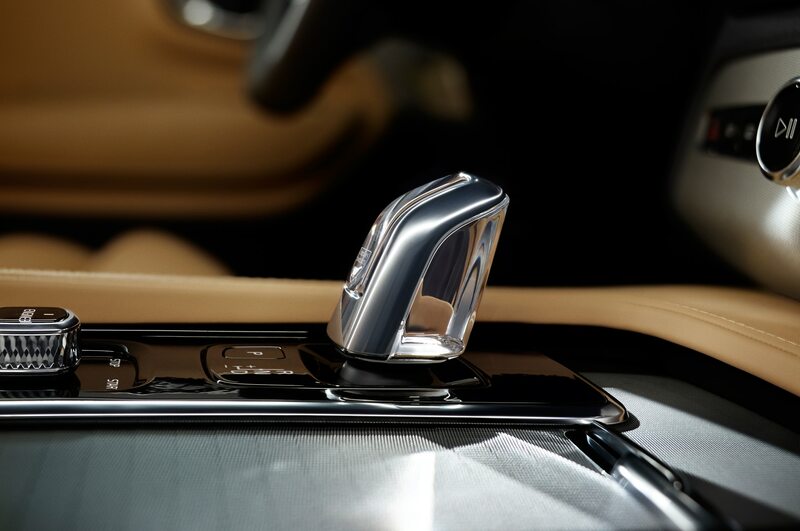 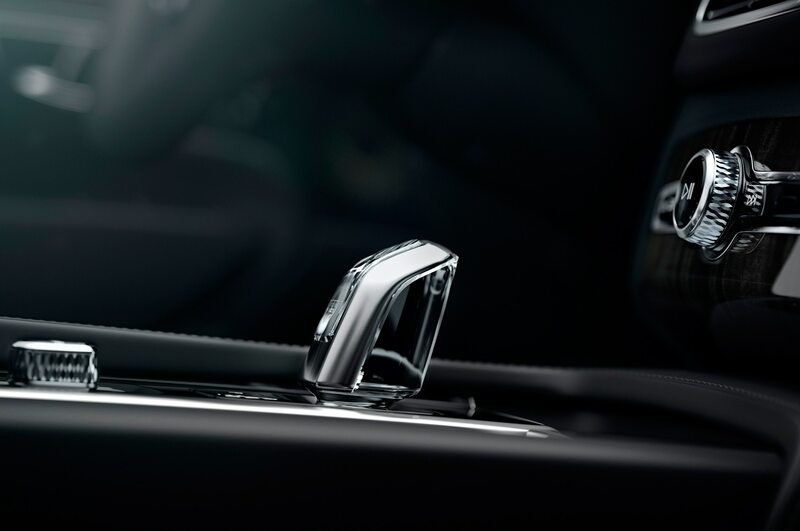 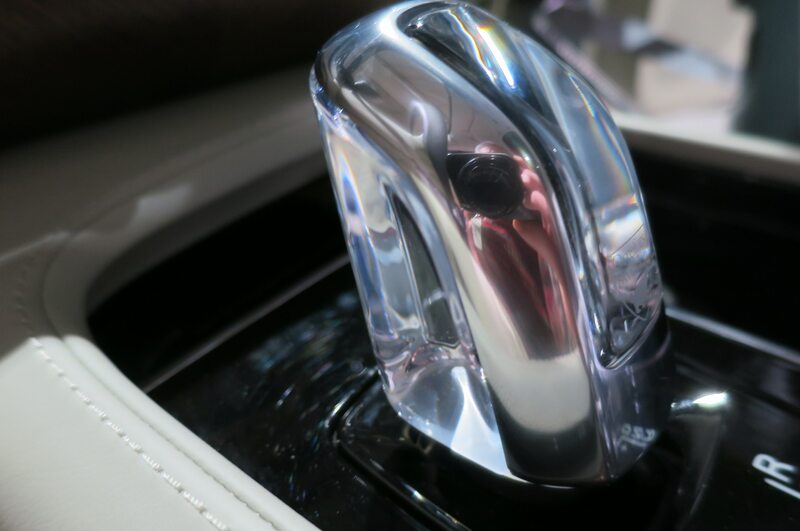 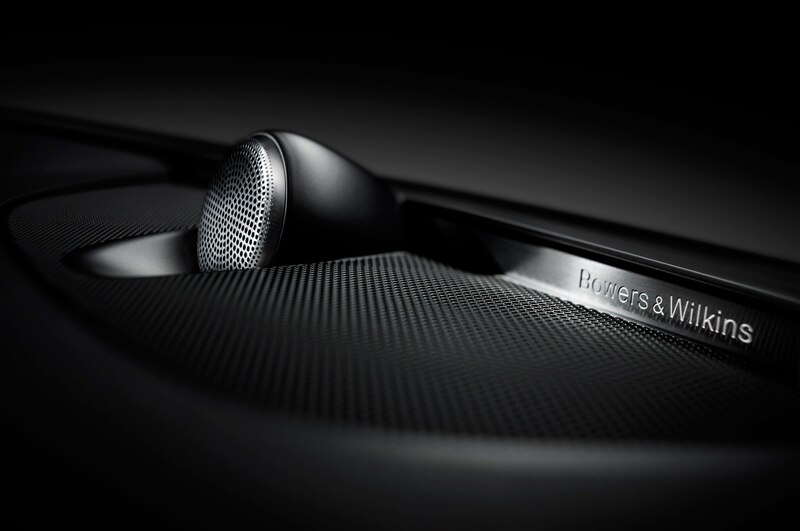 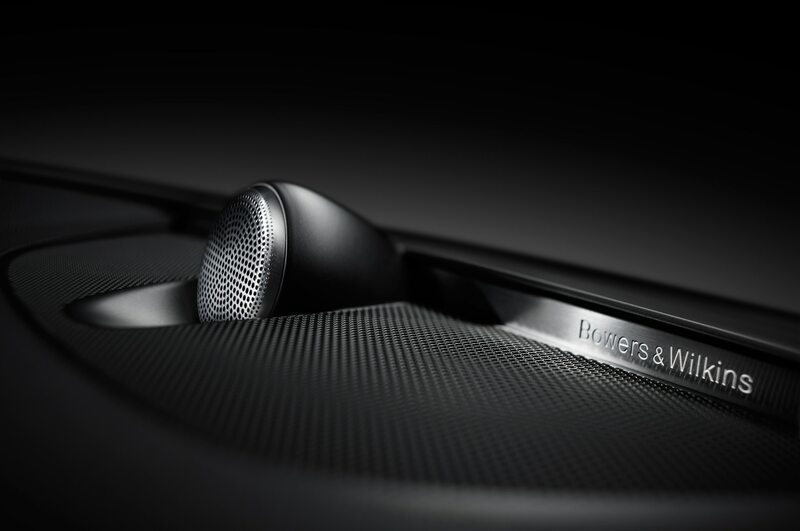 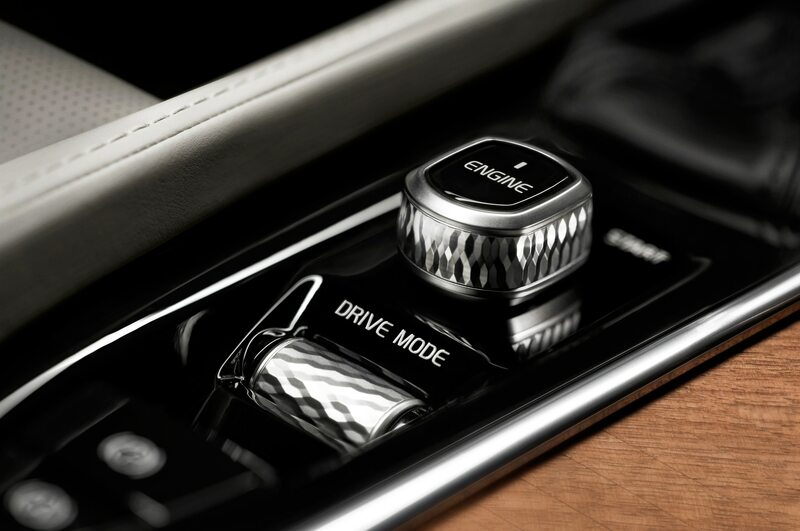 The shifter in high-end Inscription models is made of crystal. 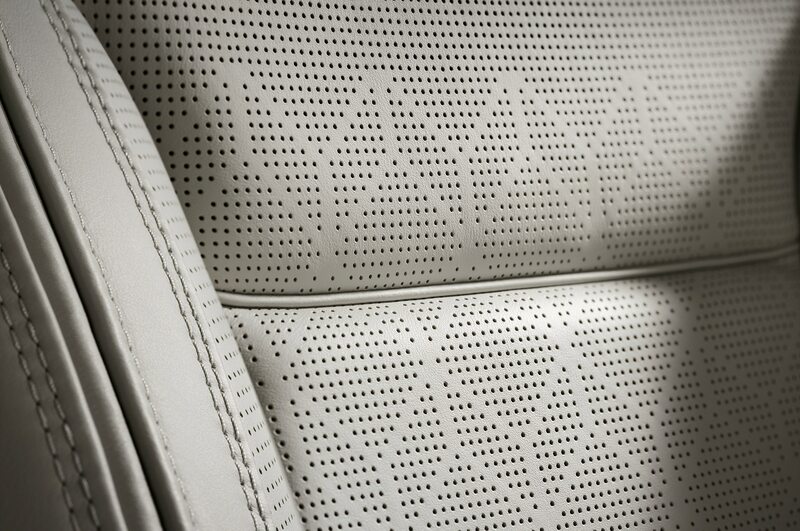 The center console is dressed in a sort of chain mail. 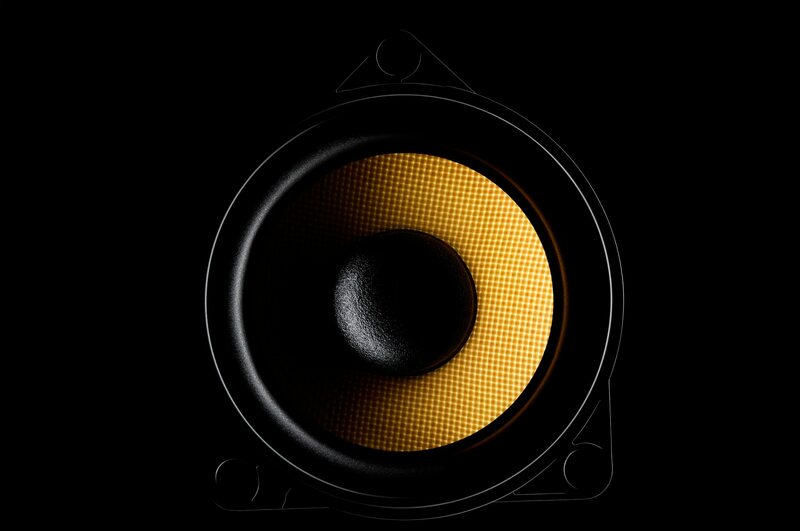 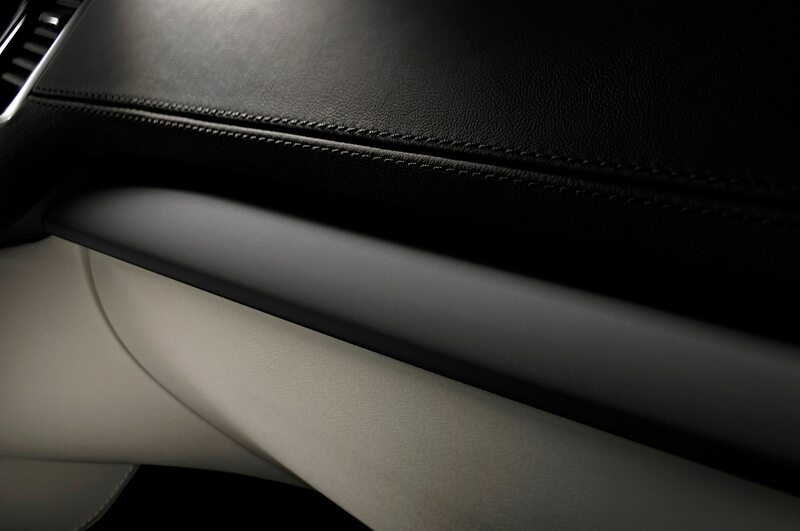 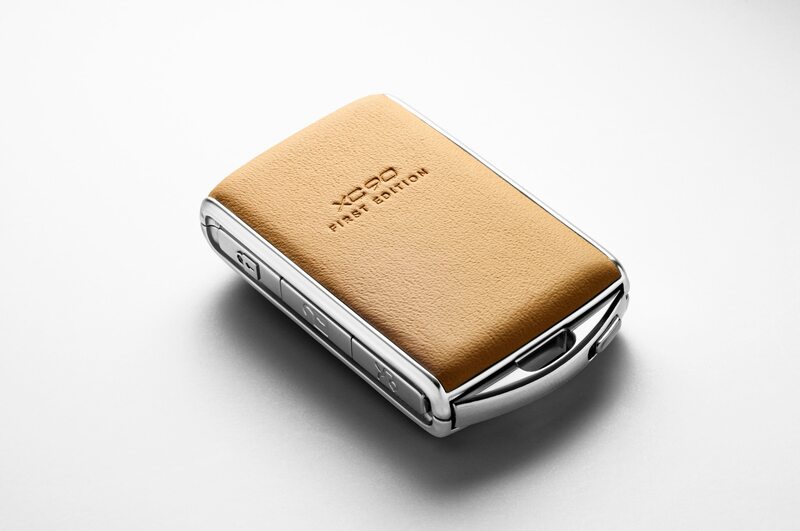 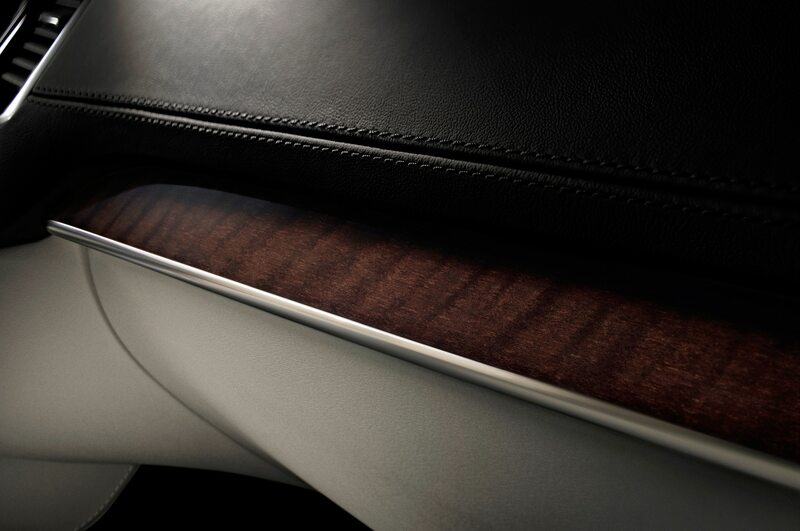 Nearly every other surface wears soft Nappa leather. 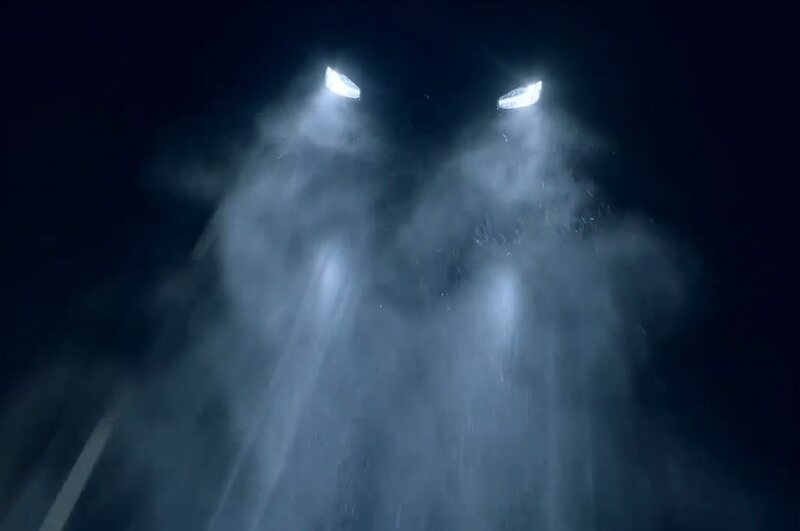 Only Audi puts as much thought into this kind of stuff. 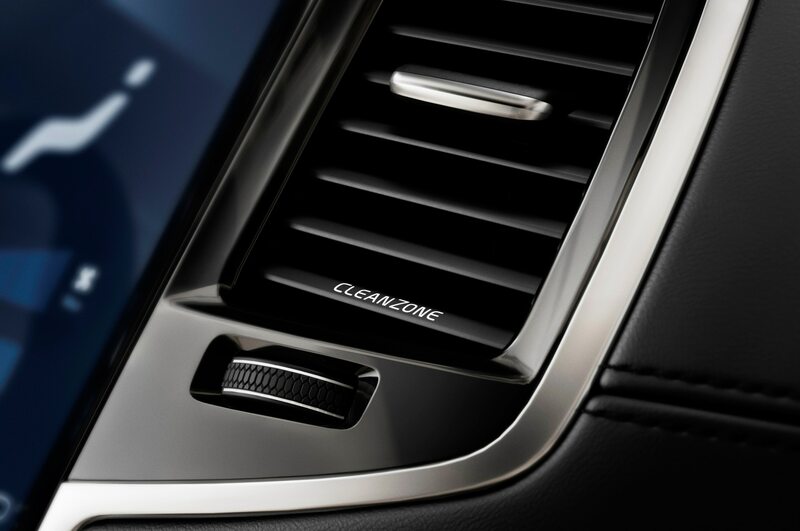 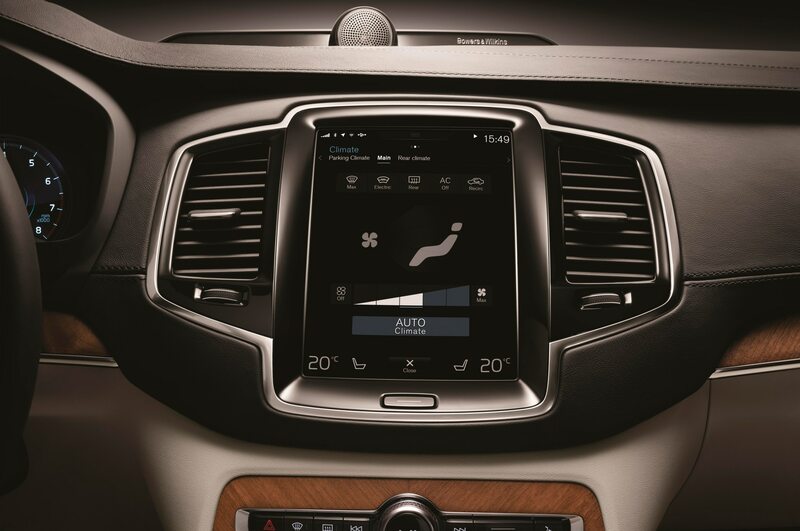 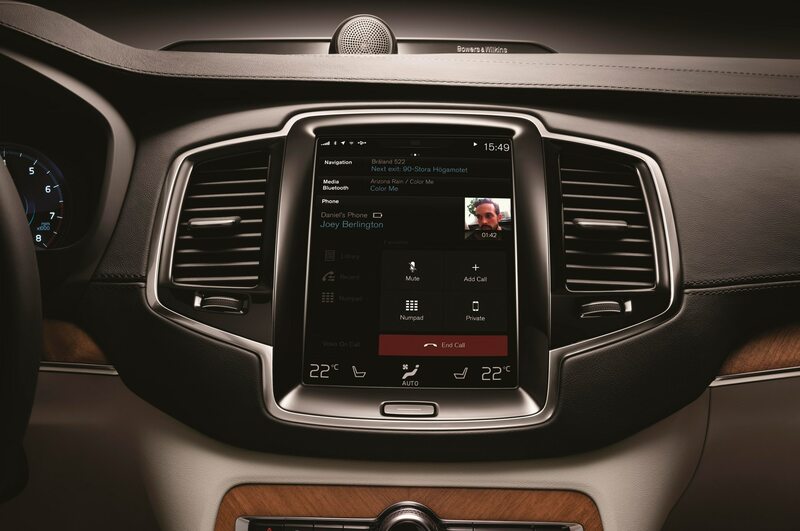 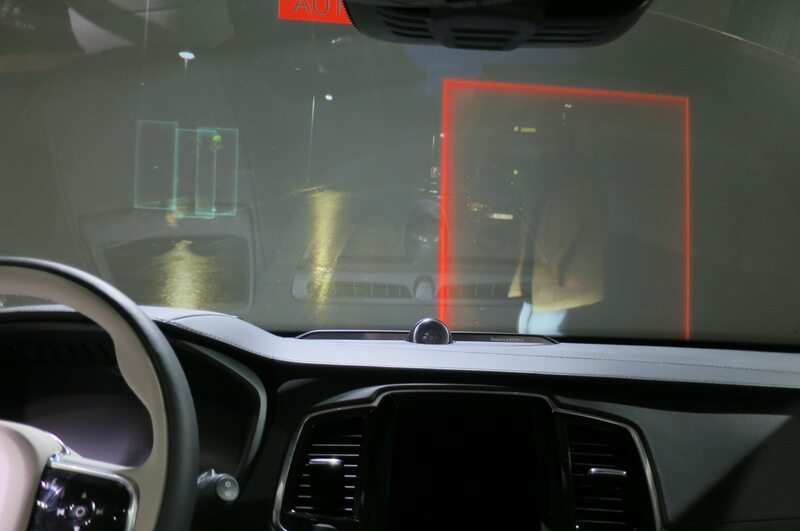 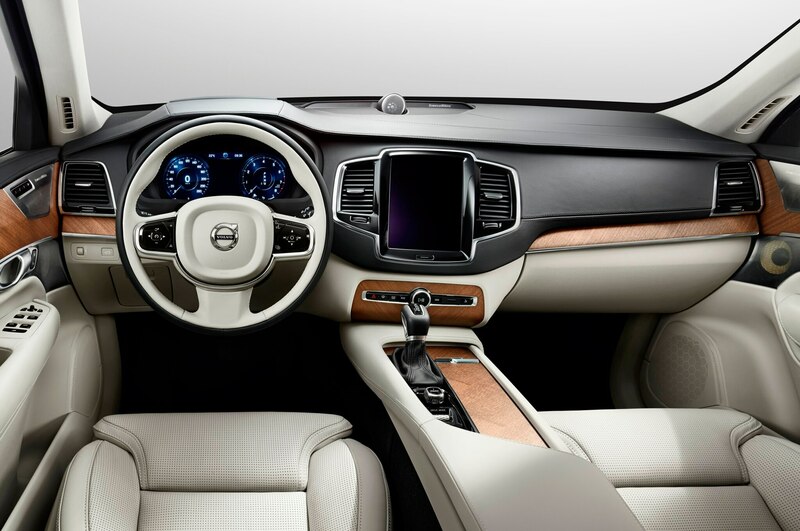 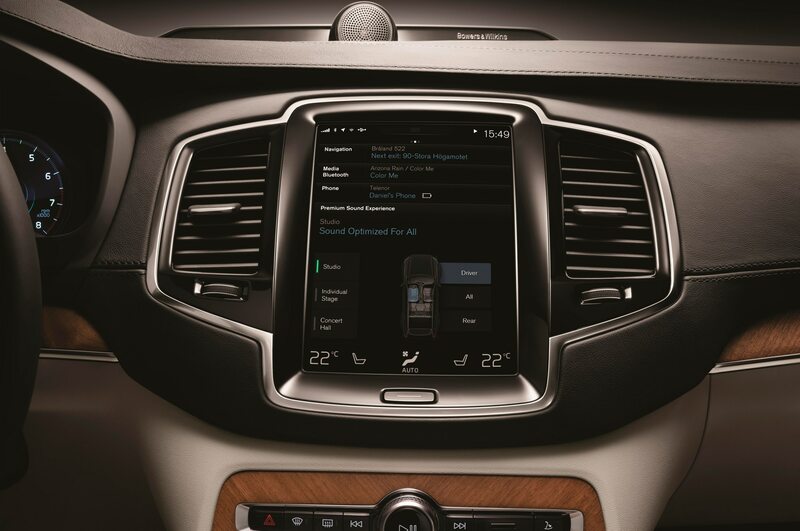 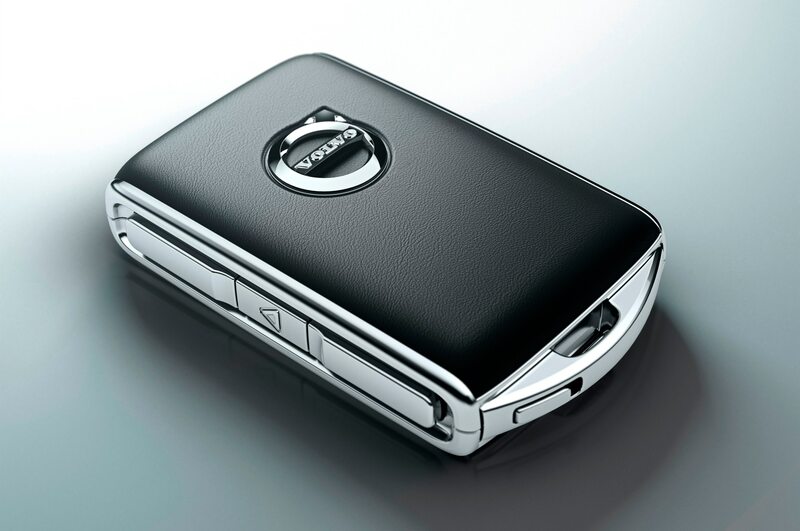 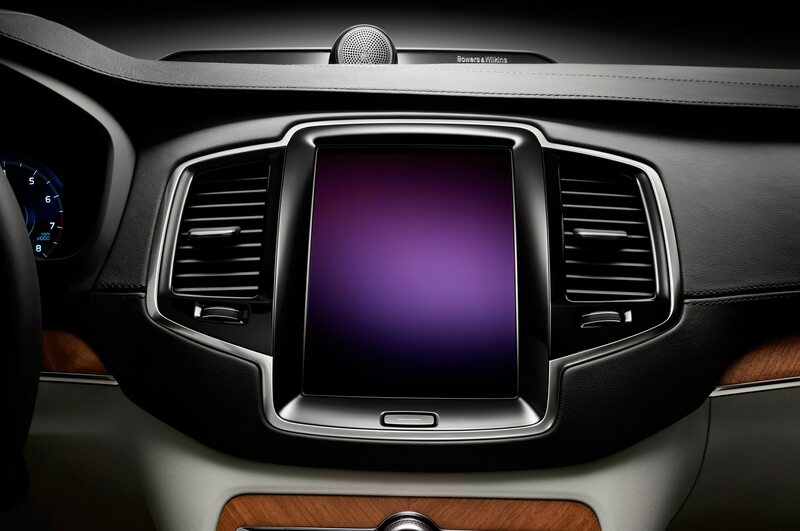 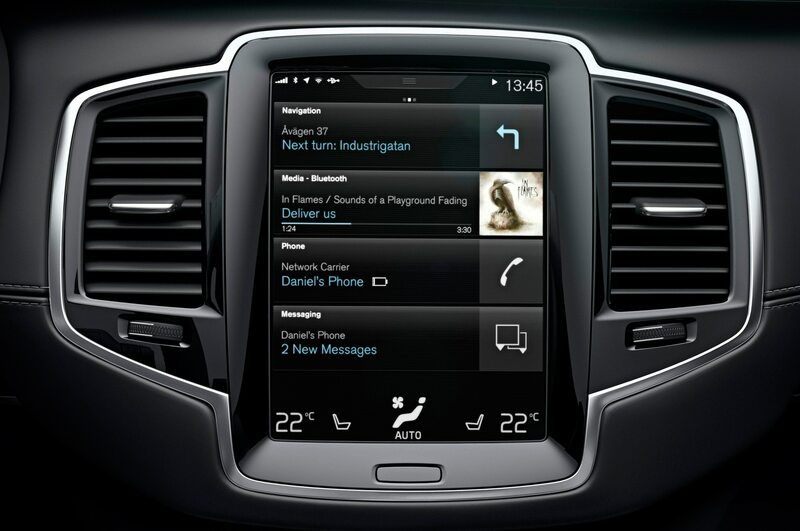 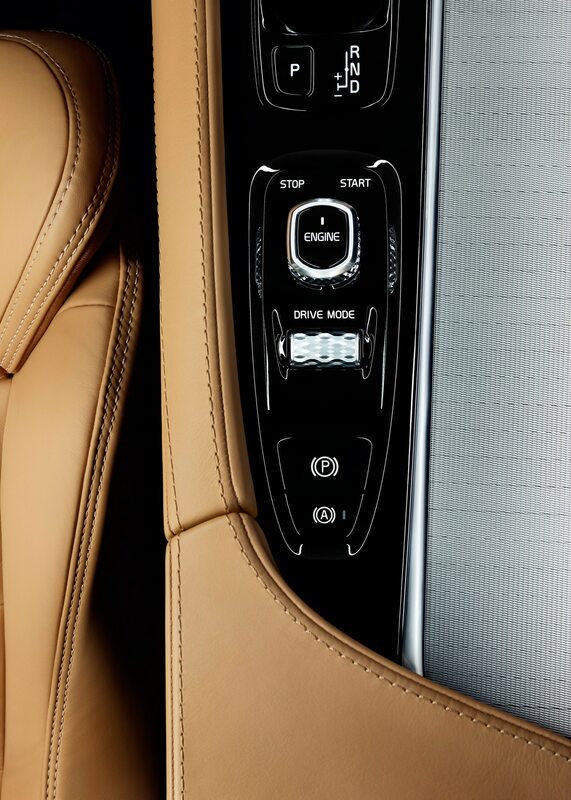 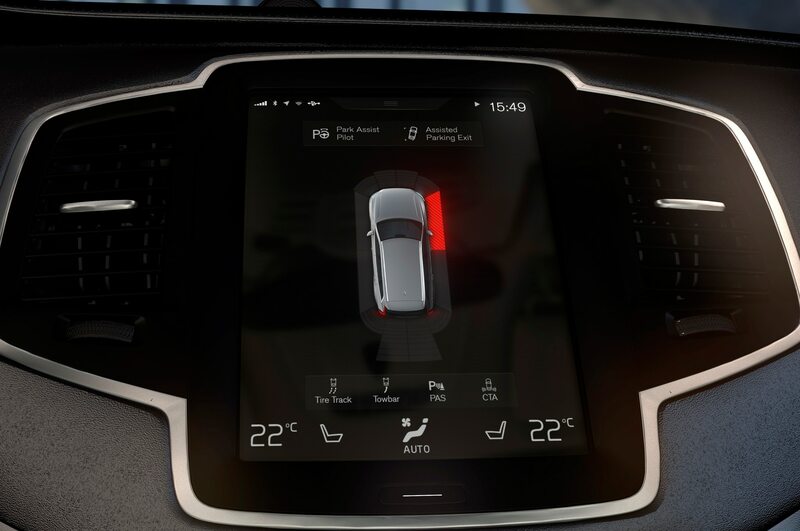 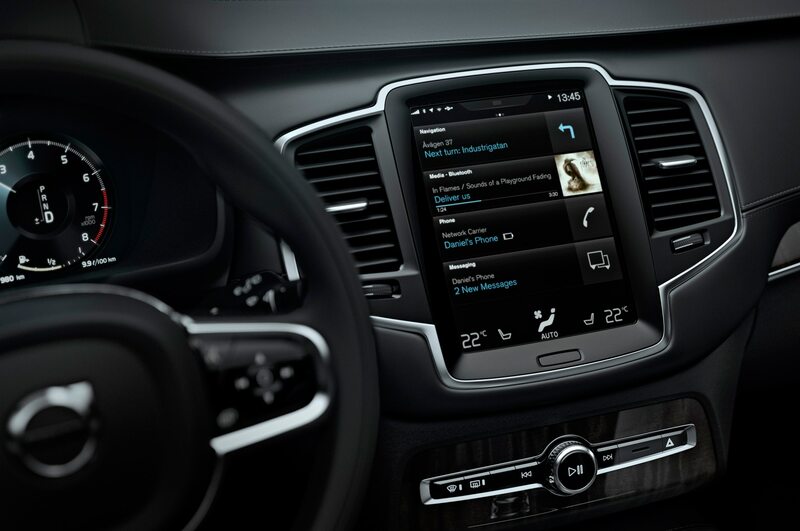 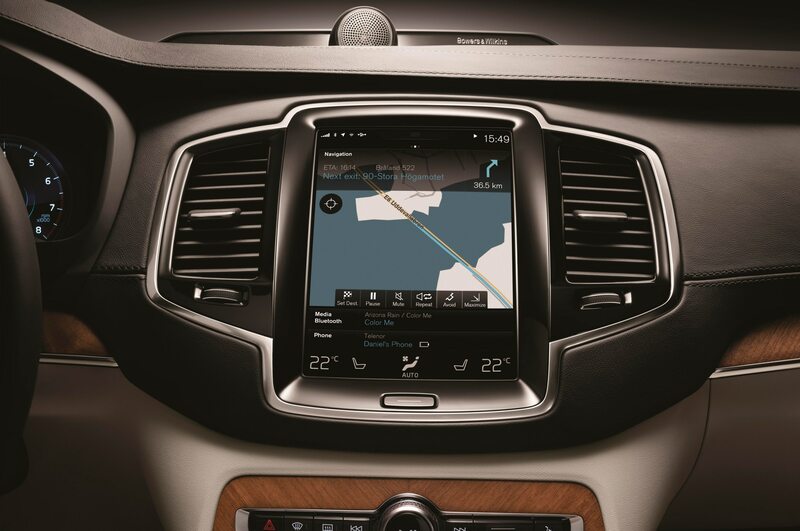 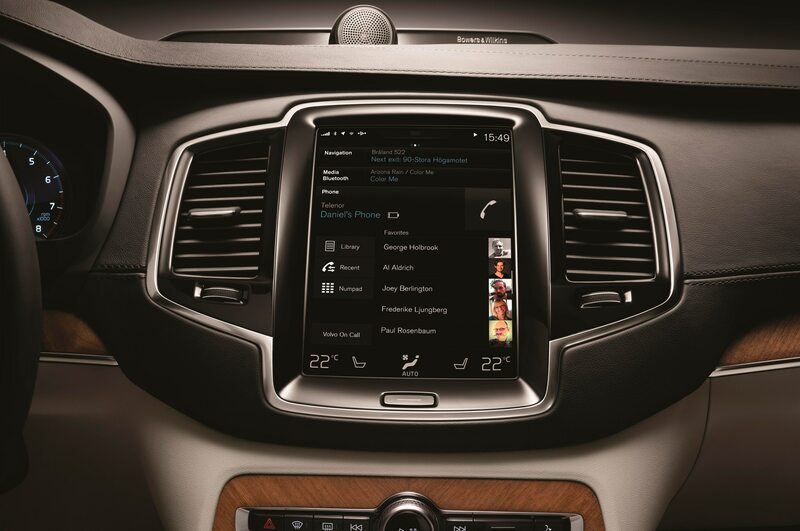 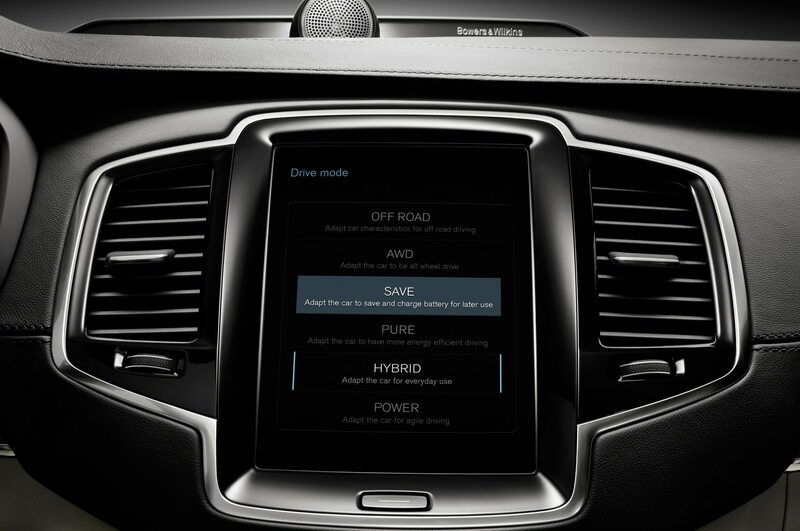 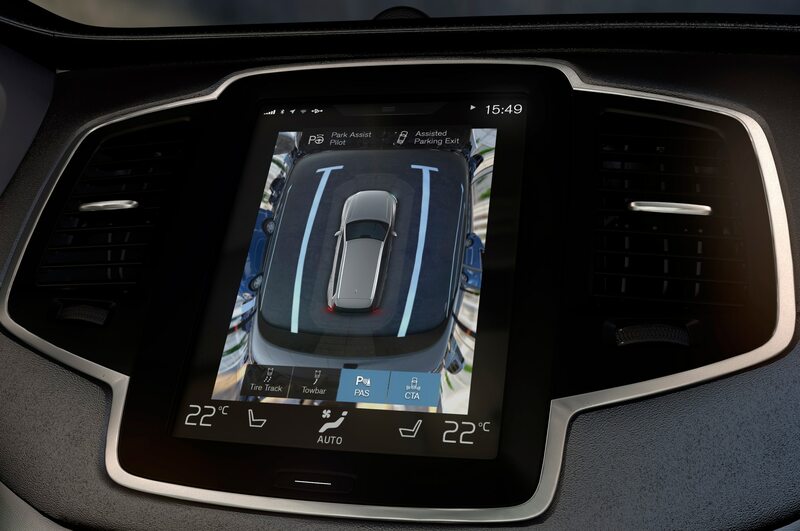 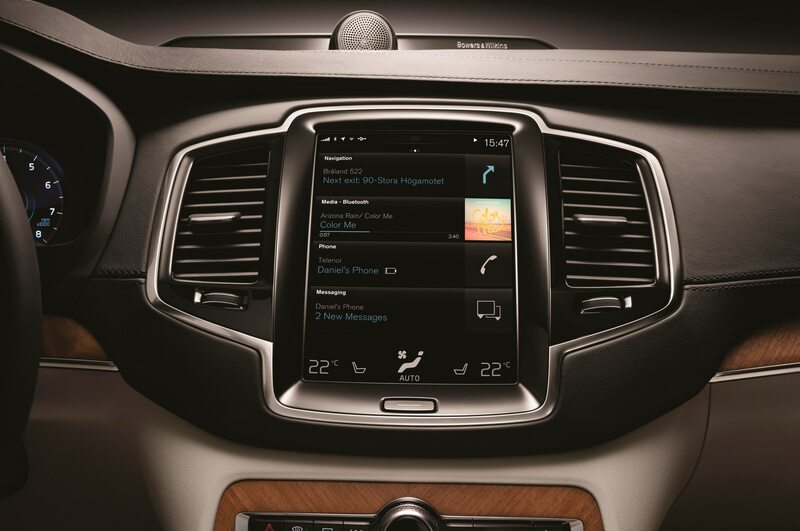 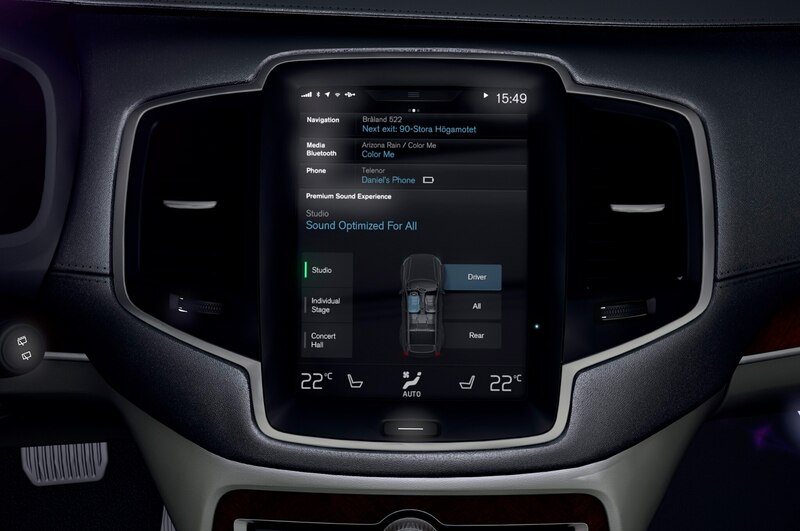 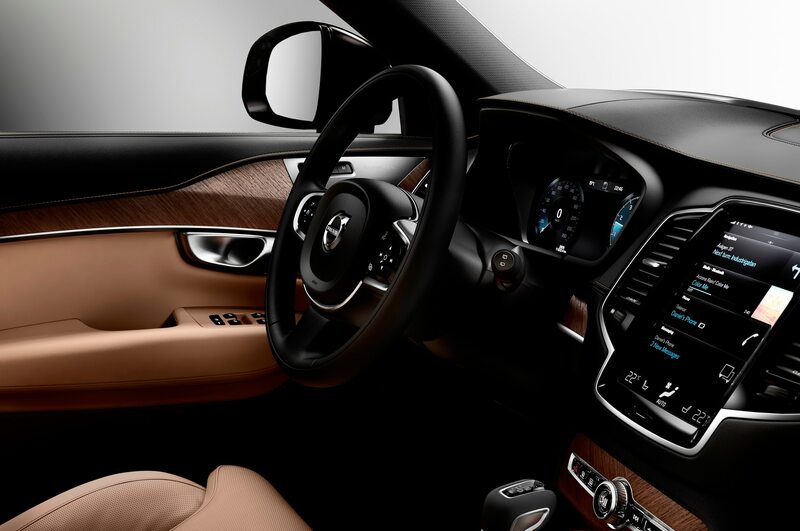 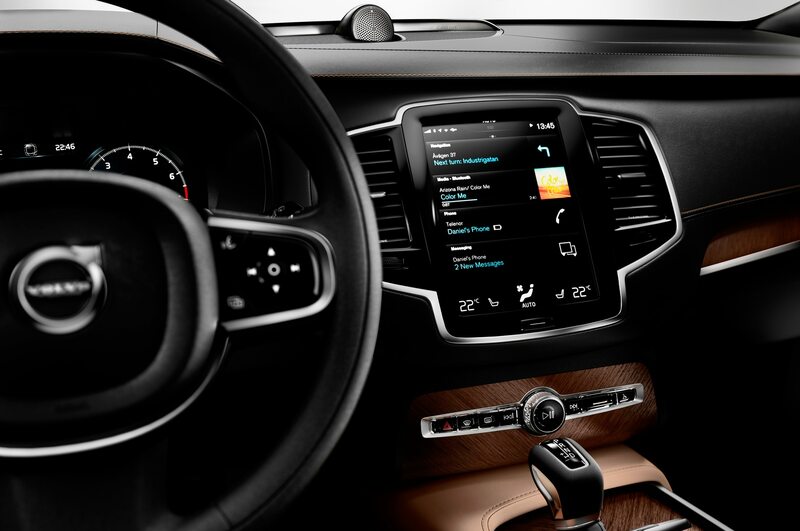 Volvo has also put considerable thought into a new 9-inch touchscreen, which replaces most physical controls. 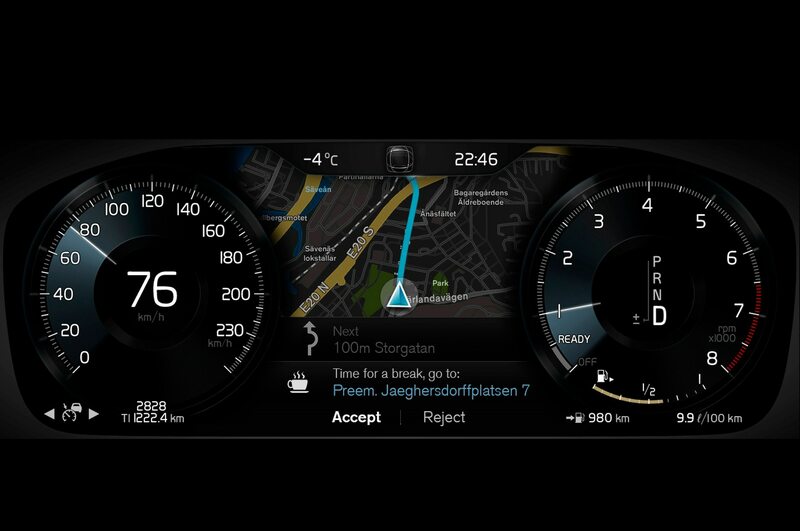 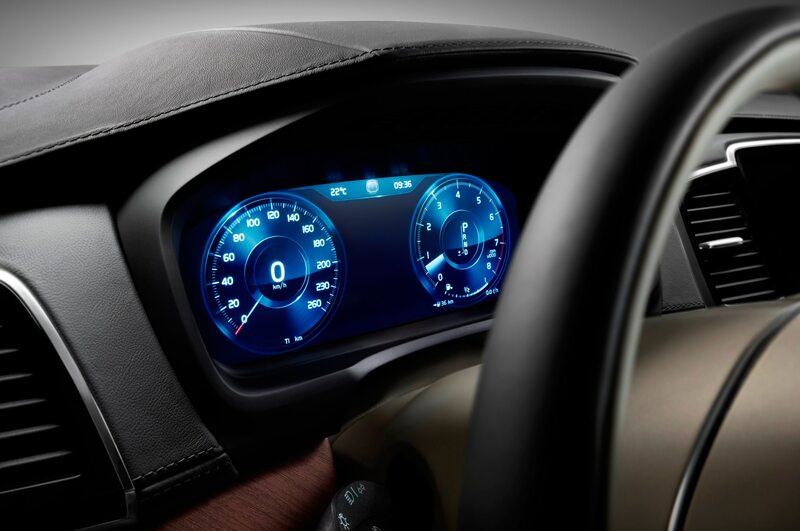 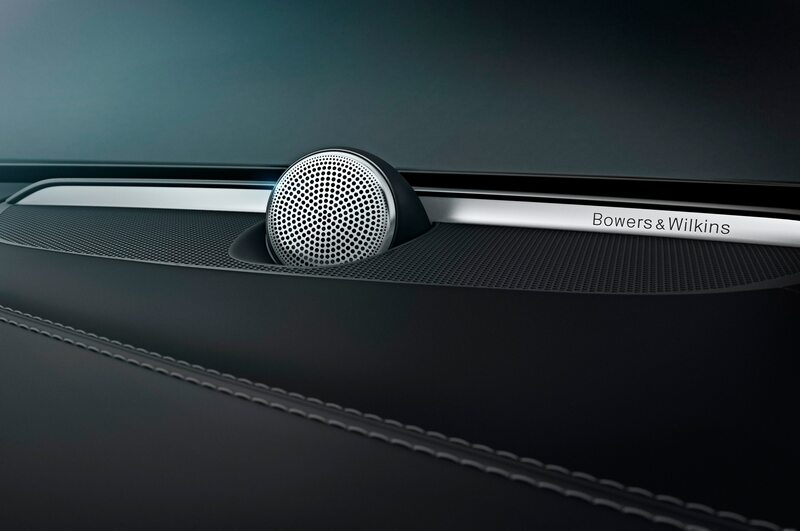 It merits two backhanded compliments: It’s better than Volvo’s terrible old system, and it’s better than most touchscreen systems competitors offer. 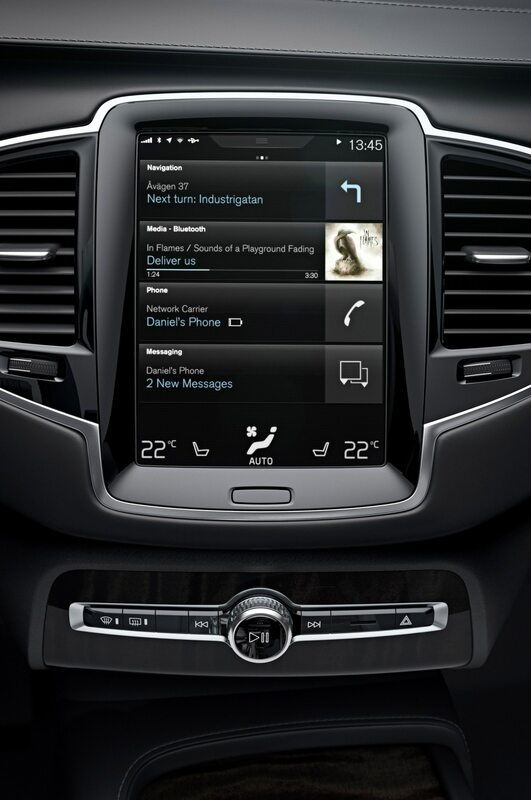 The screen looks capacitive (like an iPad or Cadillac Cue), but it’s actually the more common resistive variety. 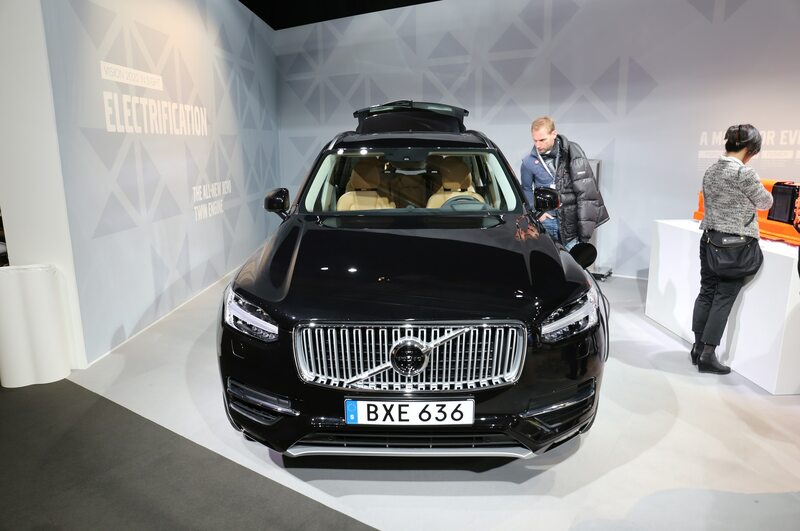 Only the latter responds to gloved fingers, and Swedes spend a lot of time wearing gloves. 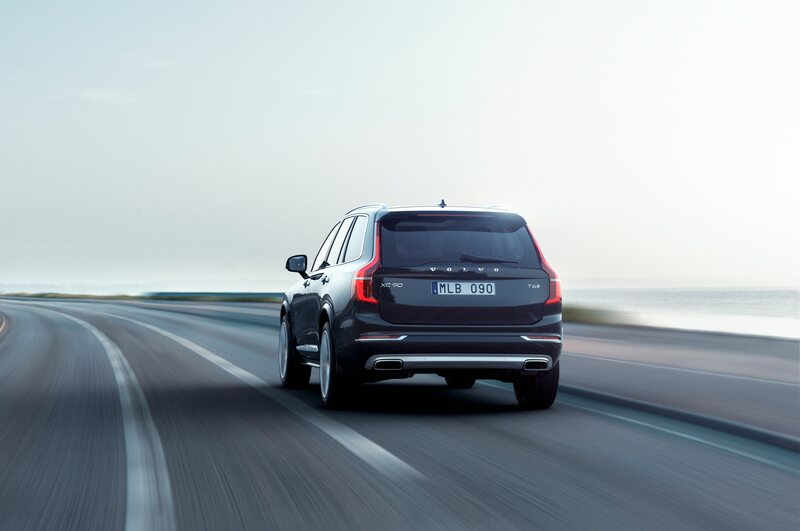 We imagine they also spend a lot of time listening to ABBA, which blasts from the XC90’s Bowers & Wilkins speakers as soon as we twist the ignition. 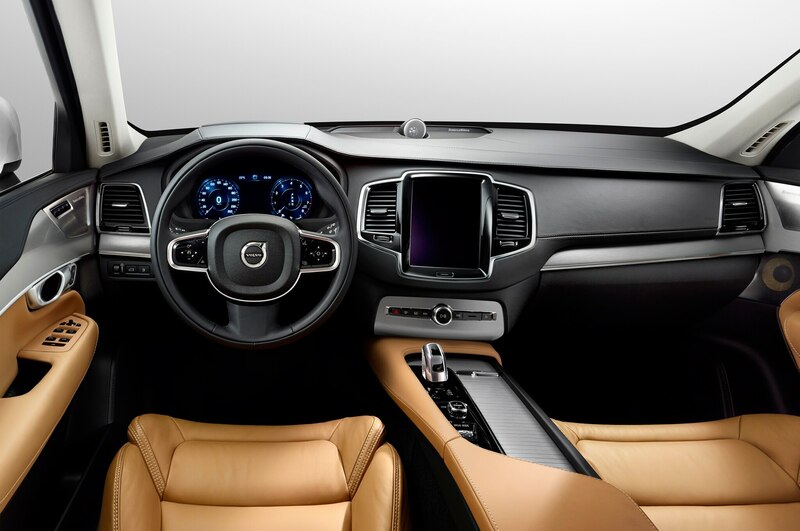 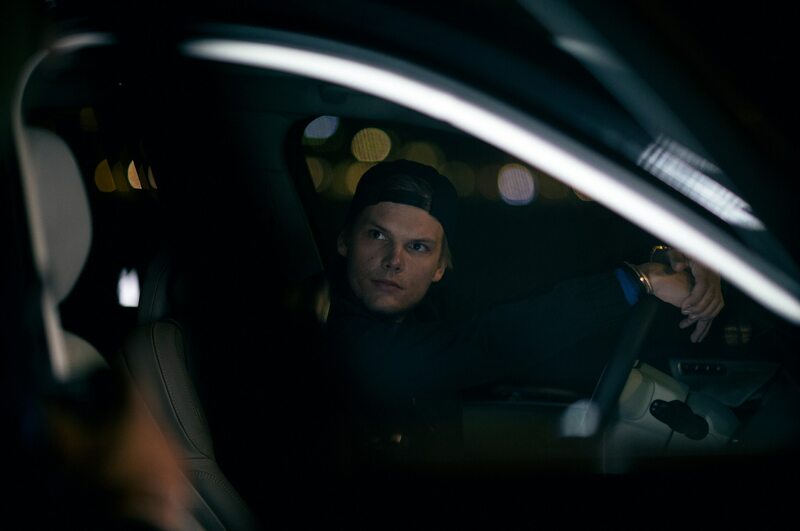 The Swedish pop can’t drown out the very different noises coming from the engine bay. 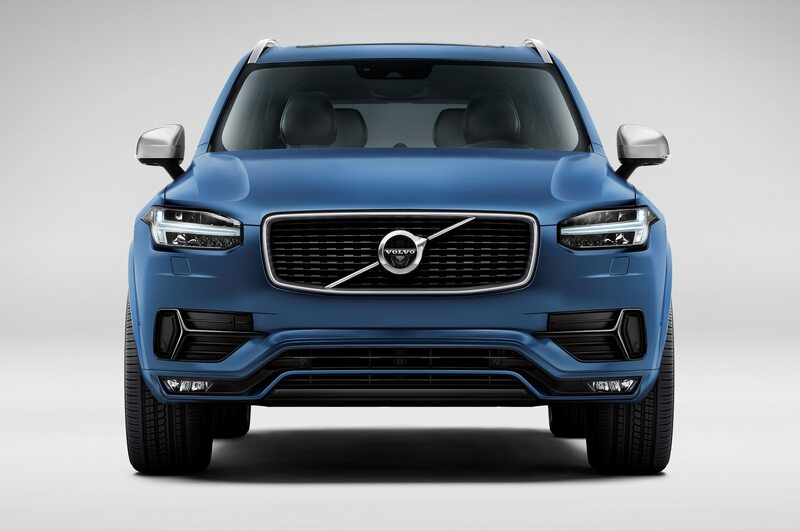 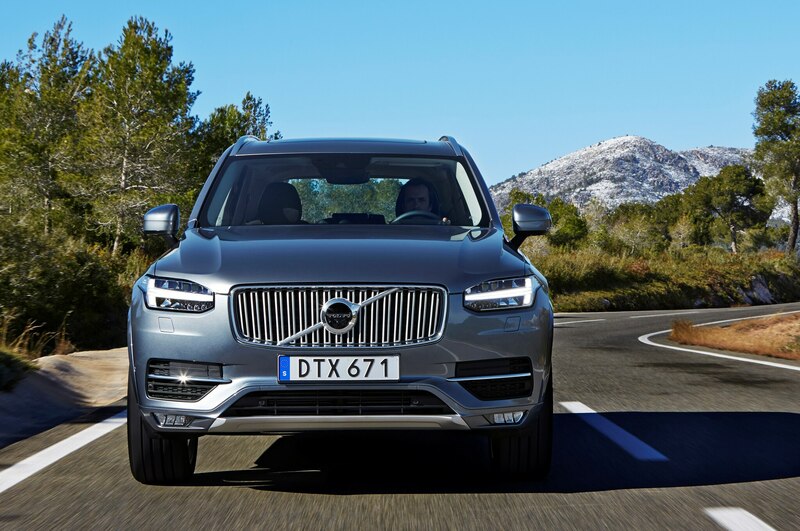 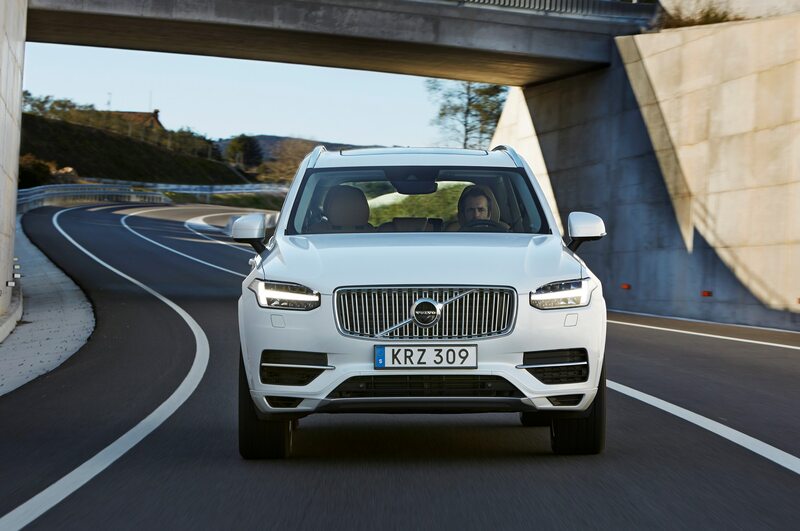 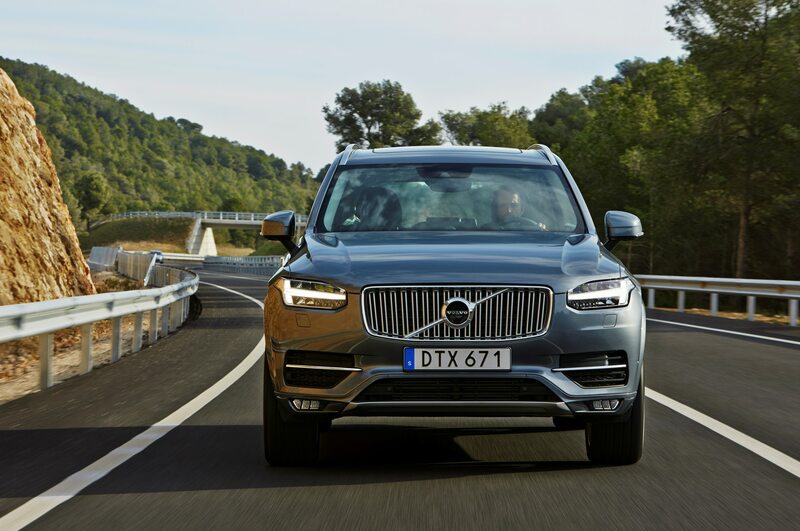 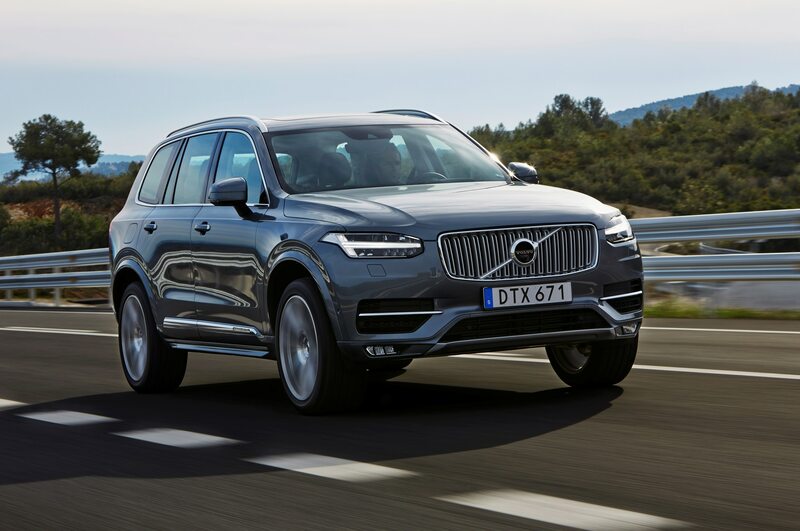 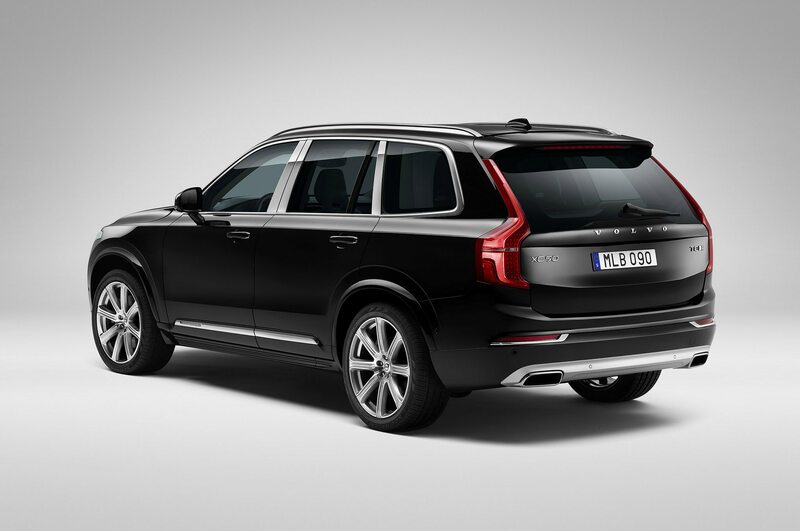 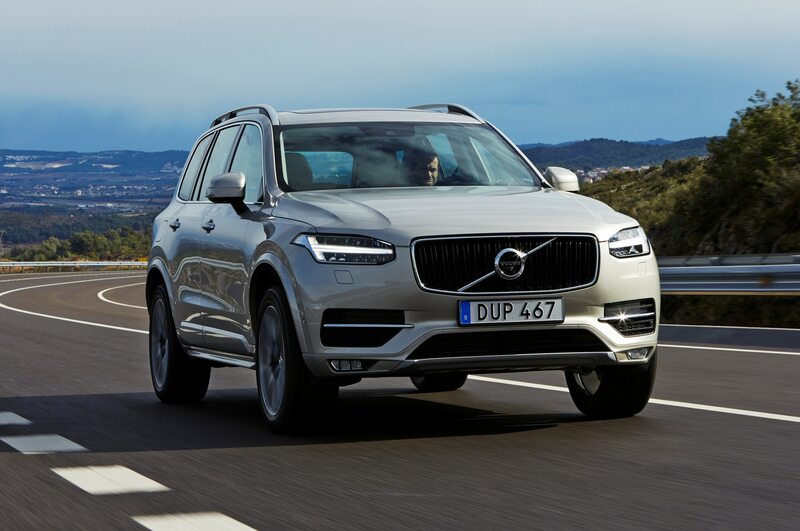 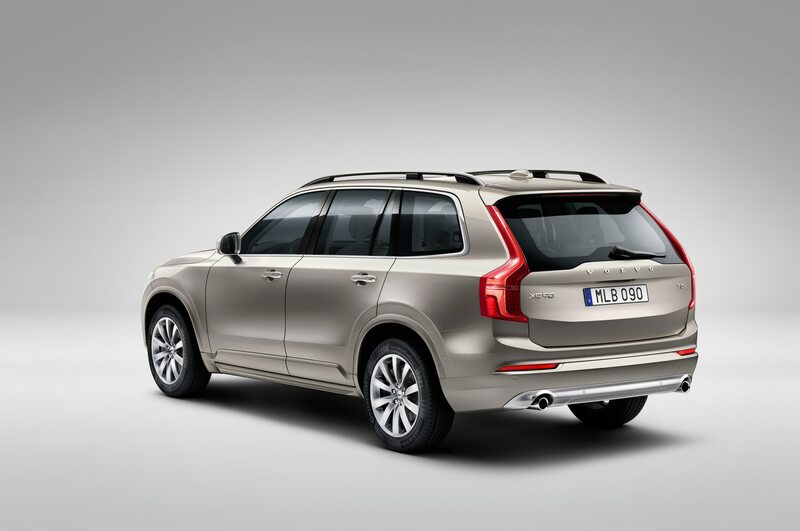 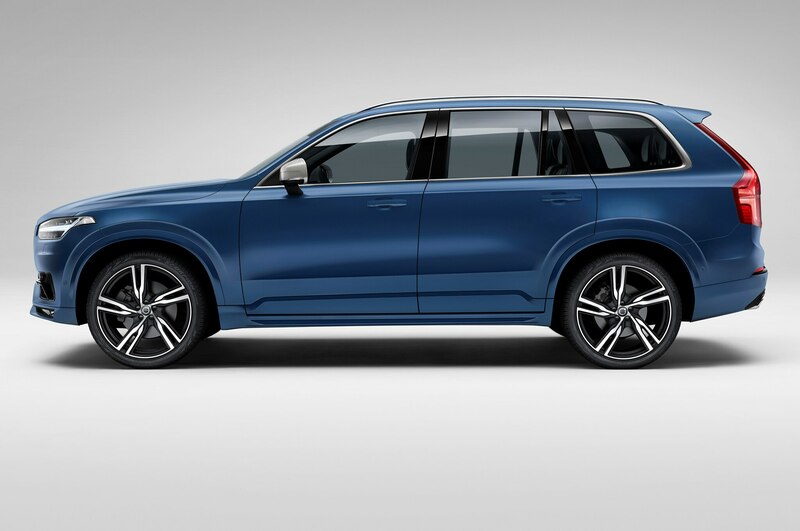 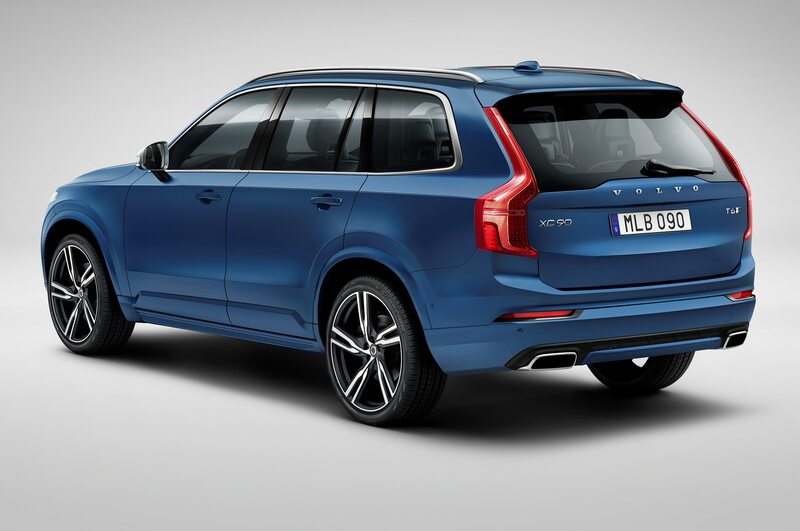 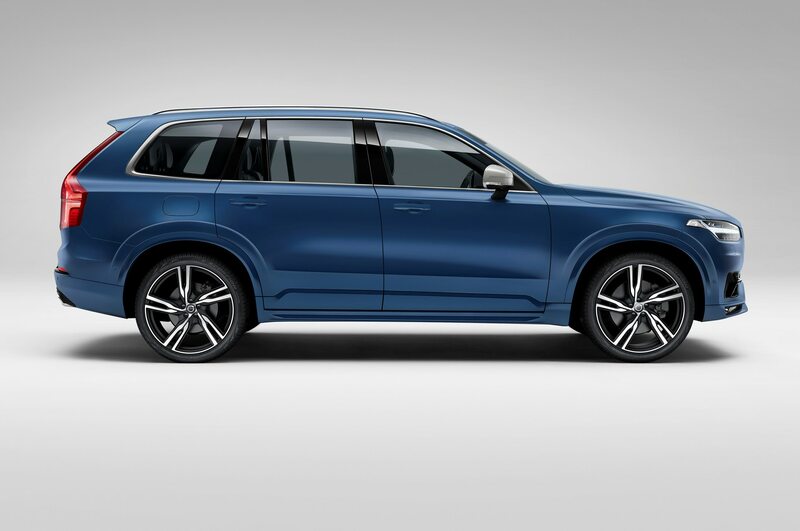 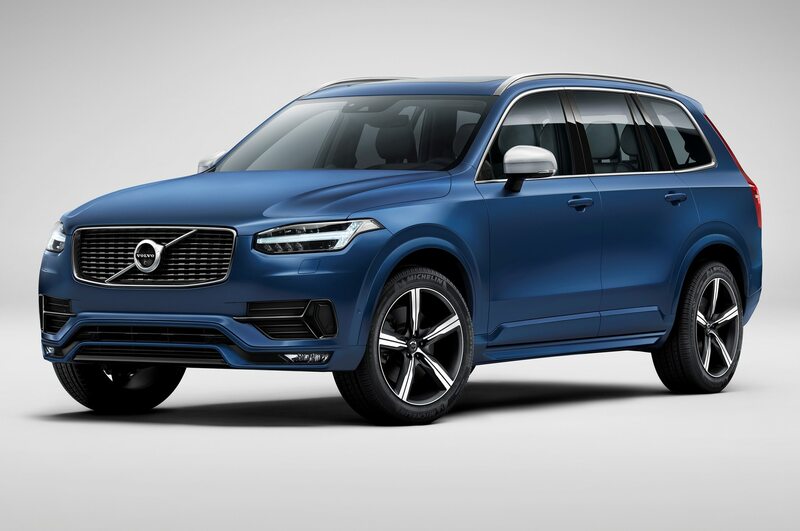 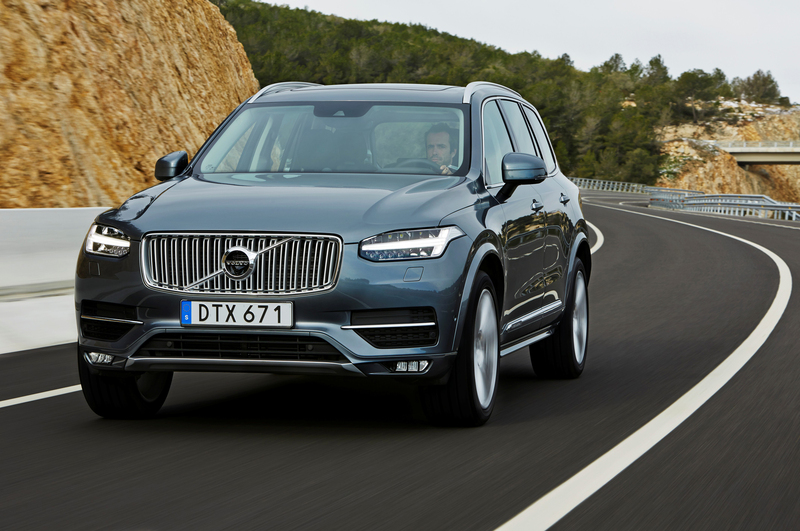 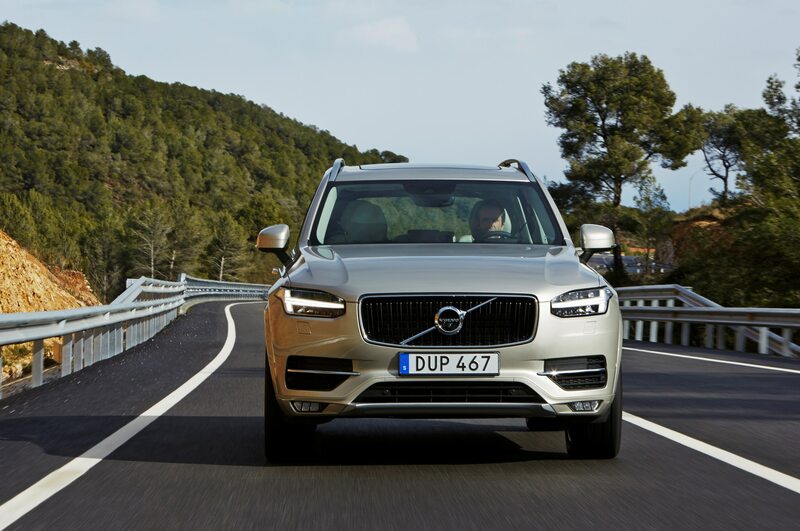 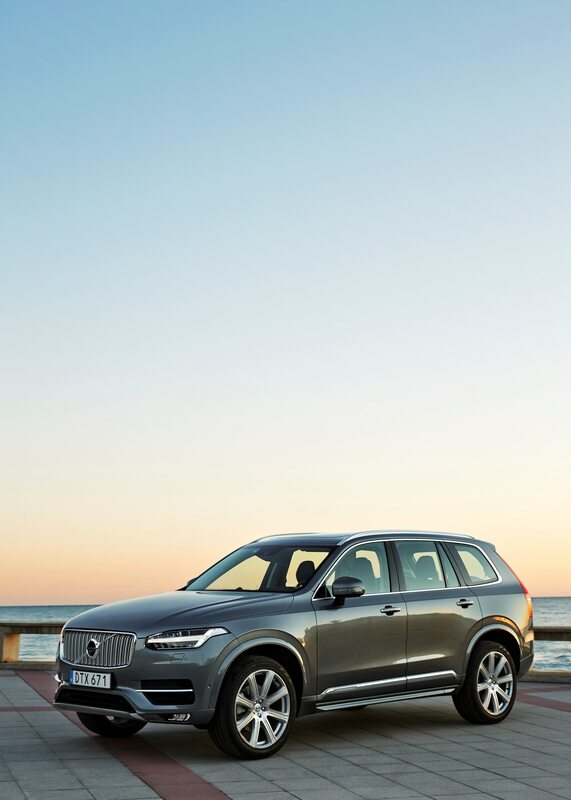 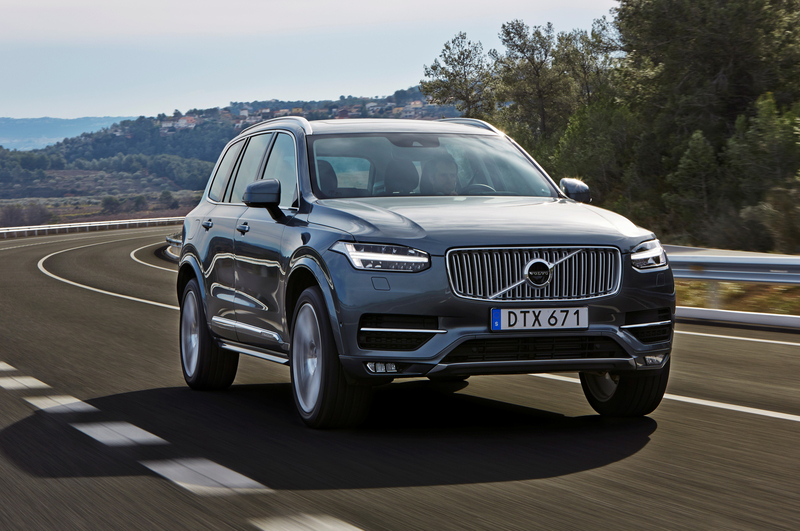 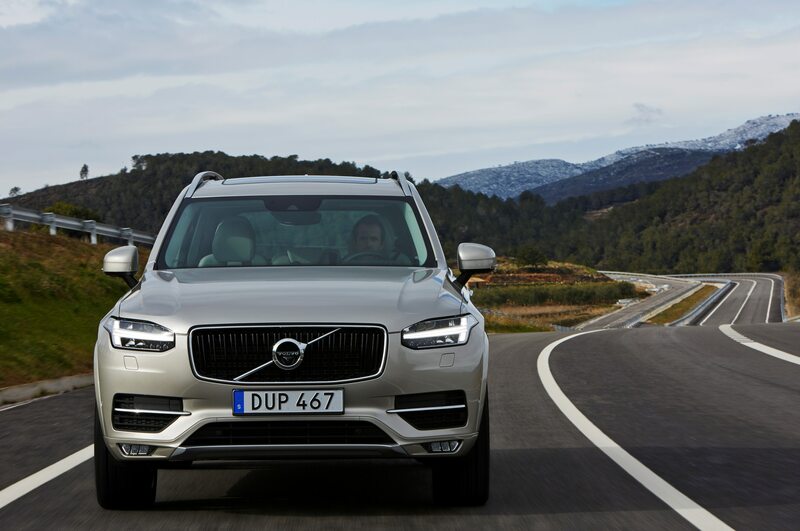 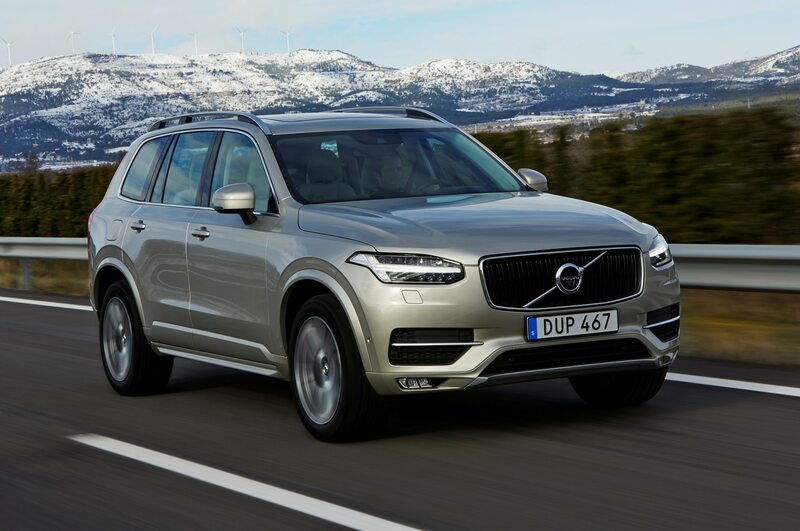 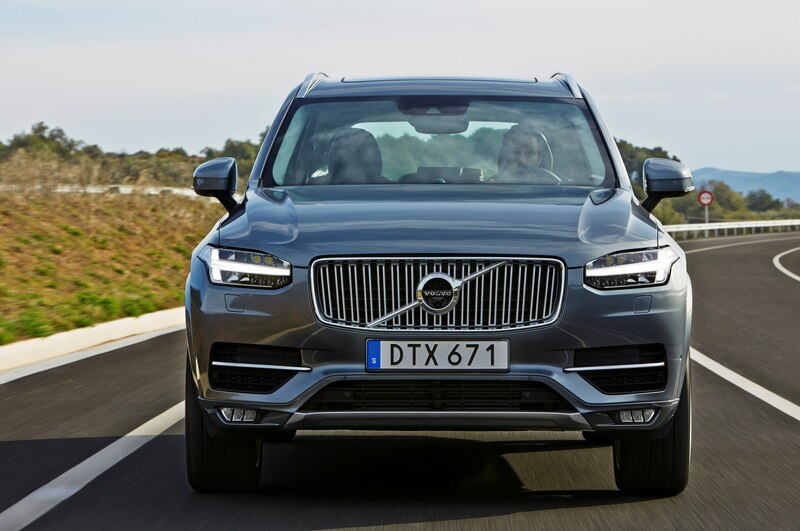 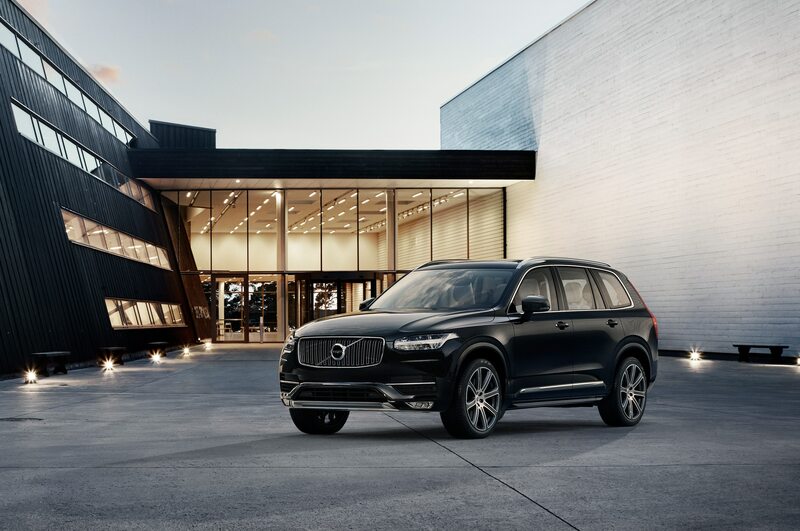 Whereas the old Volvo XC90 offered a range of five-, six-, and eight-cylinder engines, the new model comes only with a 2.0-liter four-cylinder. 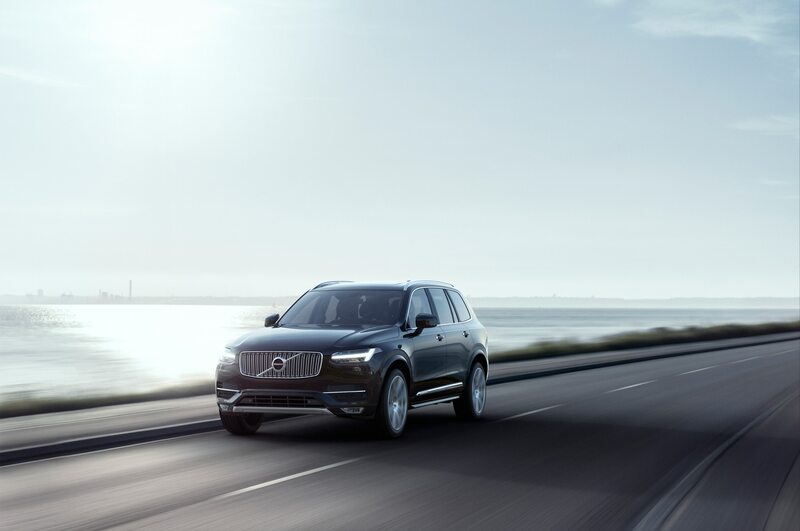 A plug-in hybrid variant replaces the old V-8 by supplementing the four-cylinder with an electric motor powered by lithium-ion batteries. 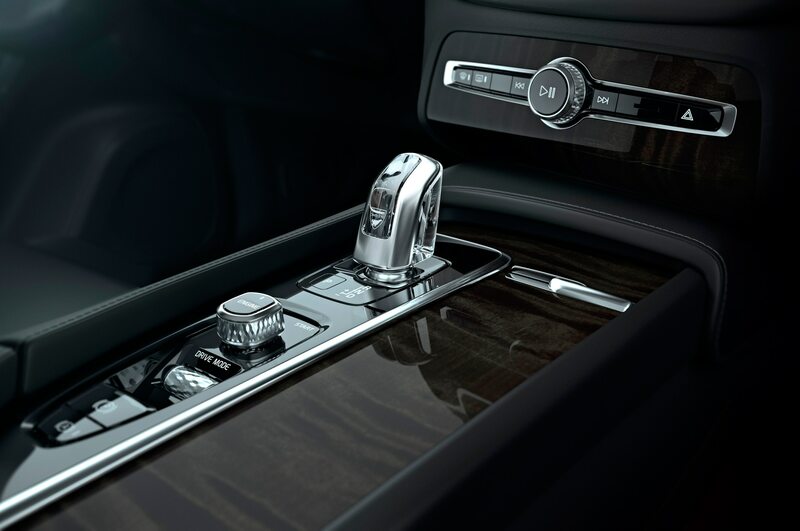 Both models come standard with all-wheel drive and an eight-speed automatic transmission. 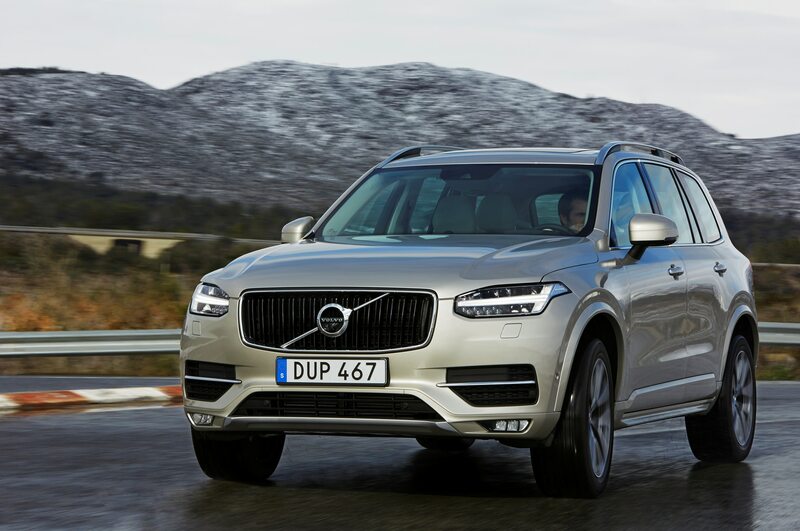 Other markets will get a diesel, which is also a 2.0-liter four-cylinder. 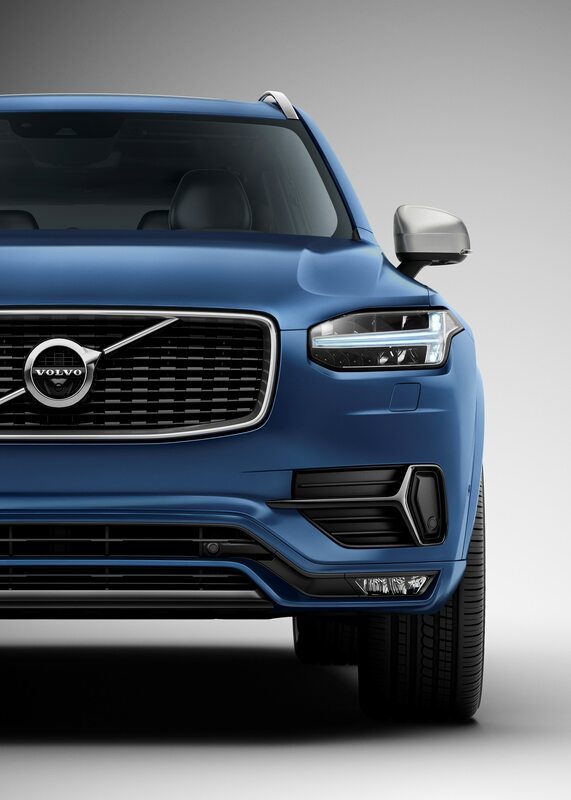 These new powertrains are critical to preserving Volvo’s independence, since building one engine is obviously cheaper than building three. 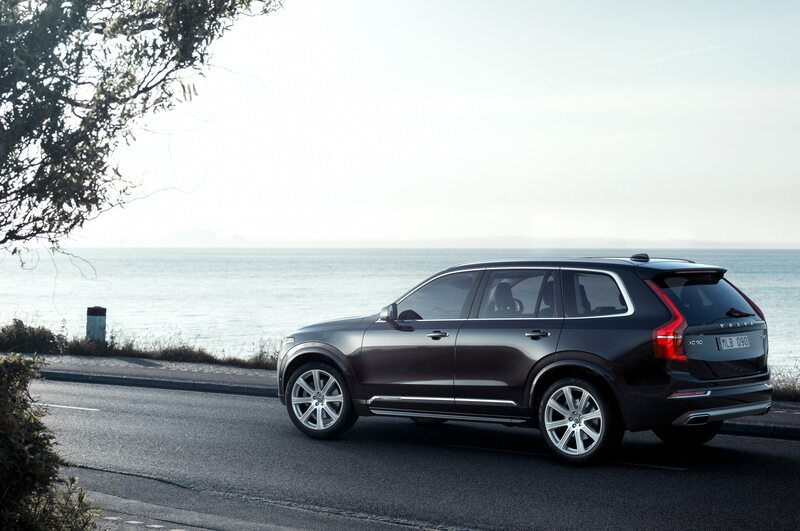 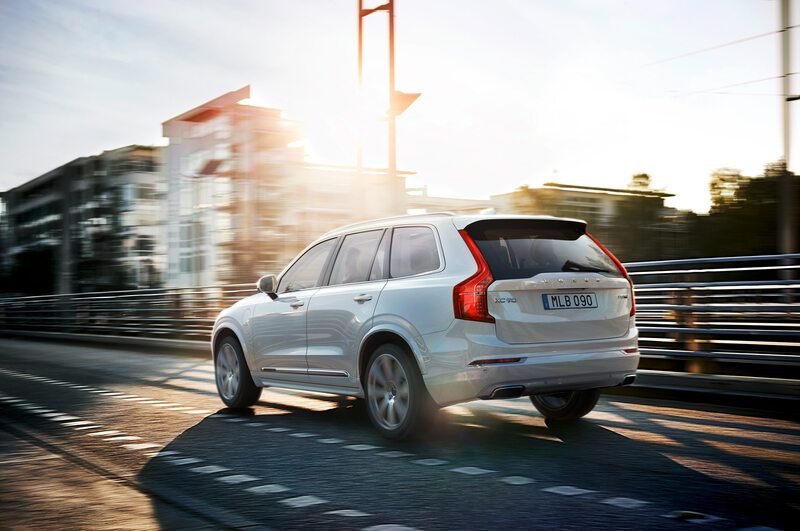 Volvo also needs to meet fuel economy standards; that’s not easy for a luxury brand. 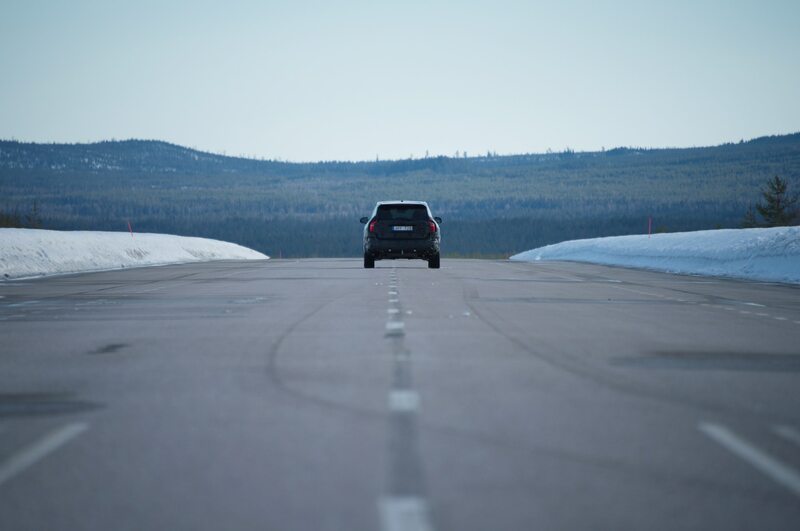 The hybrid delivers, hitting 59 mpge in EPA testing. 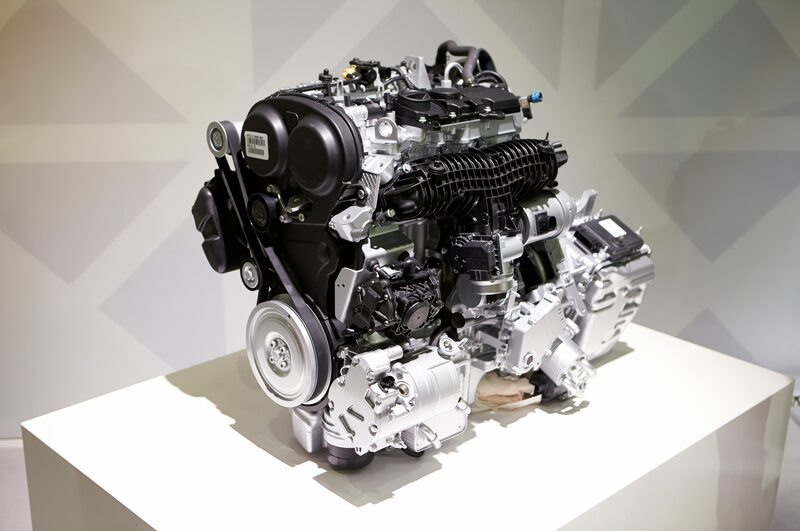 Numbers for the base model haven’t been announced but will surely improve over the old six-cylinder’s 18 mpg, combined. 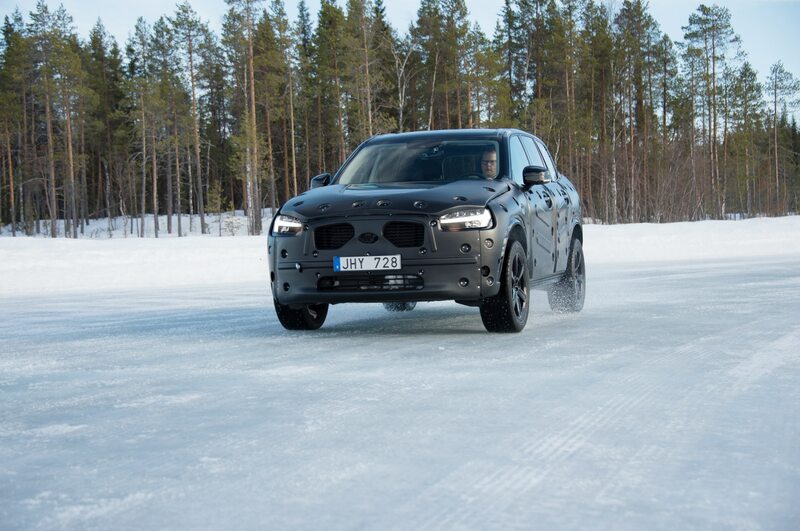 The single, small engine also has a lot to do with how the Volvo looks. 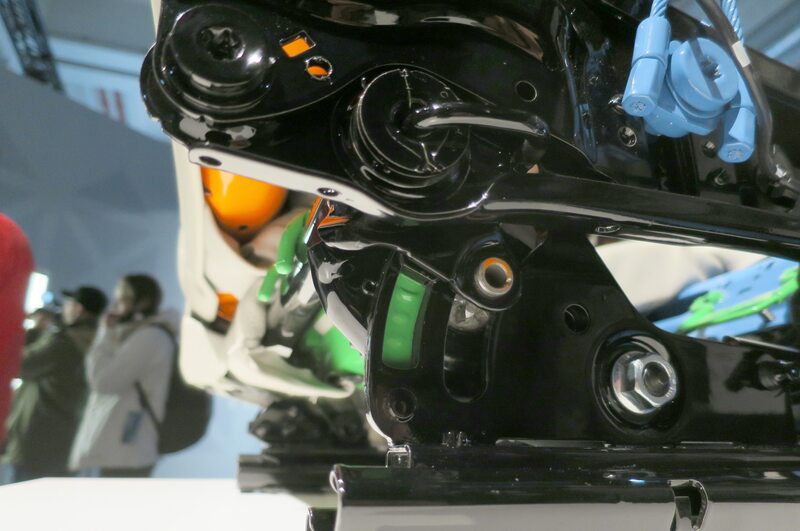 Designers didn’t have to prepare for larger engines, so they were able to keep the front overhangs extremely short and mount the engine relatively far from the dash. 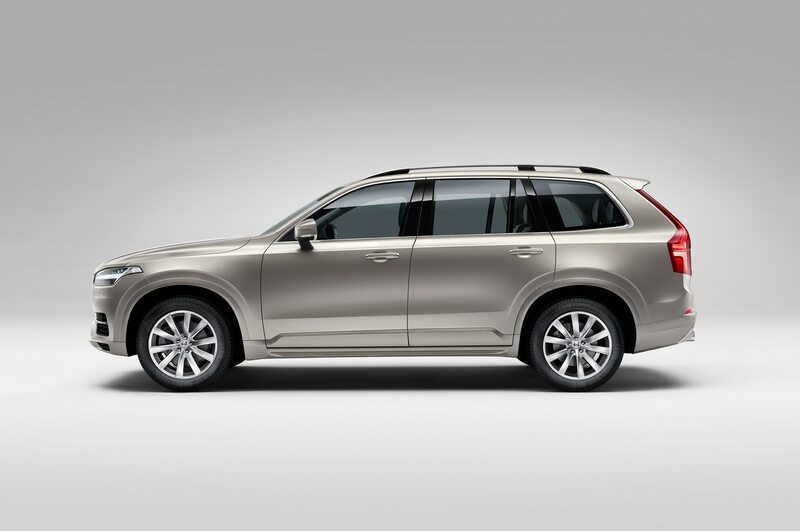 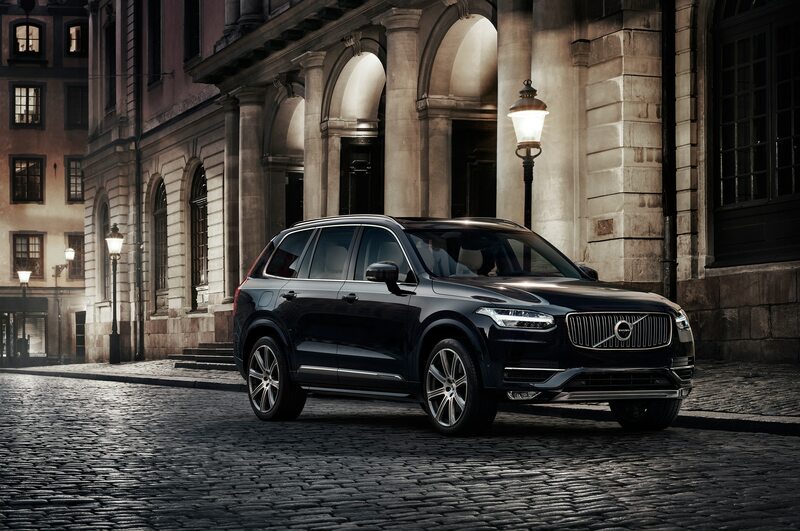 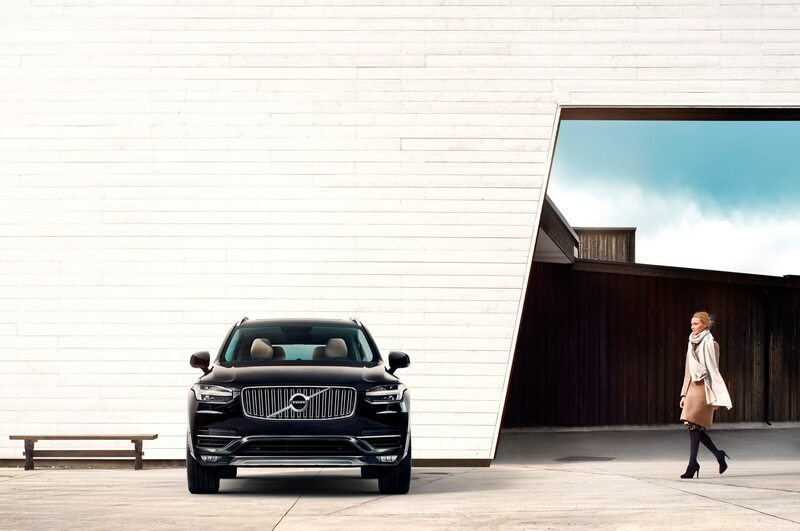 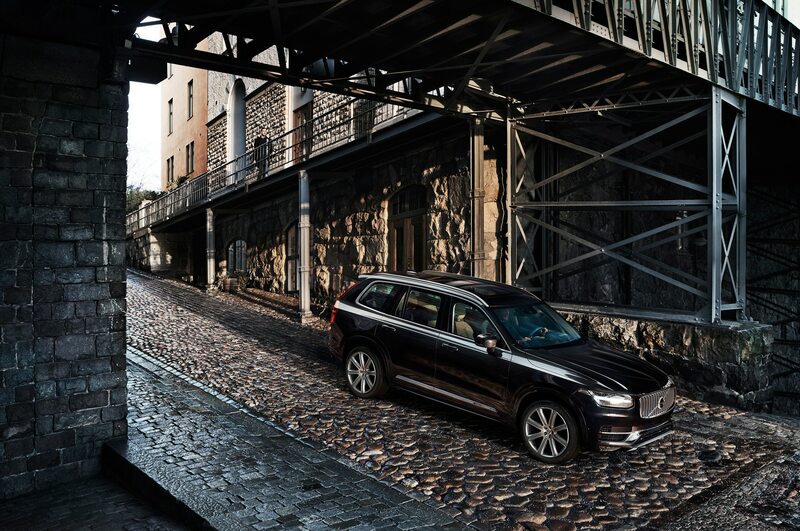 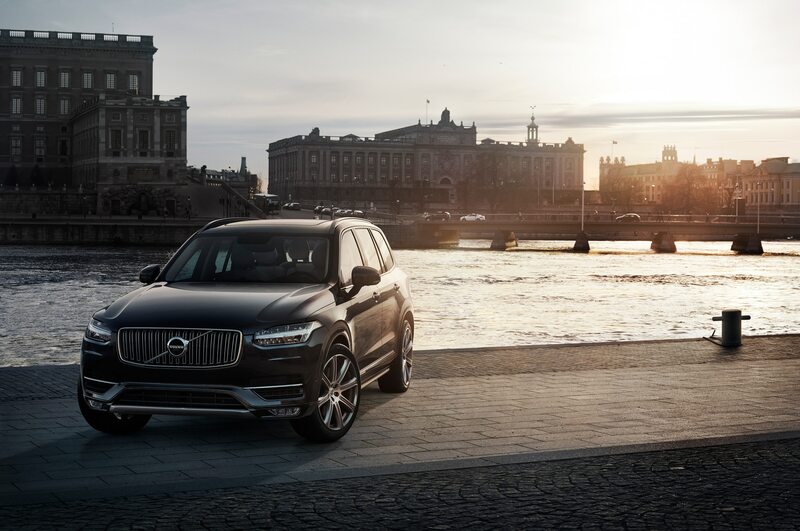 With its fine proportions, proper roofline, and simple creases, the 2016 Volvo XC90 makes a fine Scandinavian counterpoint to fussed-over competitors like the Mercedes GL and Infiniti QX60. 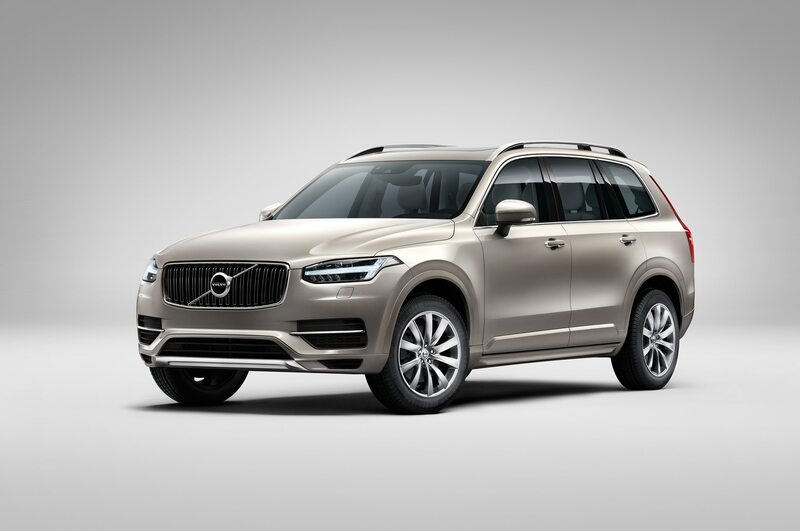 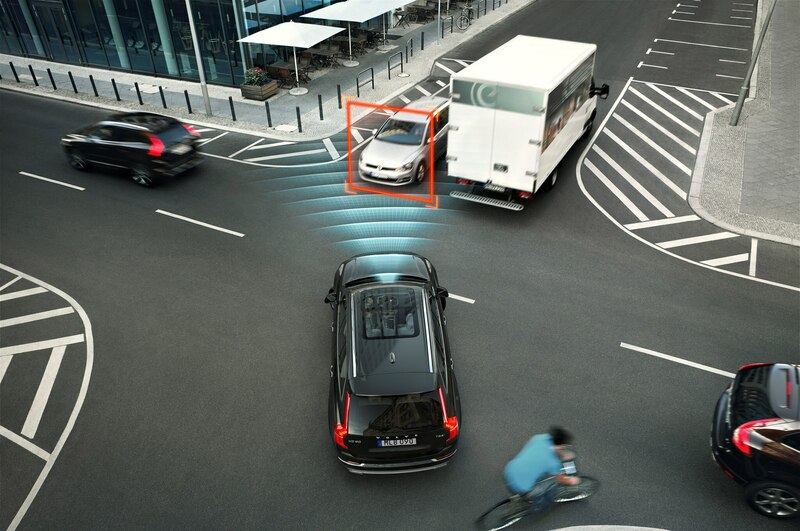 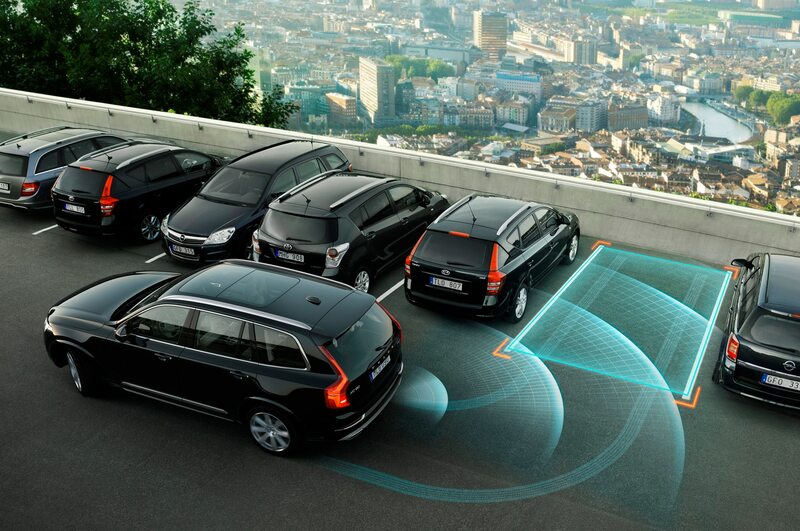 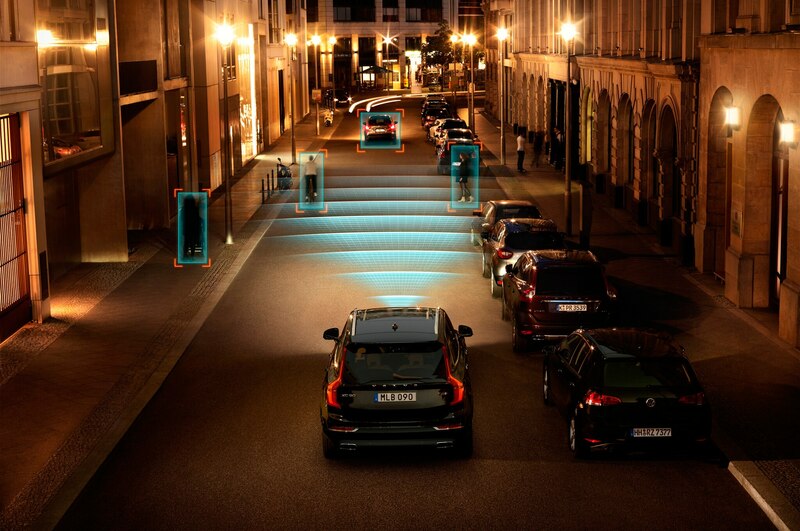 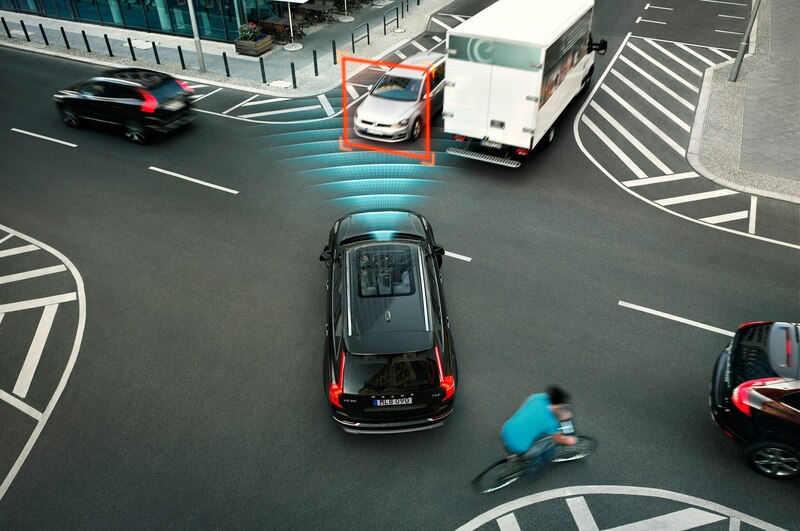 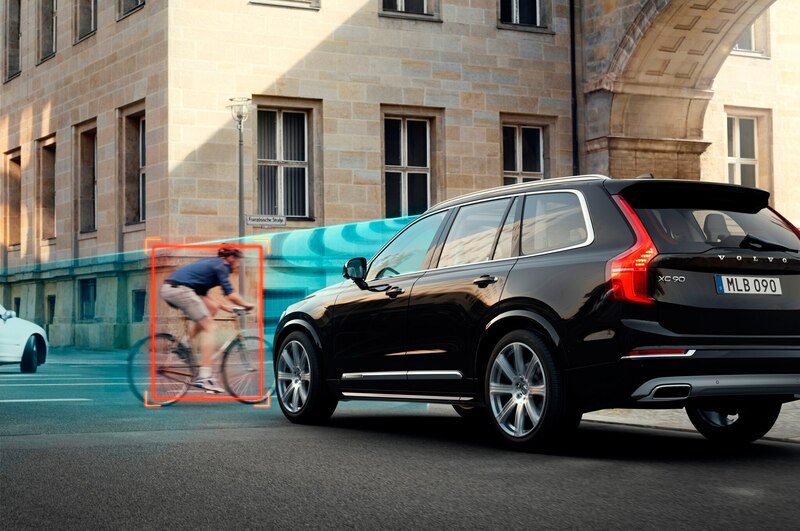 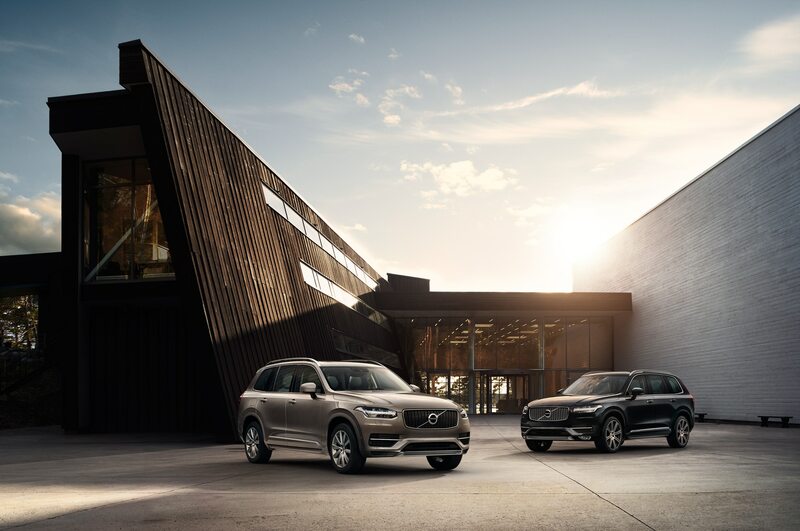 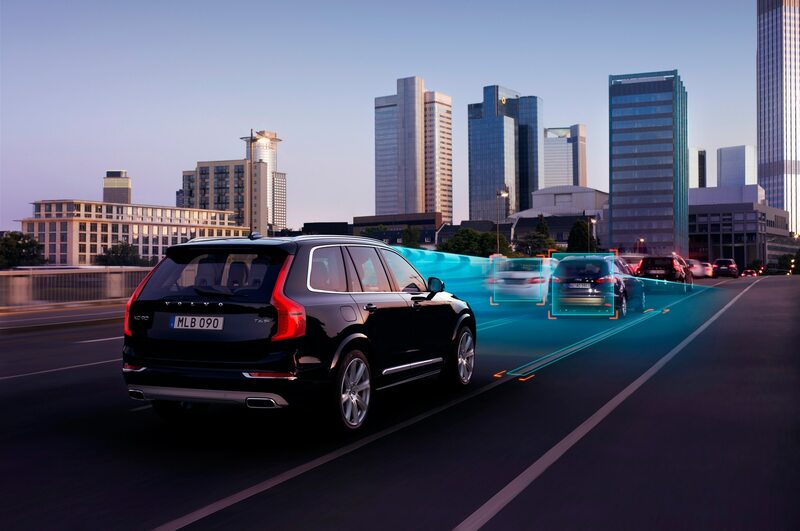 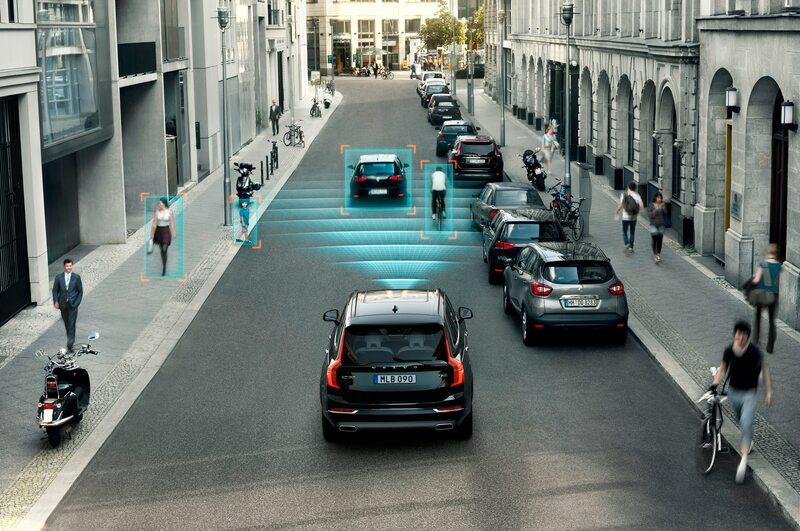 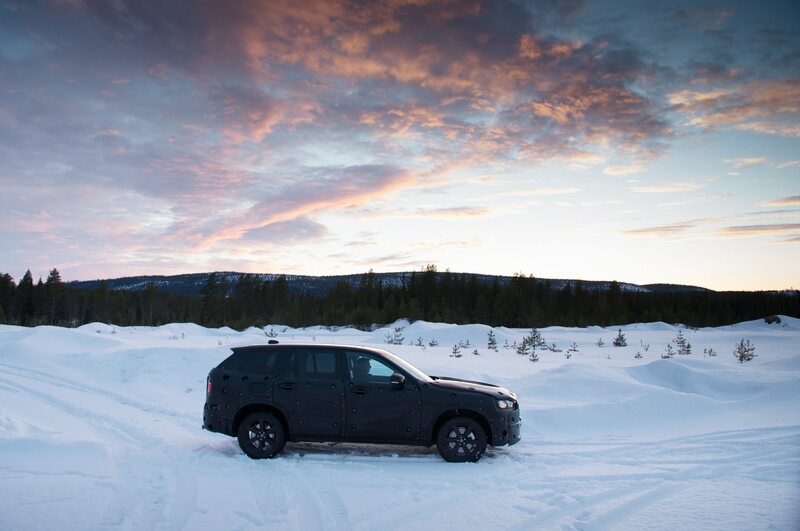 Volvo realizes these advantages might be lost on crossover buyers accustomed to big engines like those offered in the BMW X5 and Mercedes GL. 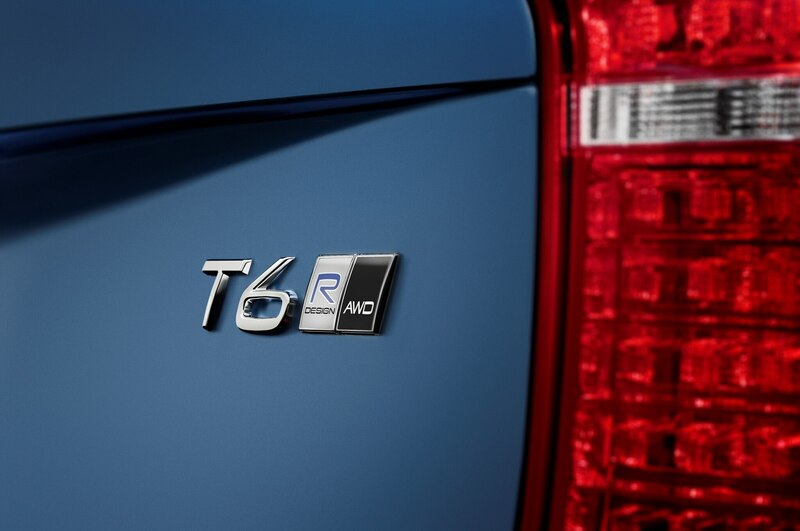 That’s why it somewhat misleadingly calls the base car a T6 and the plug-in hybrid a T8. 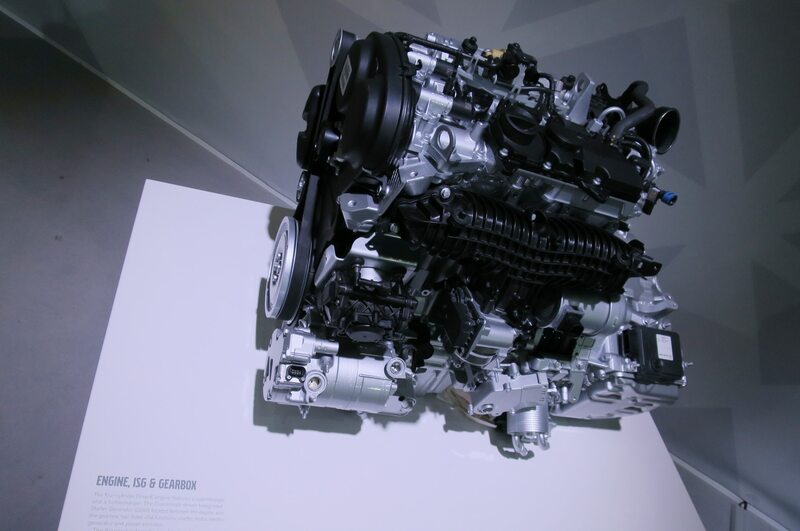 Dealers have been instructed to talk horsepower — 315 hp for the T6 and about 400 hp combined for the T8 — rather than cylinder count. 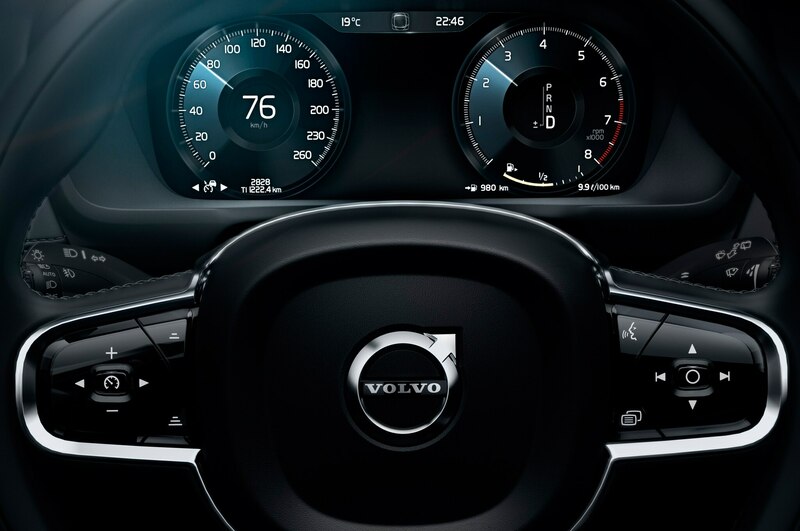 We’ll forgive the spin because the new engine delivers. 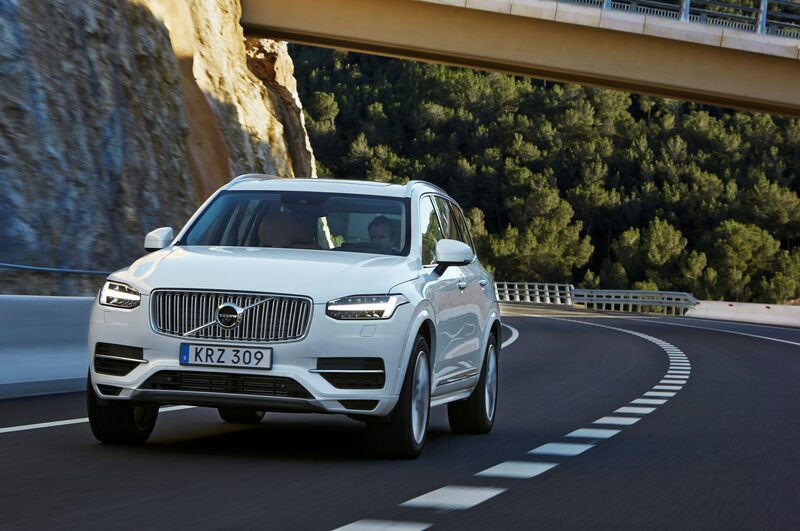 It’s both supercharged and turbocharged and suffers virtually no lag. 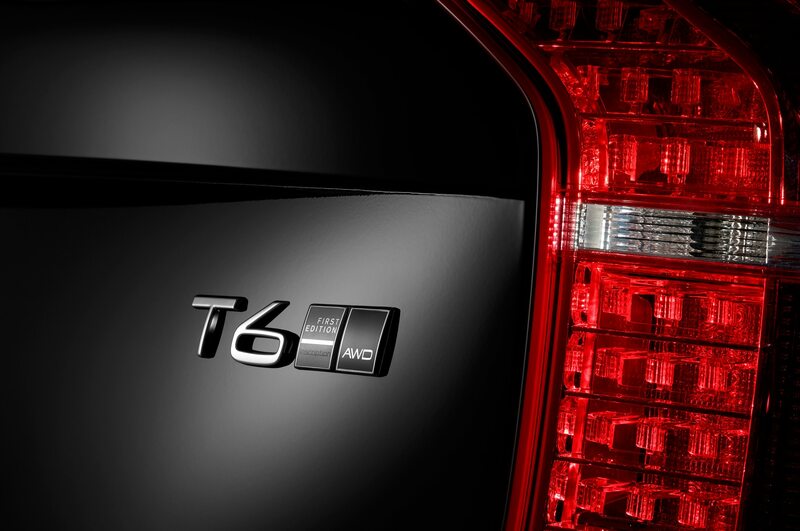 The T6 accelerates to 62 mph in a factory-measured 6.5 seconds, not bad for a 4,600-pound crossover. 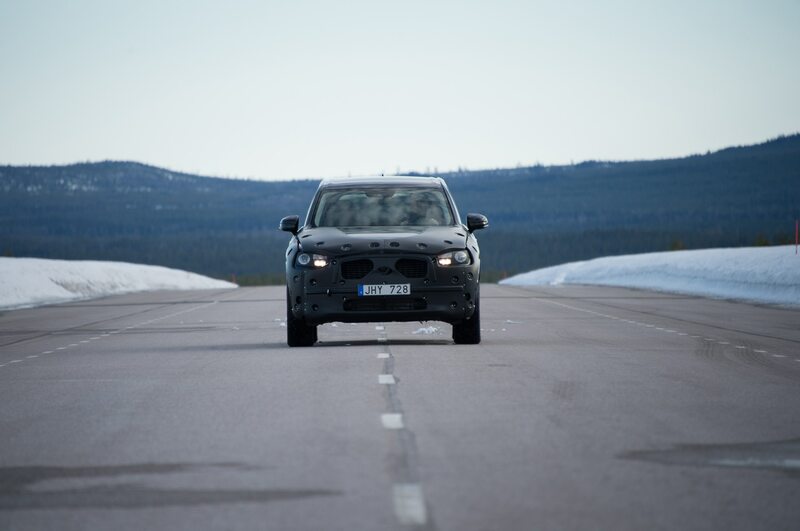 The even heavier T8 gets there in 5.9 seconds. 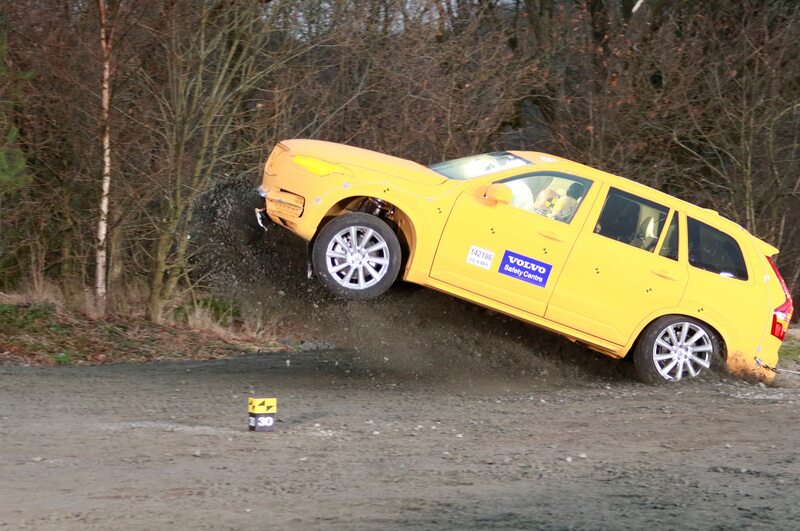 That’s with the gas engine and electric motor giving all they’ve got. 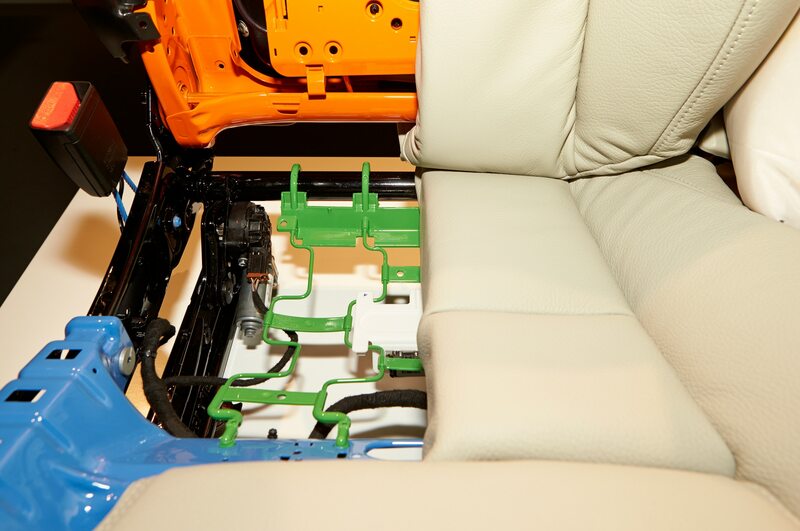 They can also work independently. 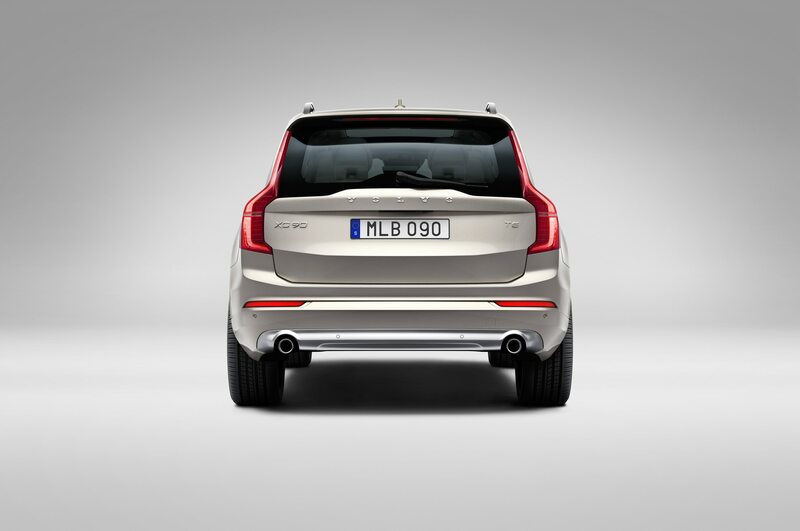 In Pure Electric mode, the 82-hp motor drives the rear wheels. 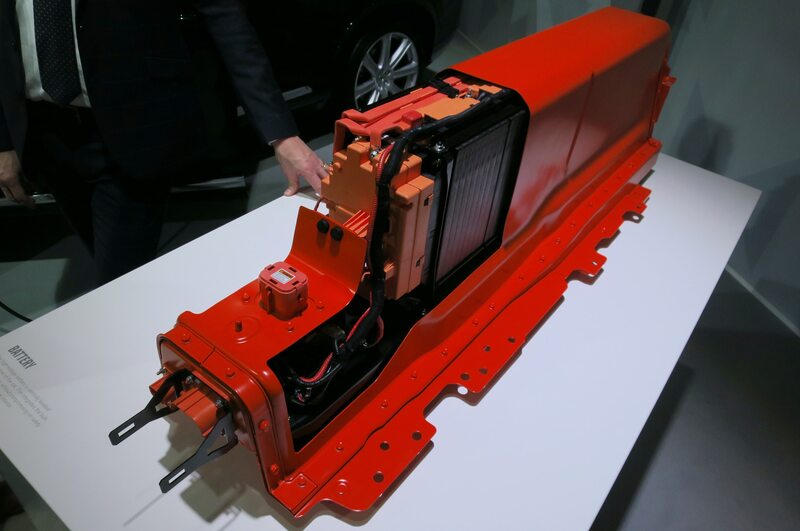 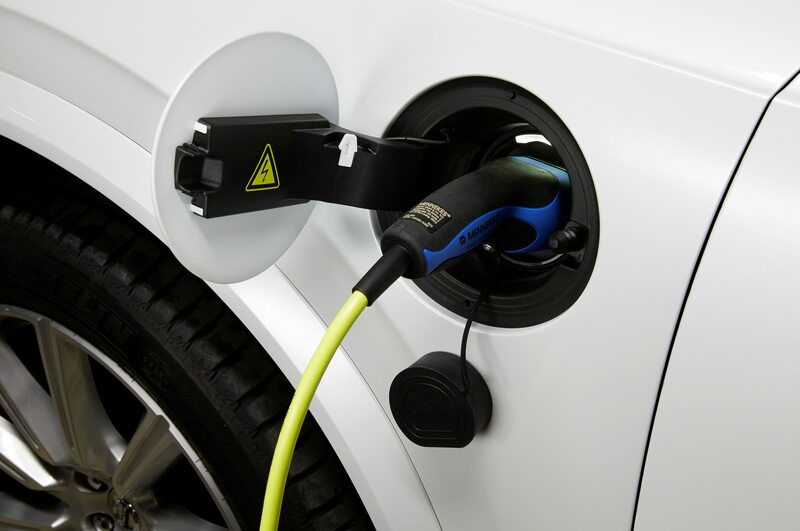 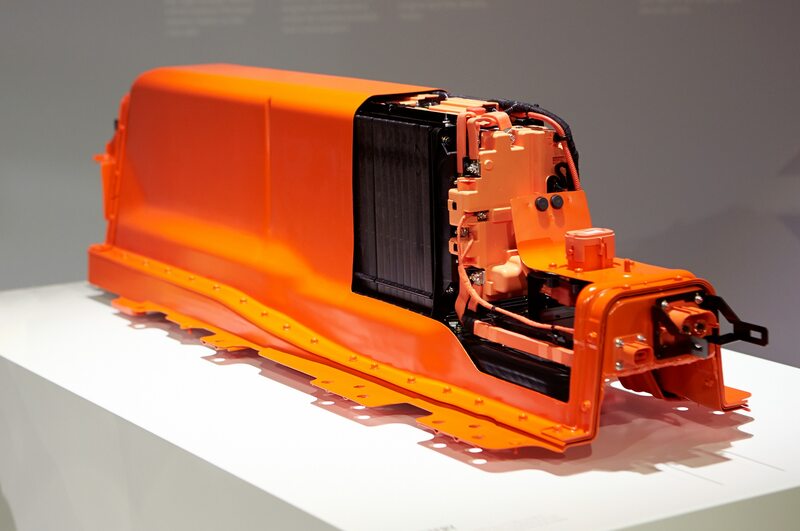 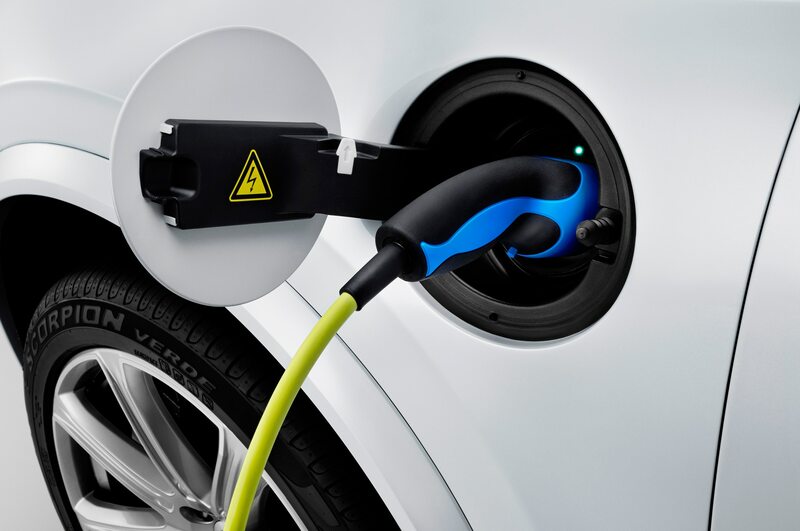 When the lithium-ion battery is depleted or if you want to save a charge for later use, the gas engine can drive the front wheels and sustain the battery. 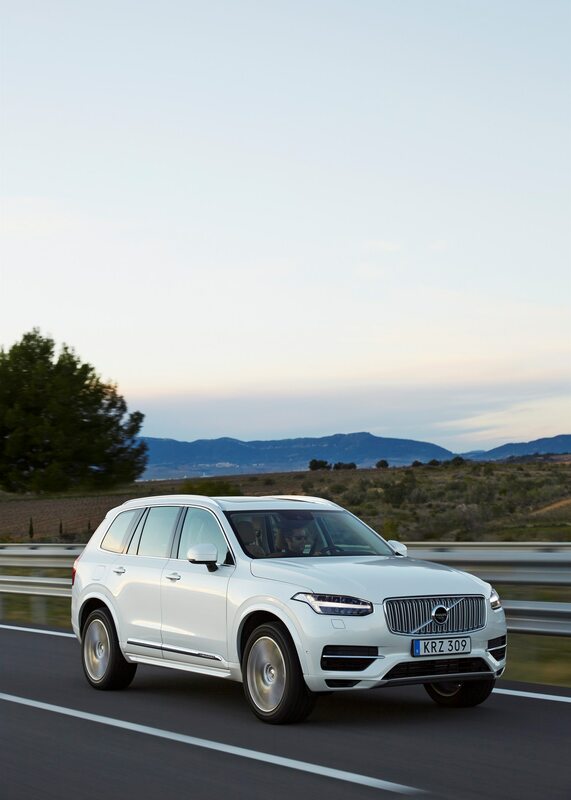 Other modes mix gas and electric power to achieve better fuel economy (Hybrid mode), optimal traction (AWD mode), or maximum acceleration (Power mode). 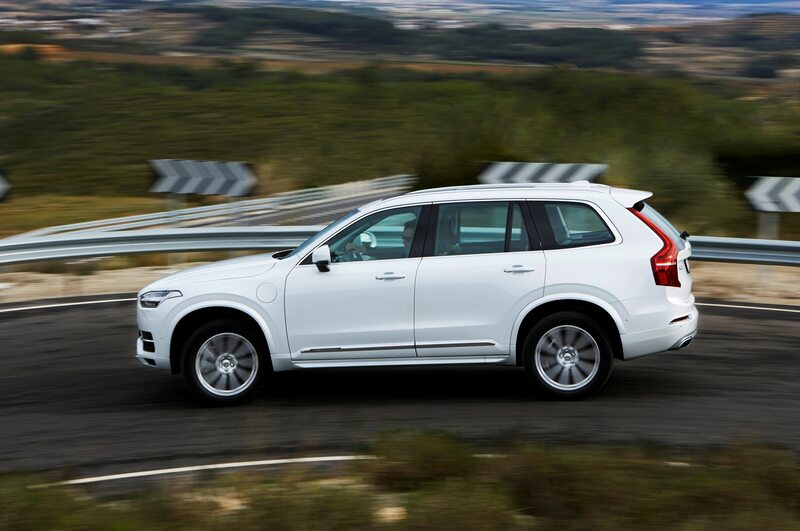 It’s a lot to figure out, and the Volvo XC90 T8 sometimes gets confused, jolting as the motor abruptly kicks in. 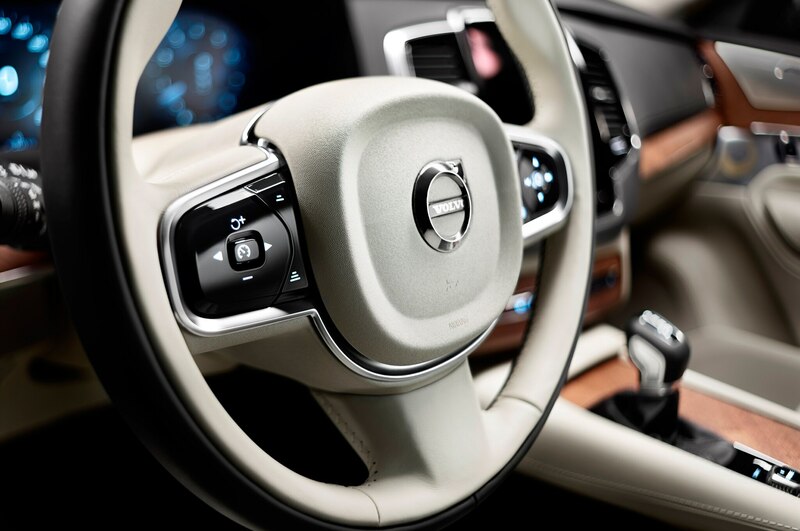 The steering wheel also gets flustered. 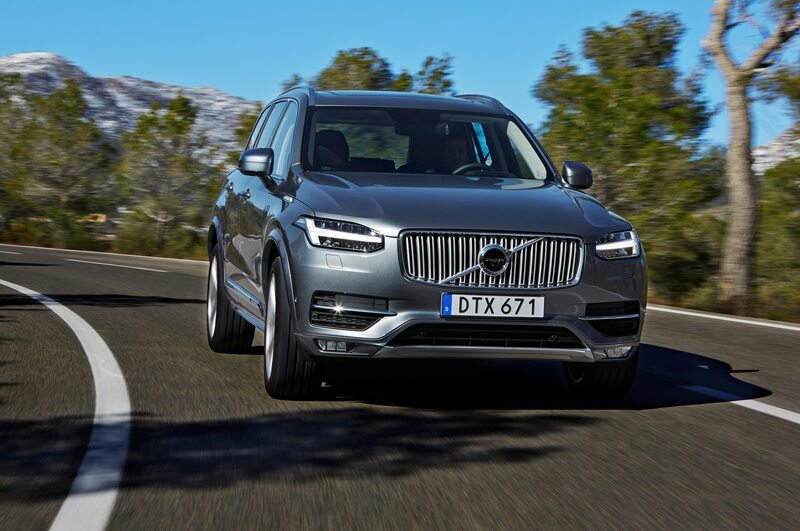 Whereas the T6 can send torque to the rear wheels via a Haldex center differential, the T8’s gas engine powers the front wheels only, resulting in noticeable torque steer under hard acceleration. 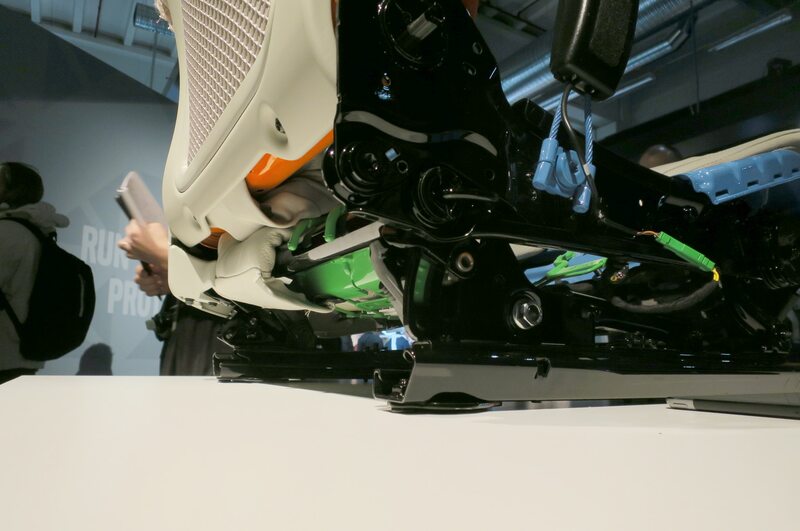 The steering is further upset in both models by artificial weight just off center. Setting the electric power steering to Comfort reduces this self-centering urge but saps feedback. 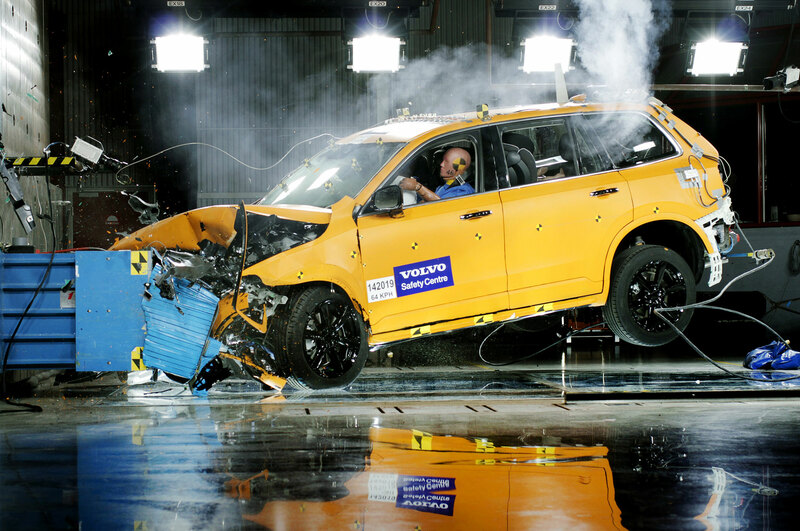 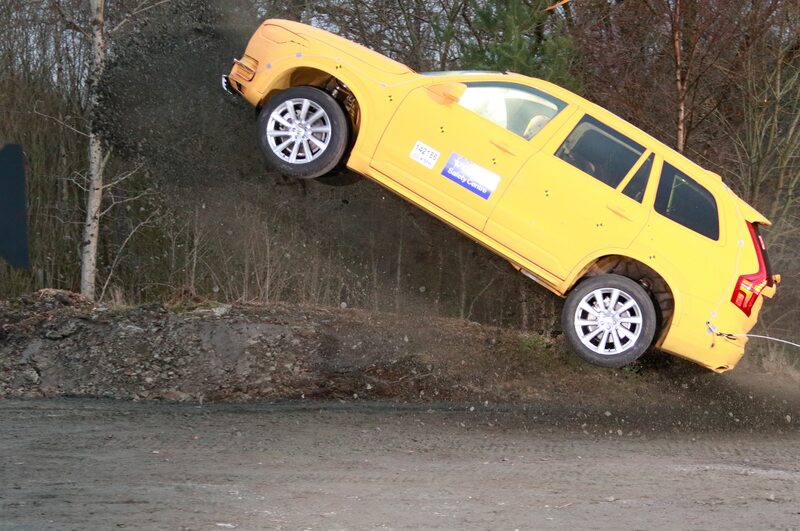 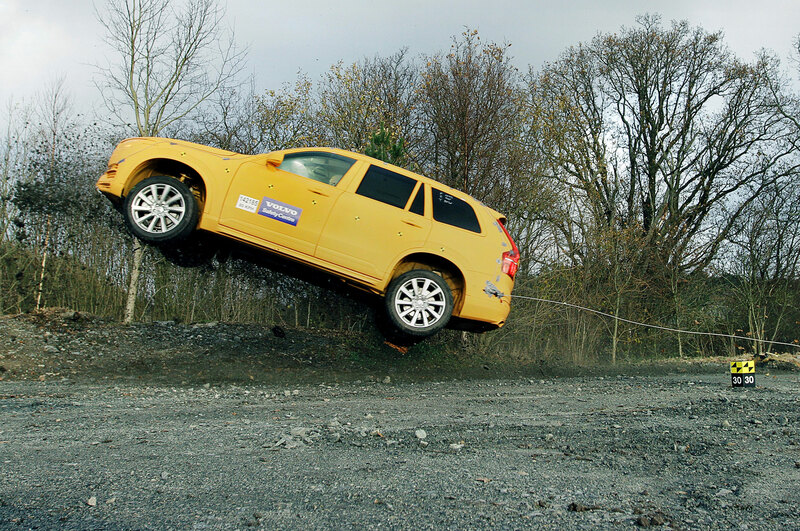 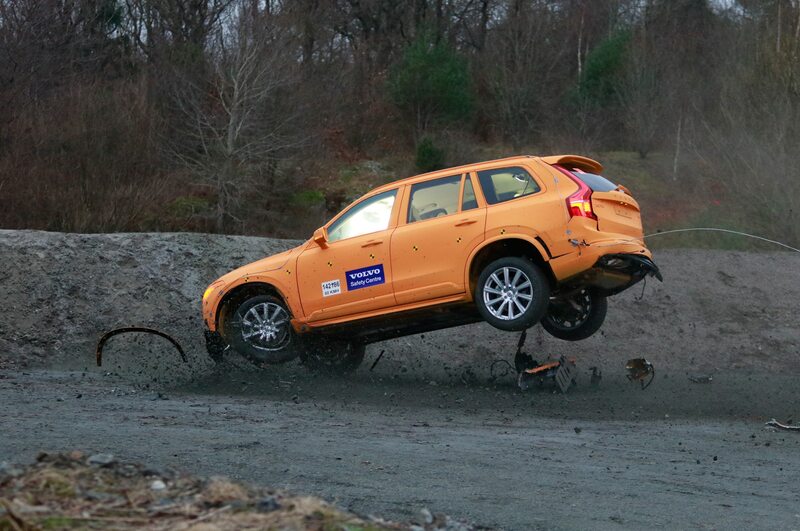 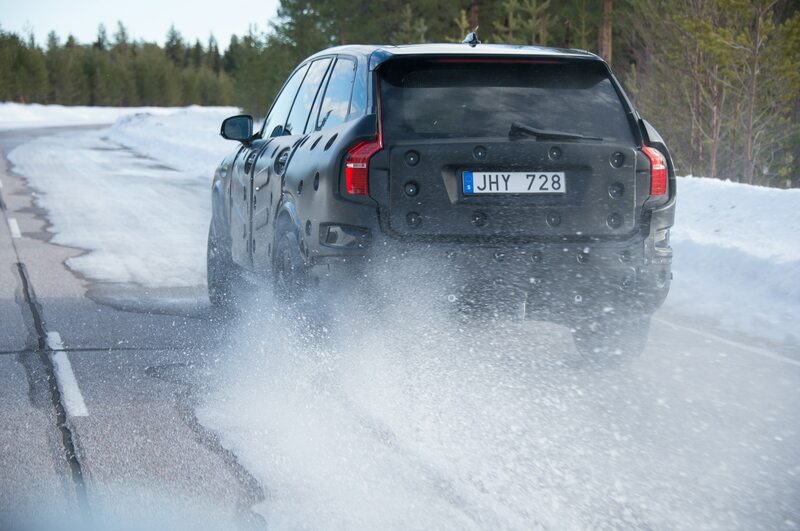 That said, the Volvo XC90 is very good at actually turning. 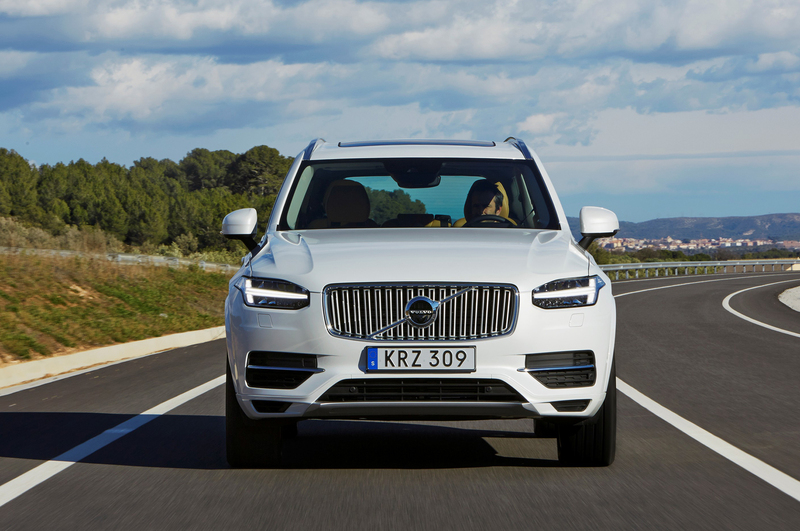 It darts through the switchbacks outside of Barcelona with remarkably little understeer. 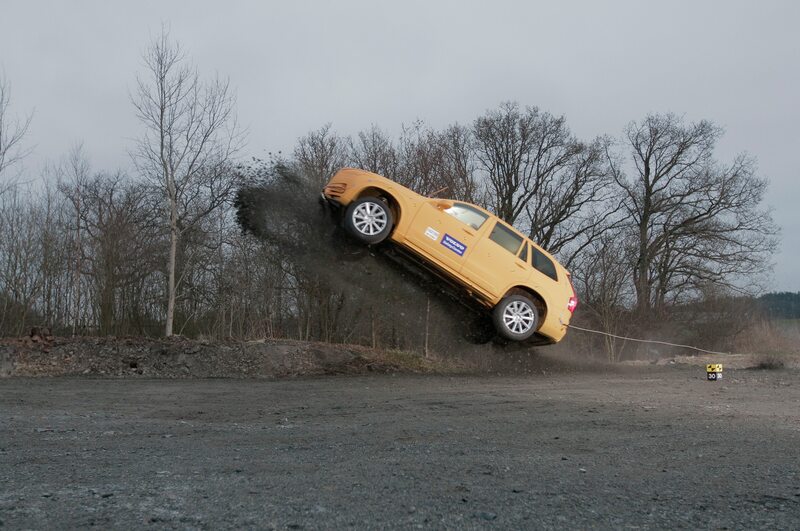 This is, for us, the clearest benefit of having a small four-cylinder sitting over the front wheels. 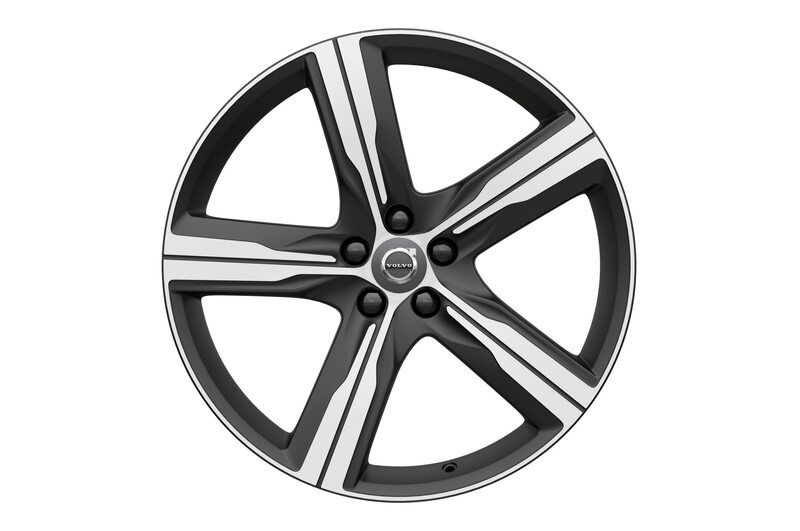 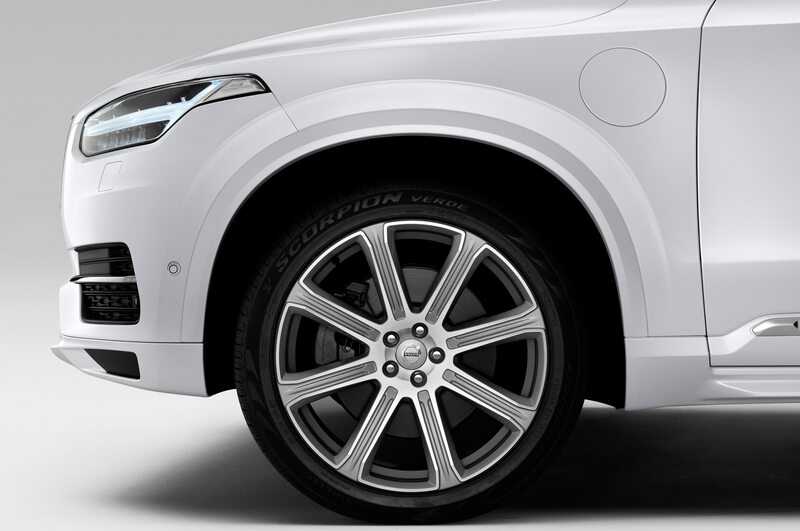 Volvo also credits the front suspension, which employs upper and lower control arms rather than cheaper and more common struts. 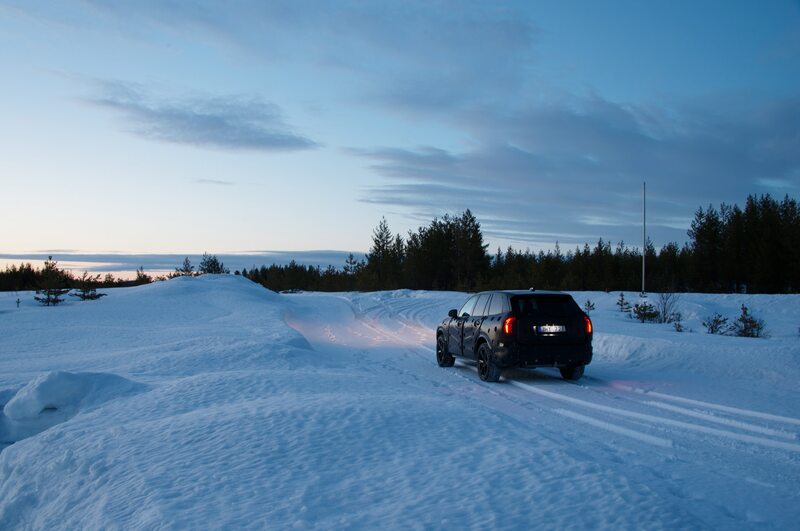 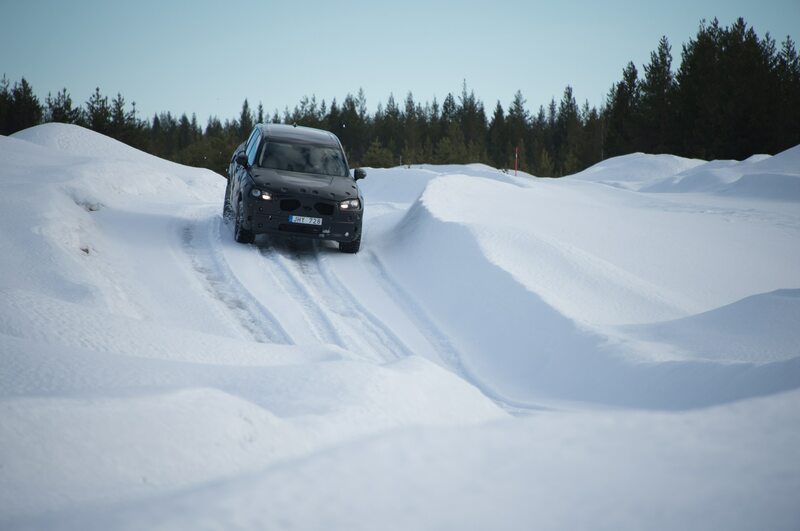 U.S. market models will lose some of this nimbleness, as they’ll wear all-season tires rather than the 20-inch summer rubber on our European-spec test vehicles. 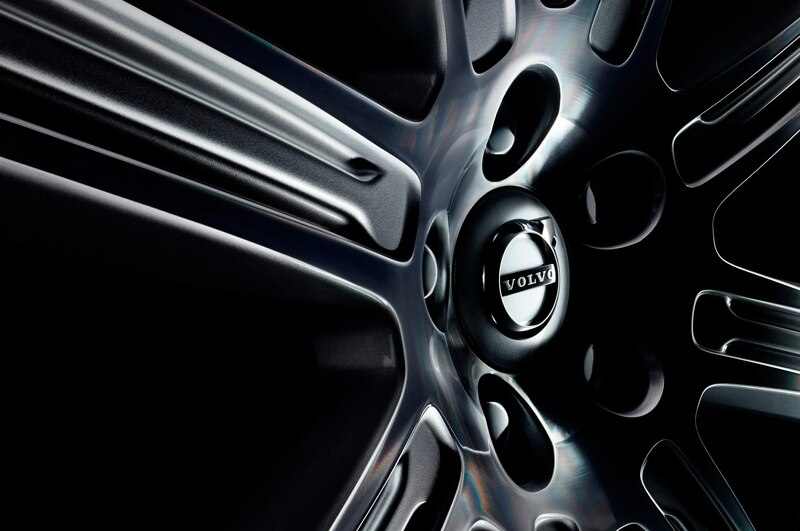 Powerful, easy-to-modulate brakes further instill confidence at speed. 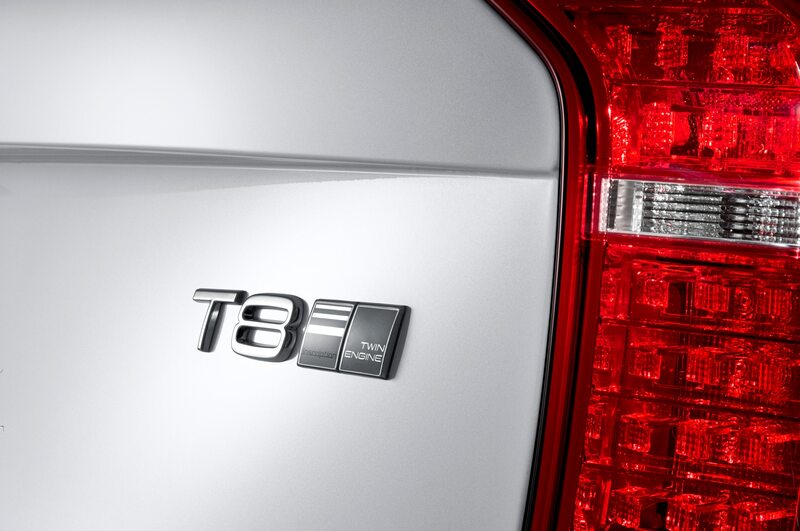 The T8 is particularly impressive considering it’s constantly blending regenerative and friction braking. 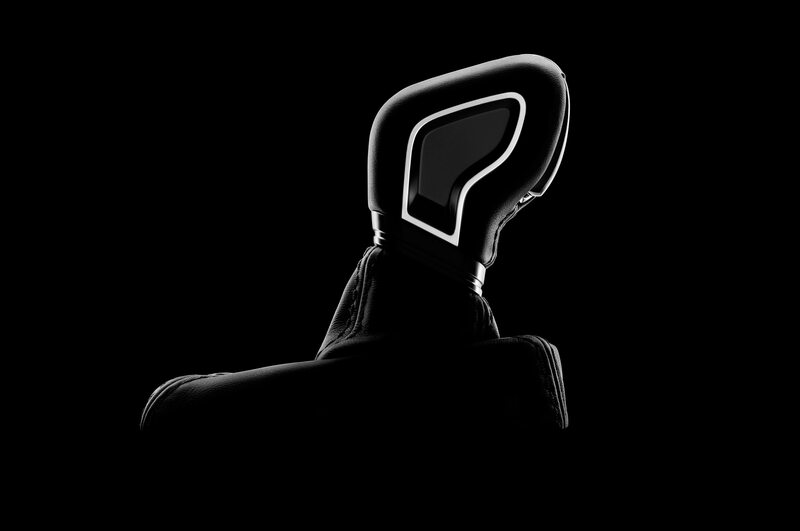 The athleticism does not come at a heavy cost to ride quality. 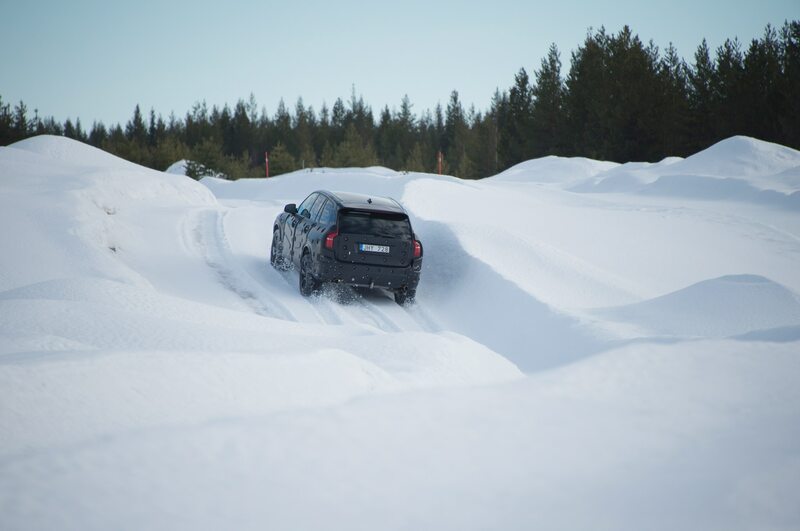 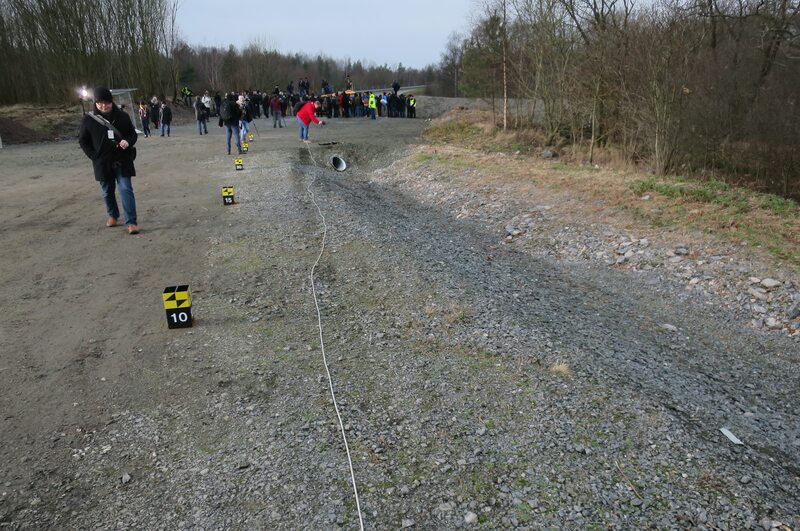 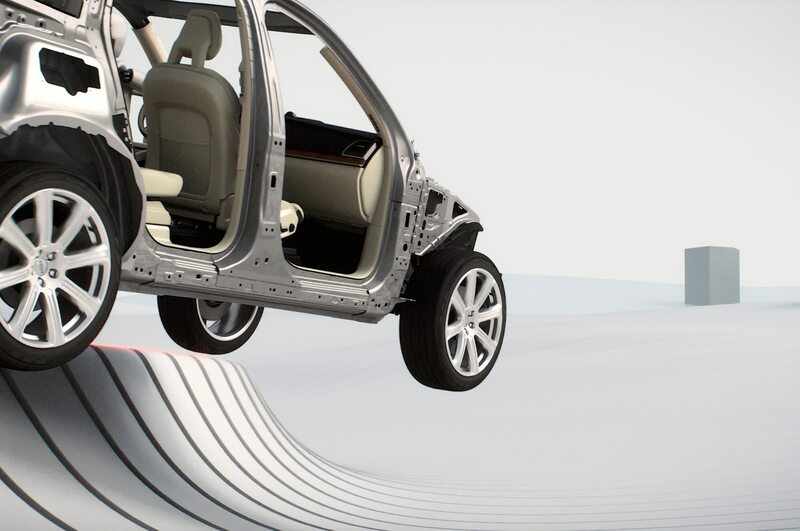 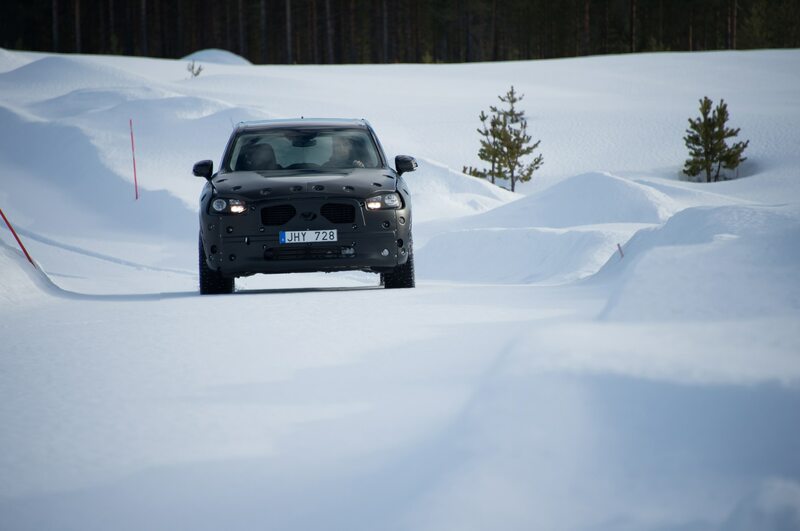 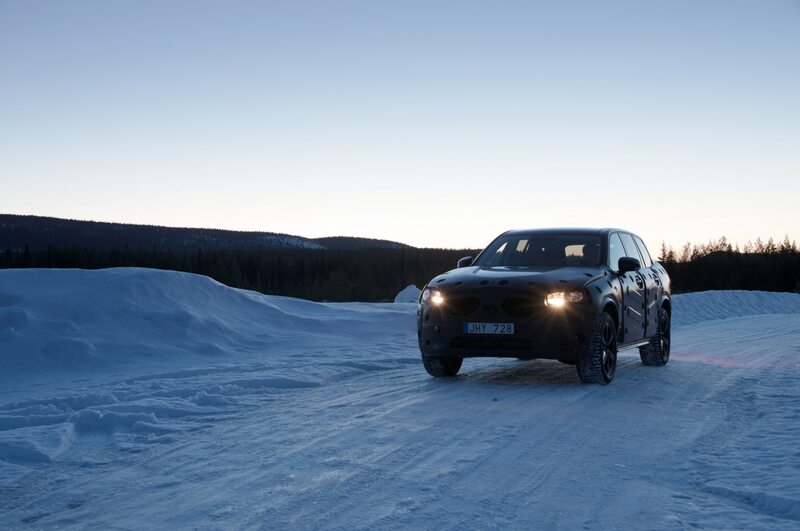 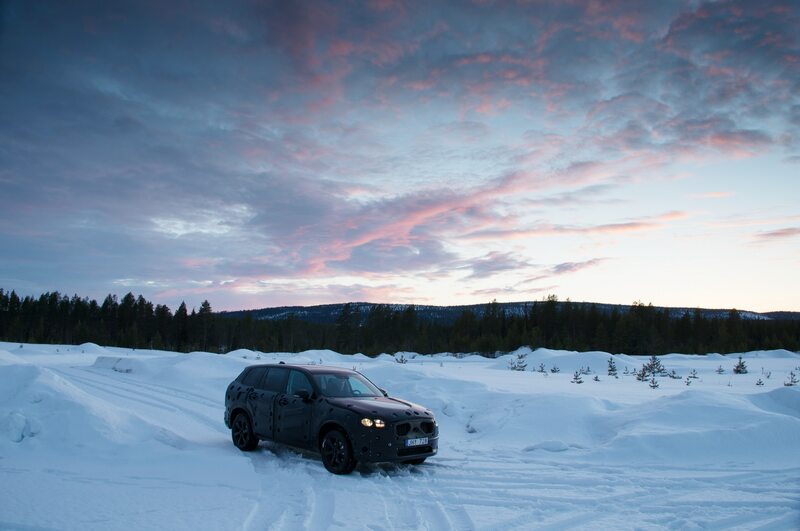 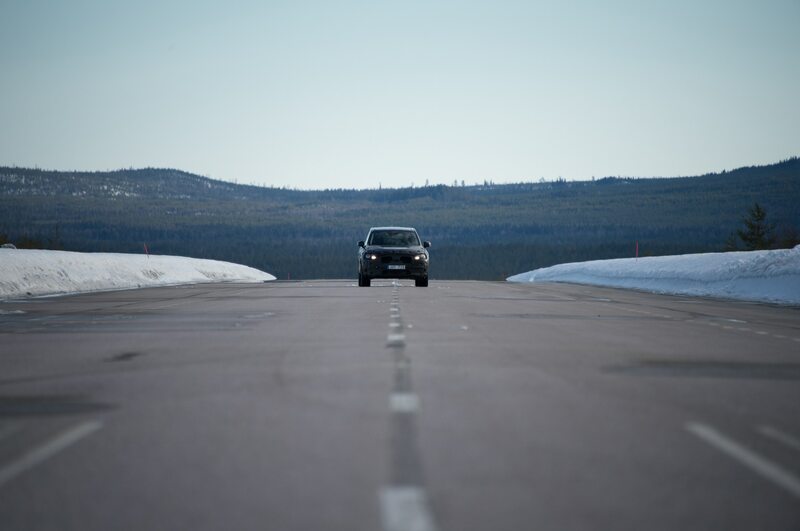 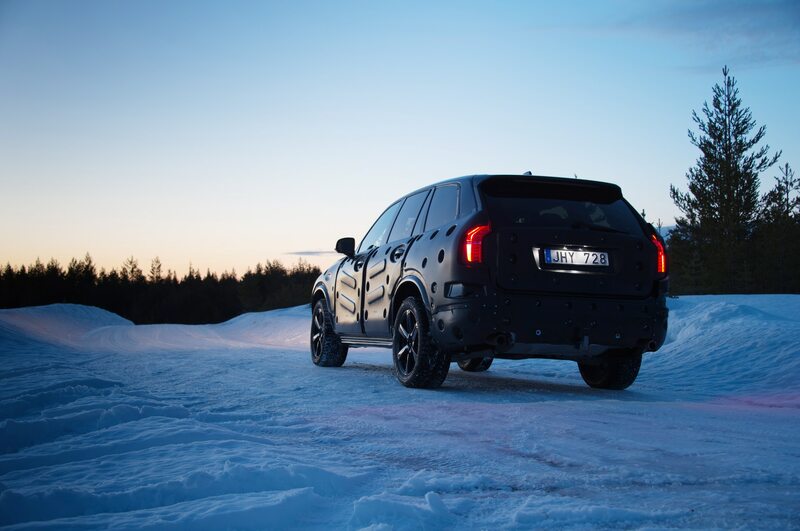 The optional air springs on our test vehicle allow more body roll than you’ll experience in most German competitors, even in their firmest setting. 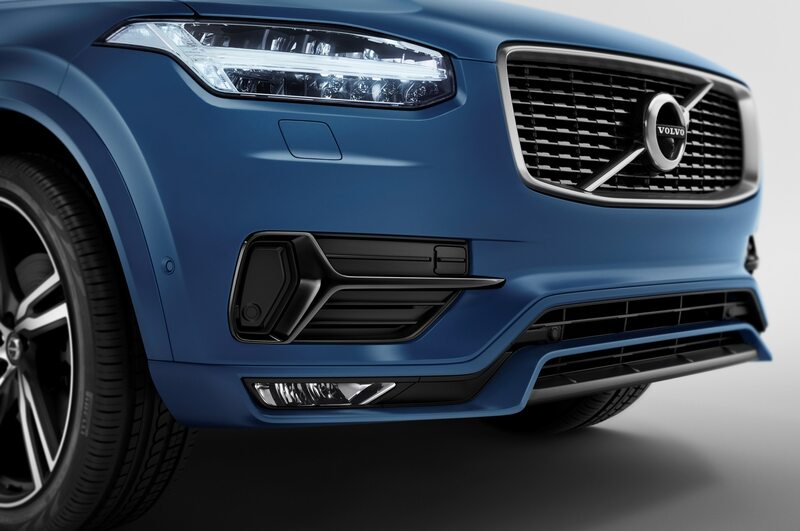 (The standard steel springs will be tuned like the middle setting on the air springs, Volvo says.) 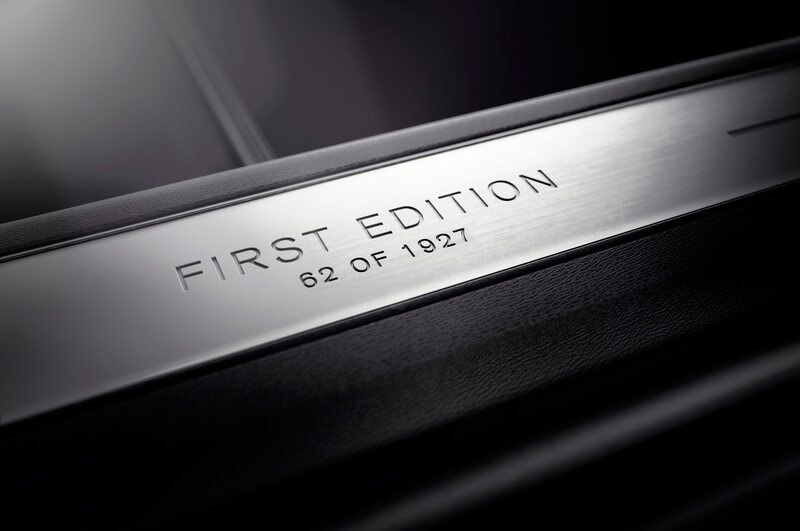 This is fine by us. 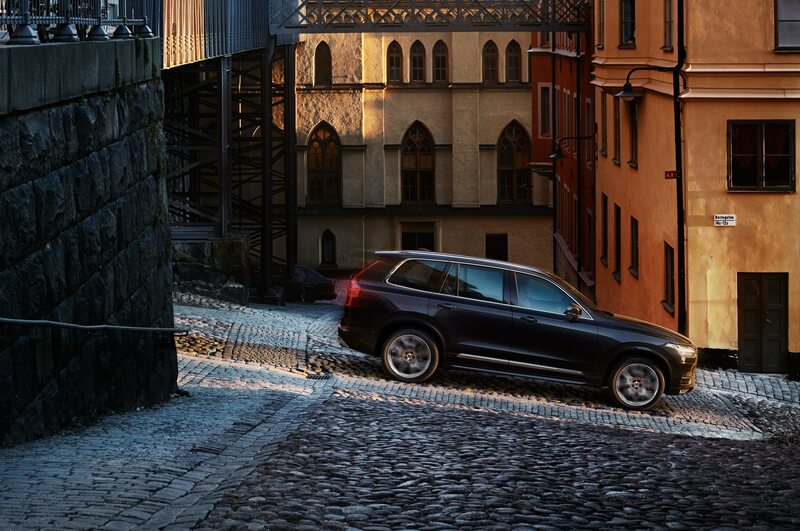 Just like most dads would look ridiculous in slim-fit jeans, most crossovers don’t need a sports-car-stiff ride. 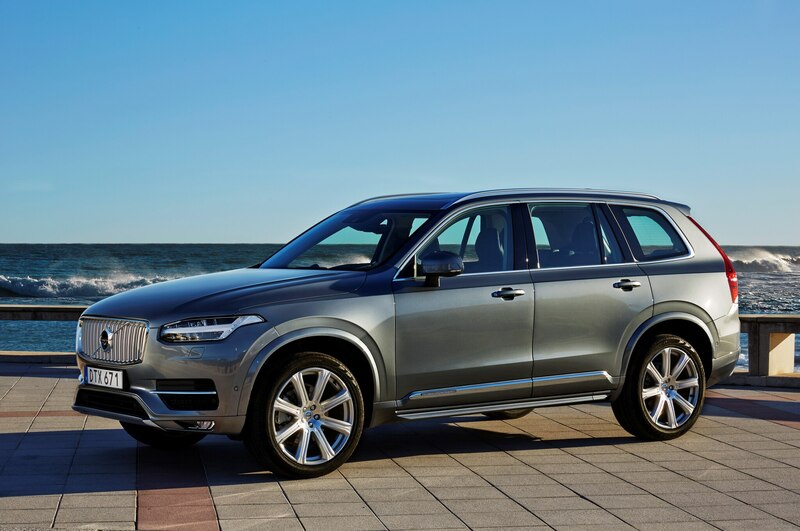 The 2016 Volvo XC90 T6 thoroughly checks the boxes for its segment — comfortable, versatile, roomy — but does so in distinctive fashion. 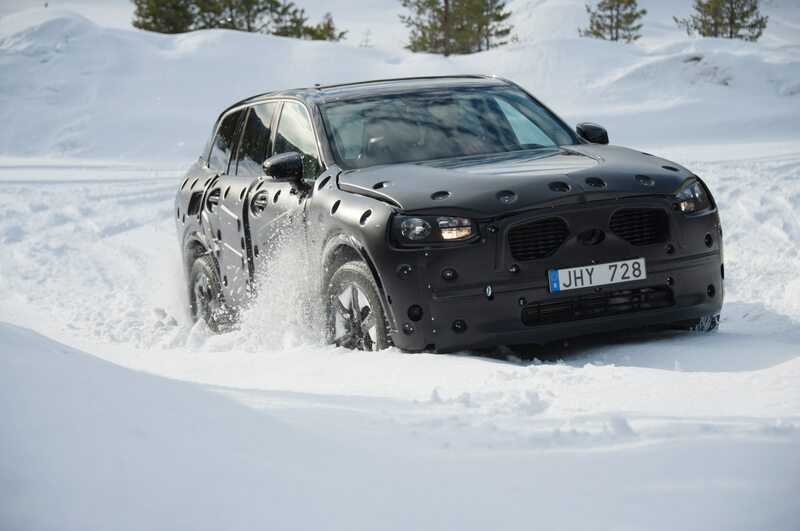 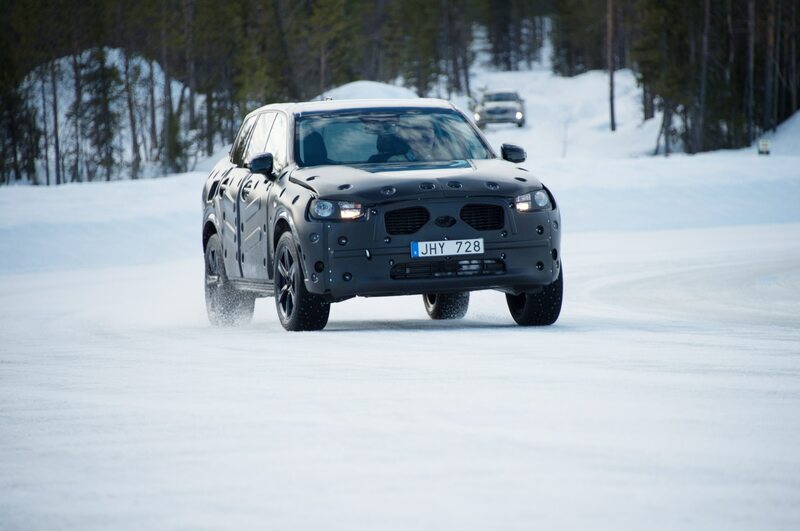 It proves that the Chinese-owned but still very Swedish automaker can measure up to tough European competition. 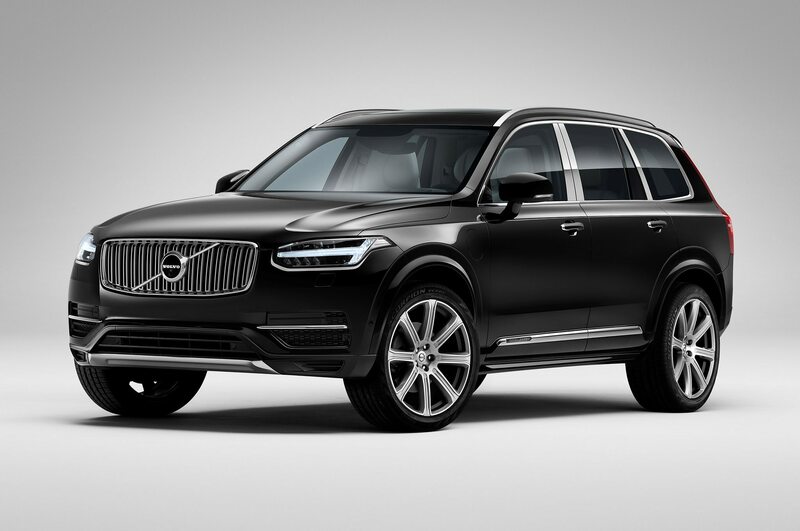 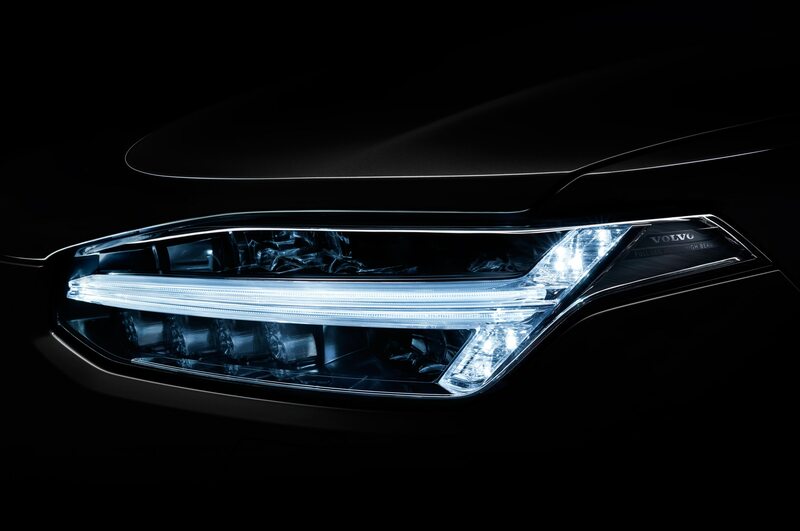 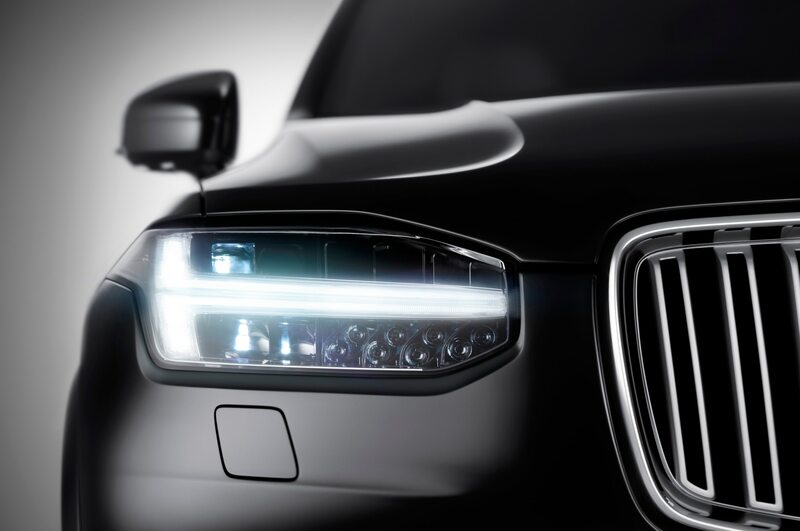 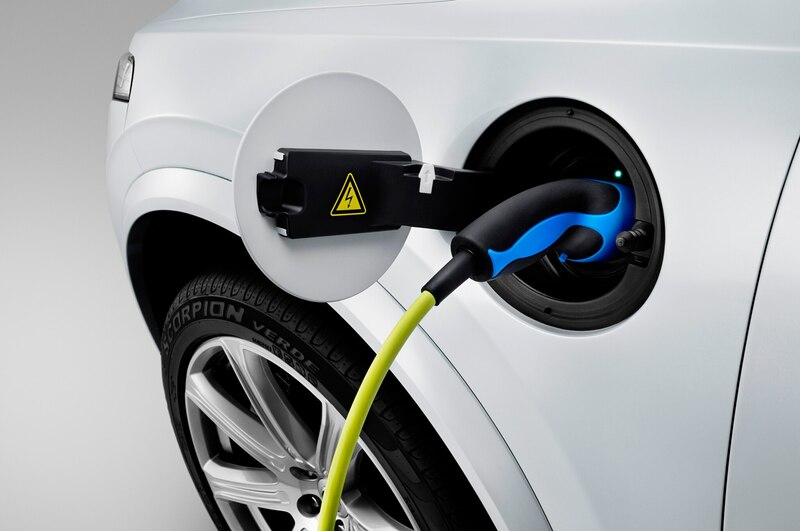 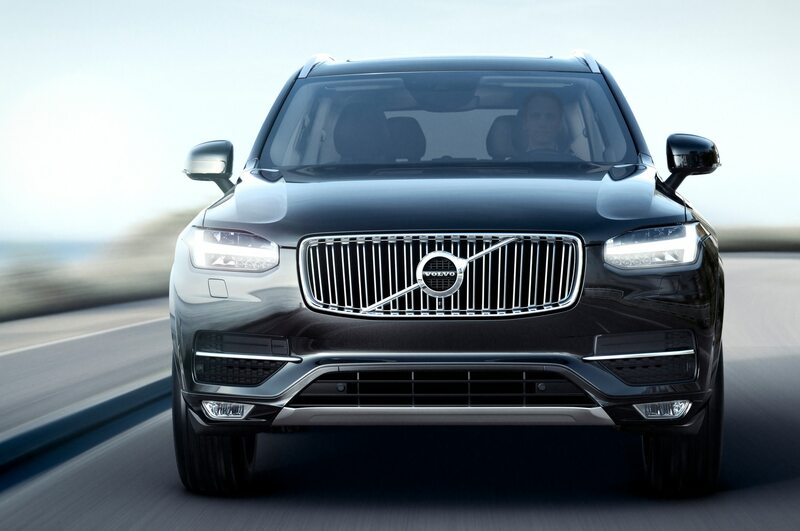 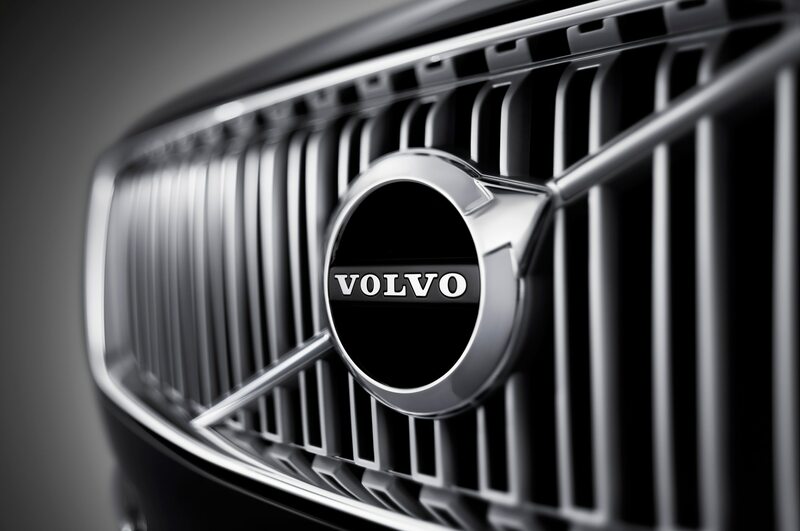 The jury is still out on whether Volvo can build a desirable luxury hybrid. 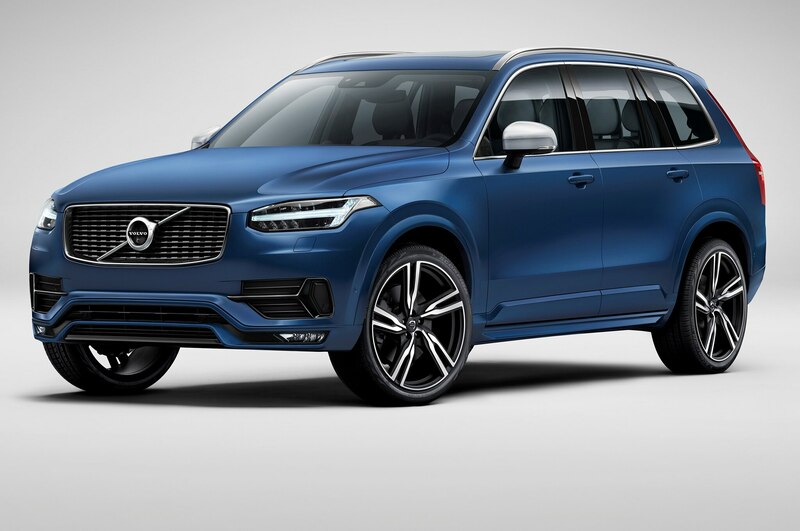 Volvo has not yet announced pricing for the XC90 T8, but you can bet that well-equipped versions will comfortably exceed $60,000. 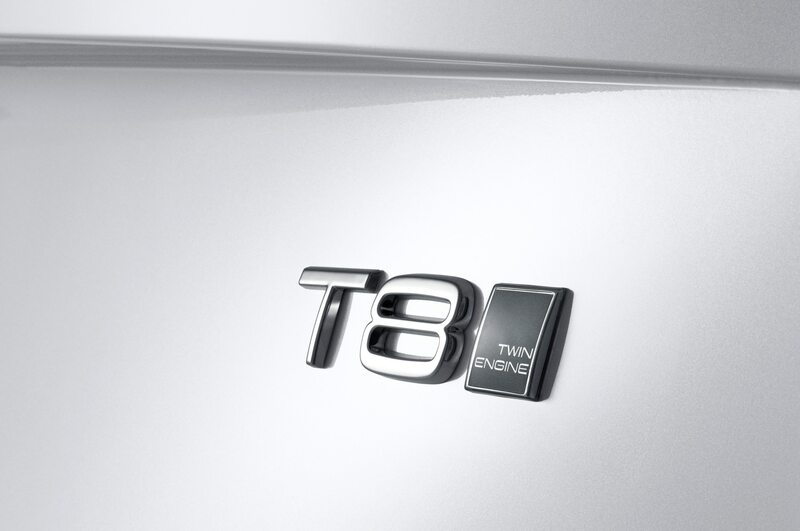 For that price, people expect not just lots of power, which the T8 has, but also superlative refinement, which the T8 presently lacks. 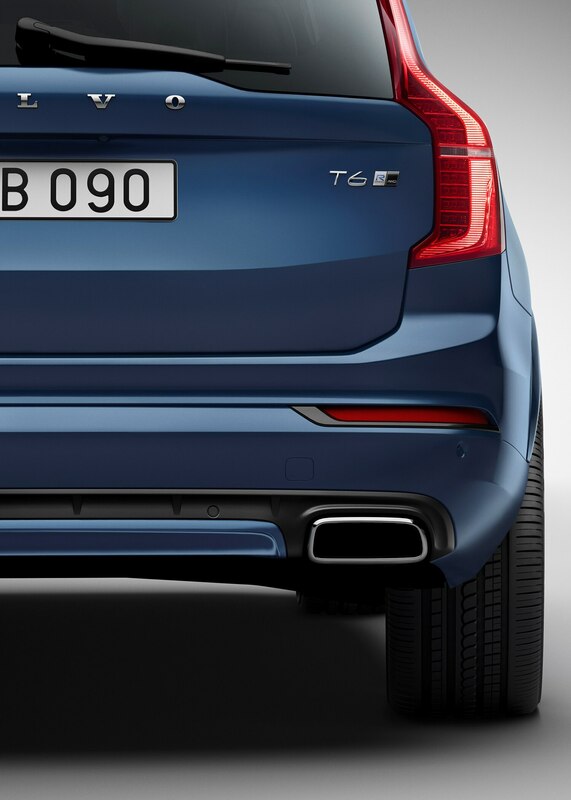 Volvo tells us the T8s we drove are still not quite production-ready and promises all will be well by the time they reach dealers in the fall.